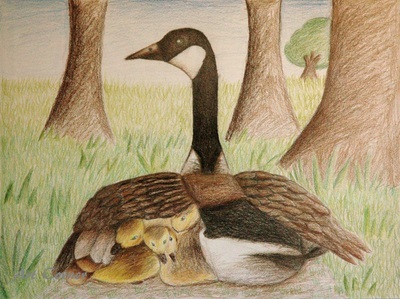 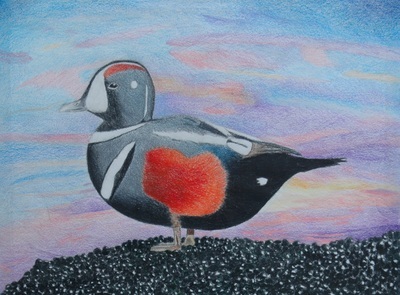 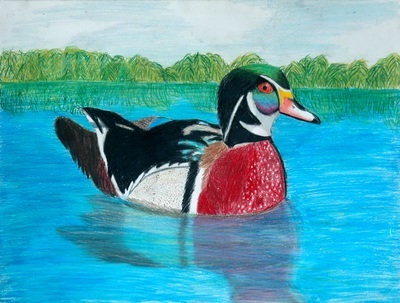 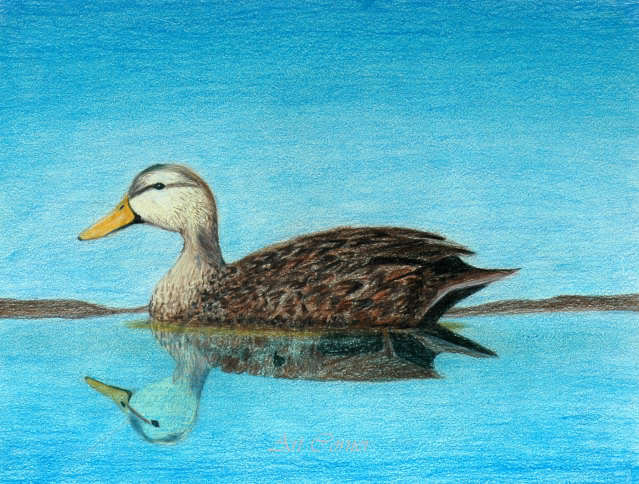 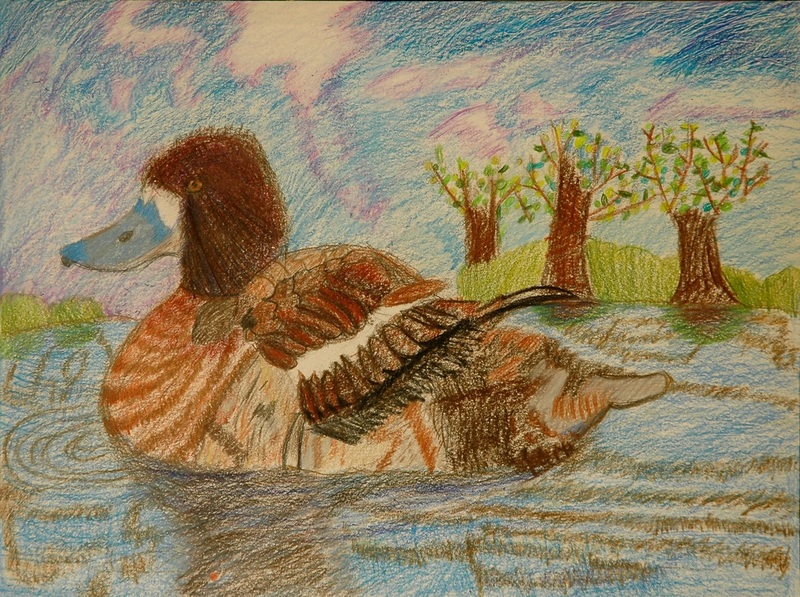 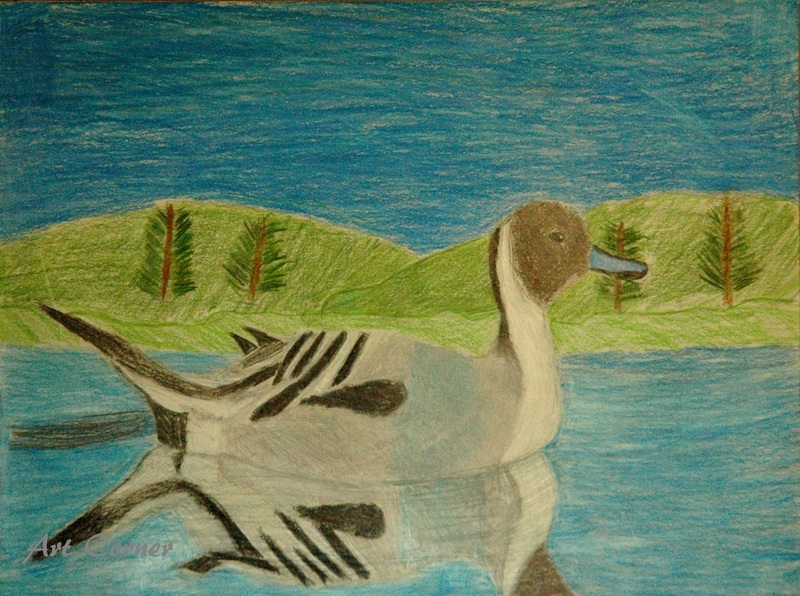 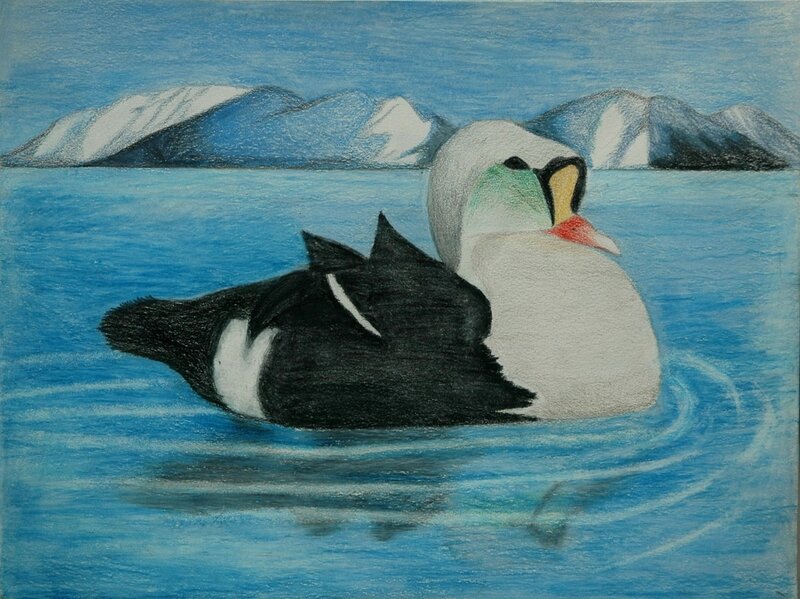 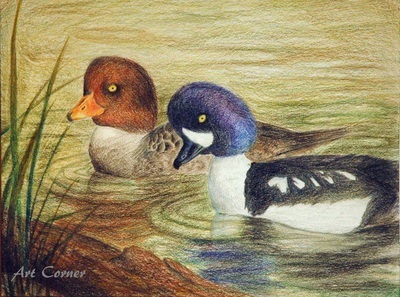 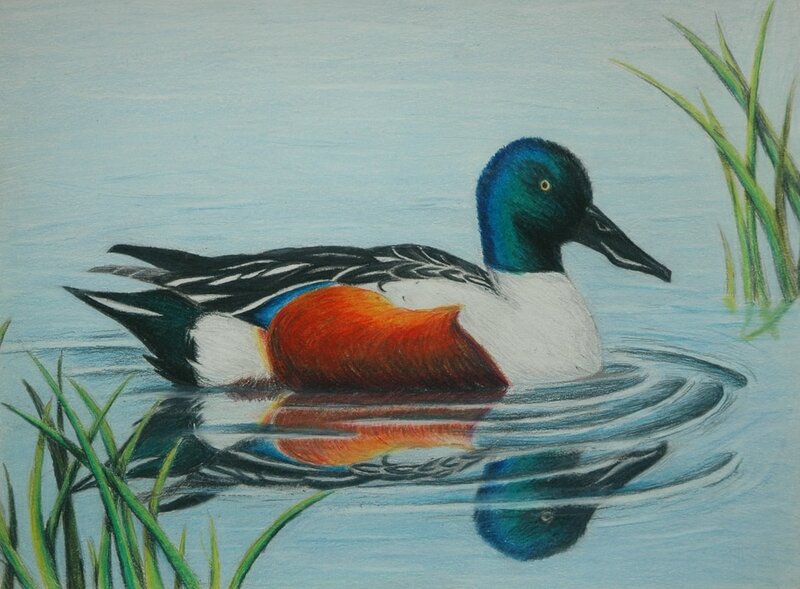 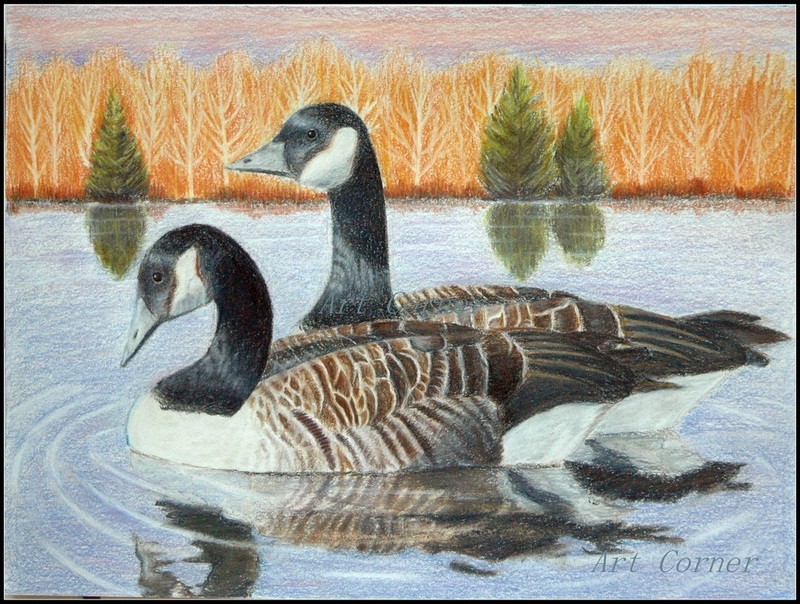 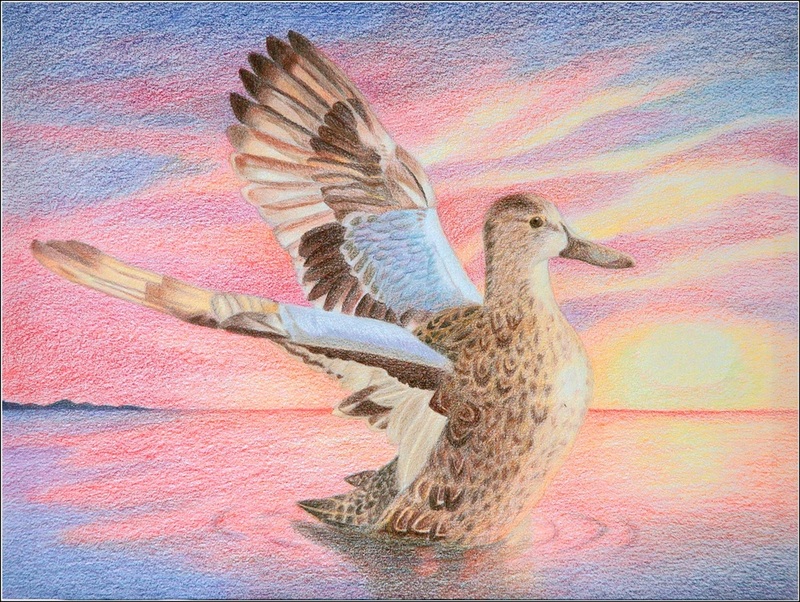 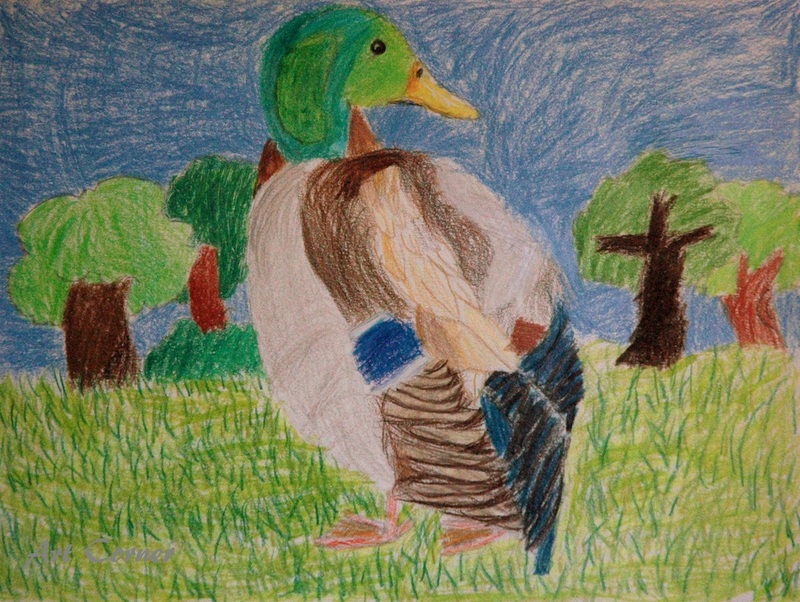 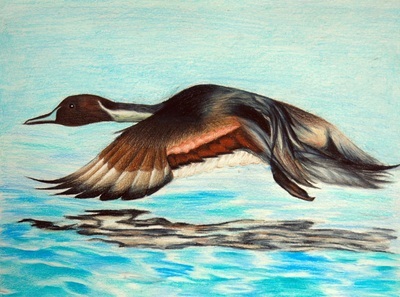 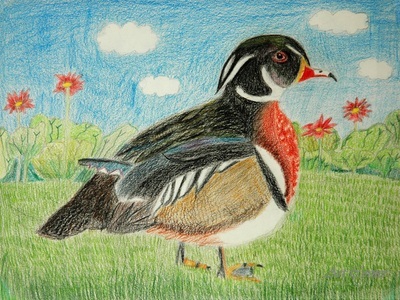 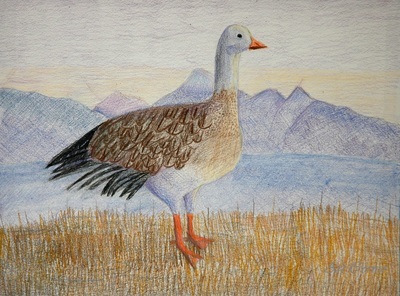 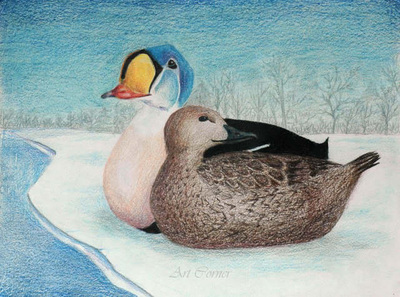 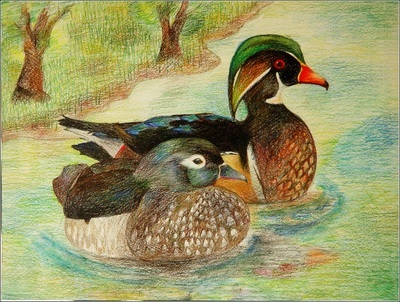 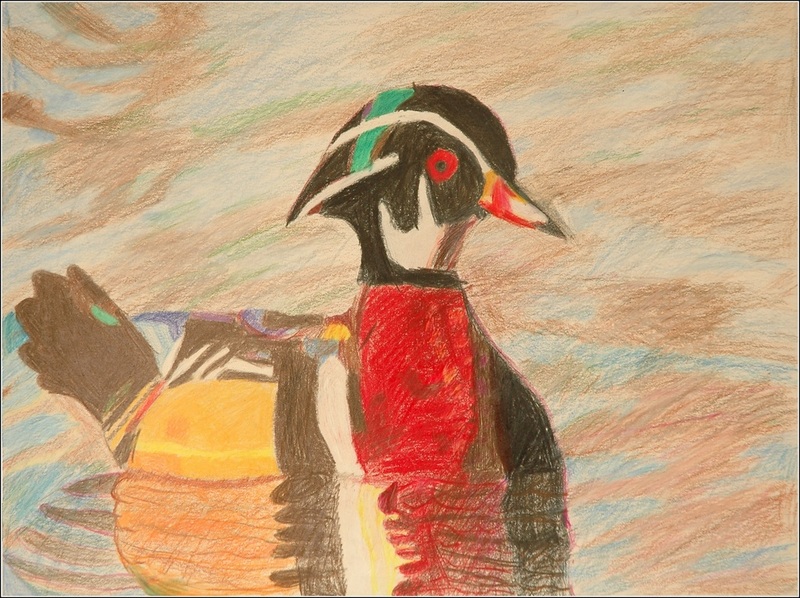 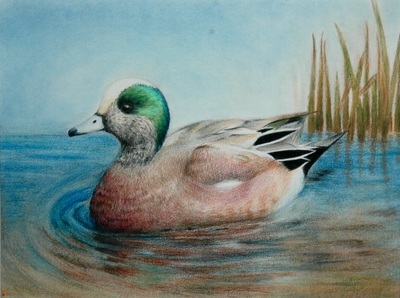 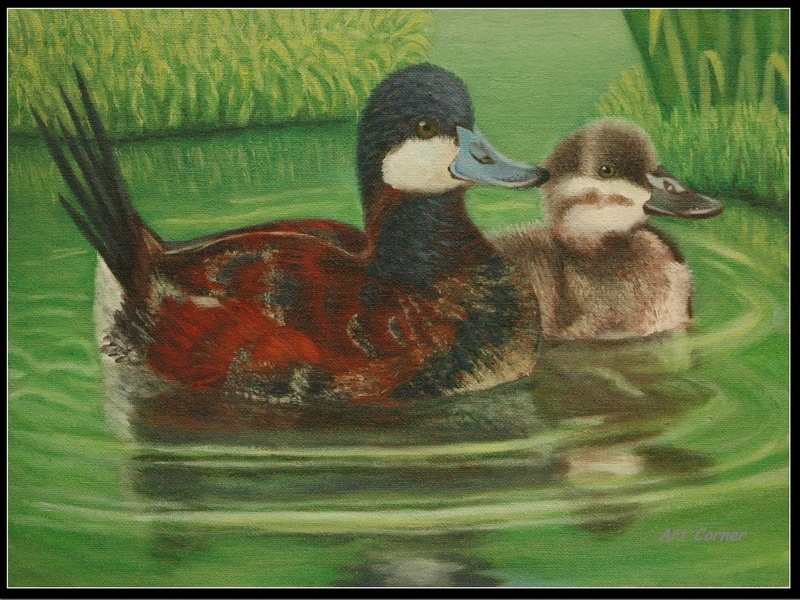 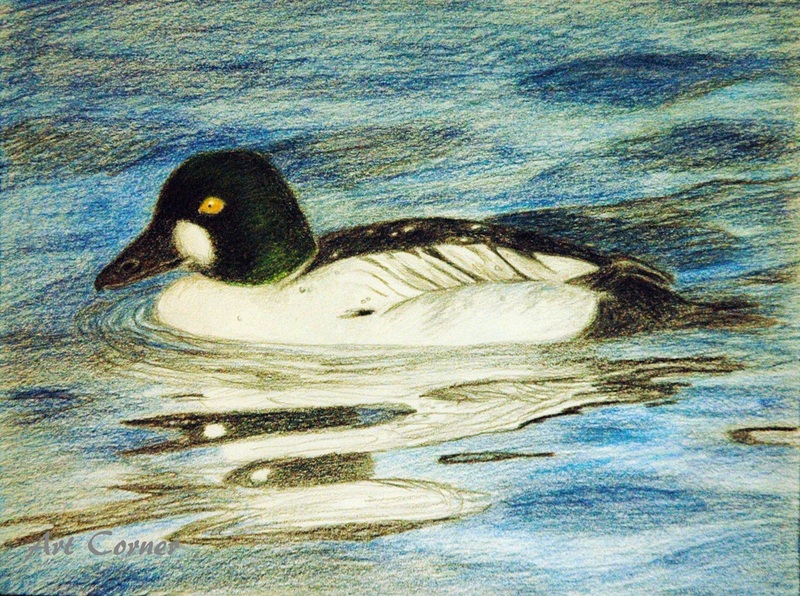 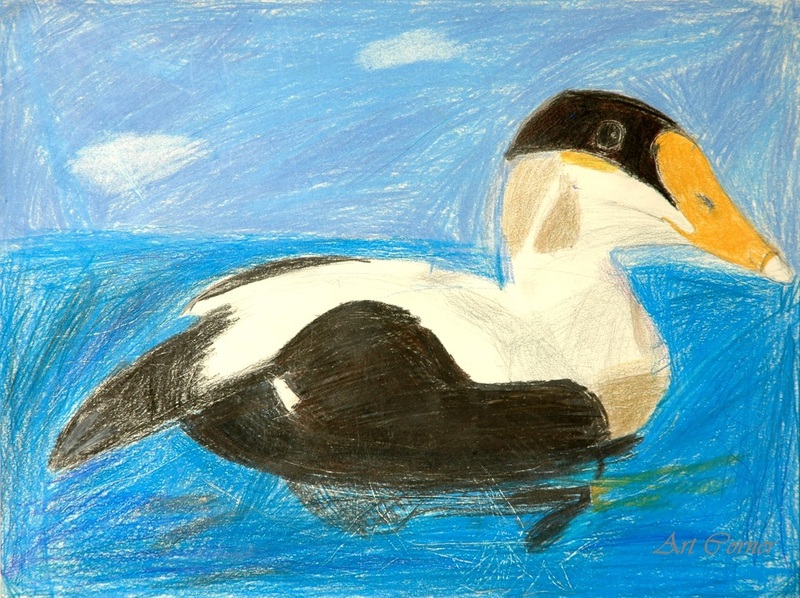 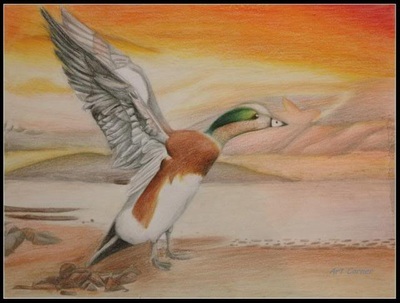 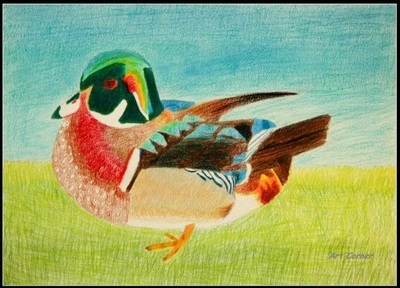 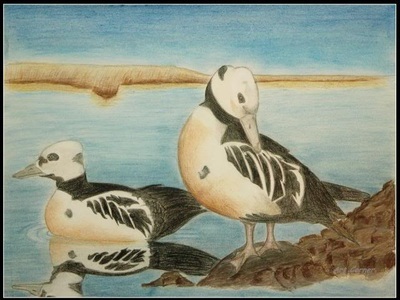 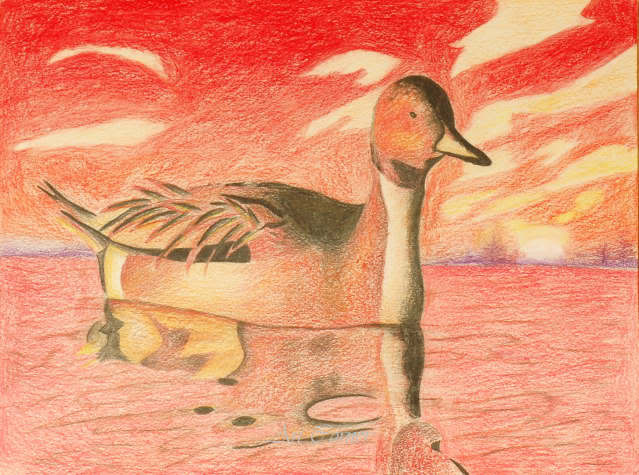 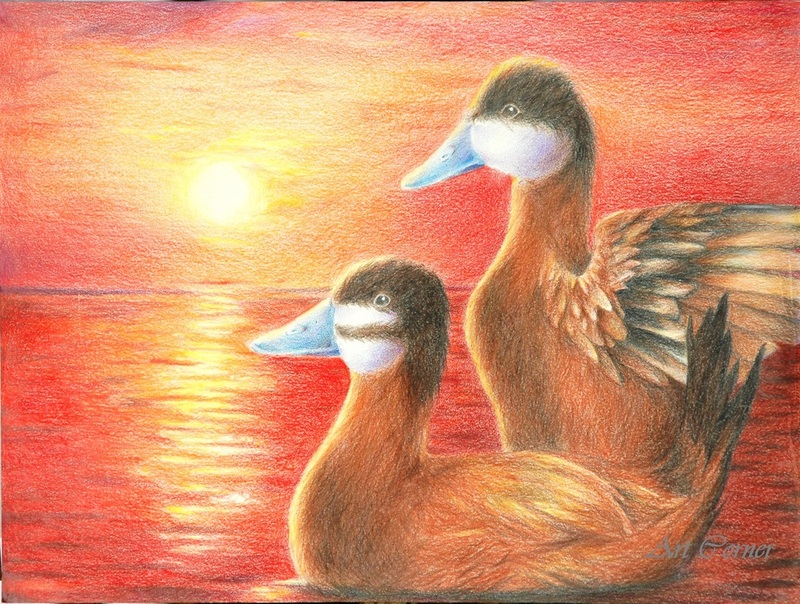 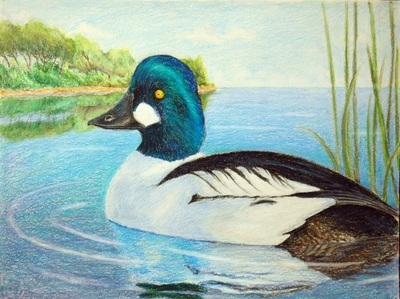 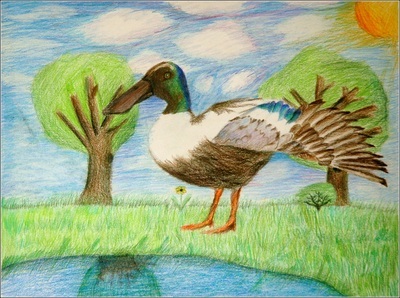 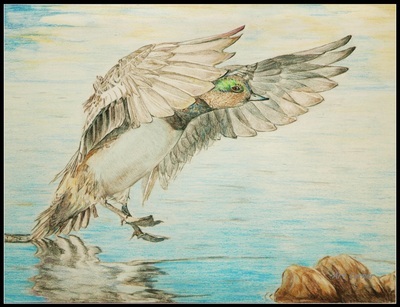 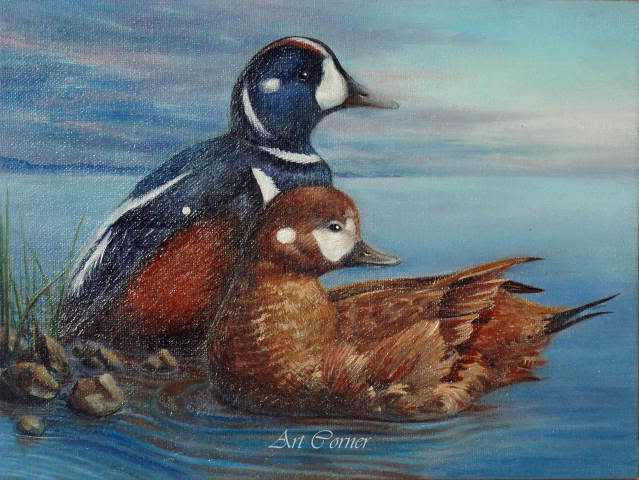 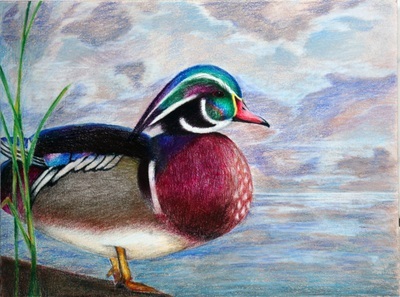 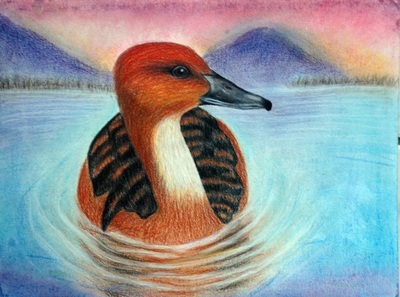 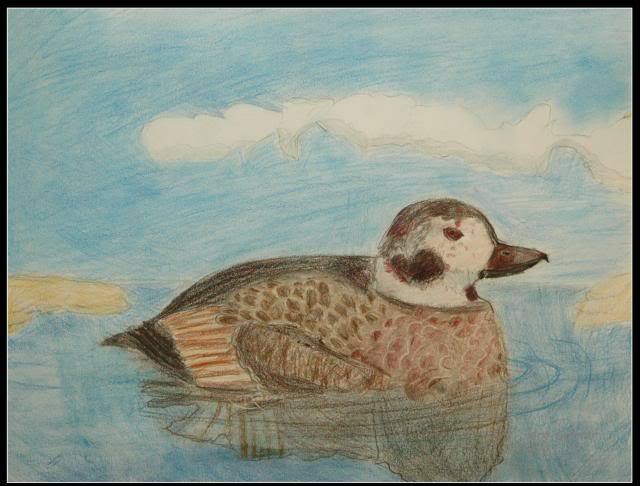 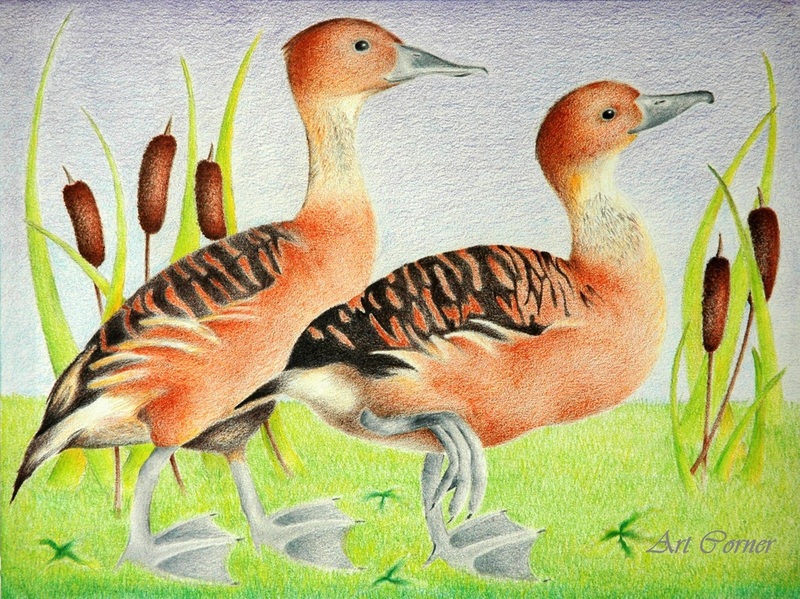 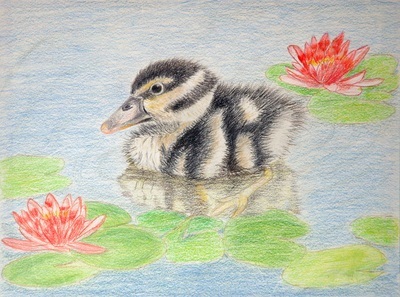 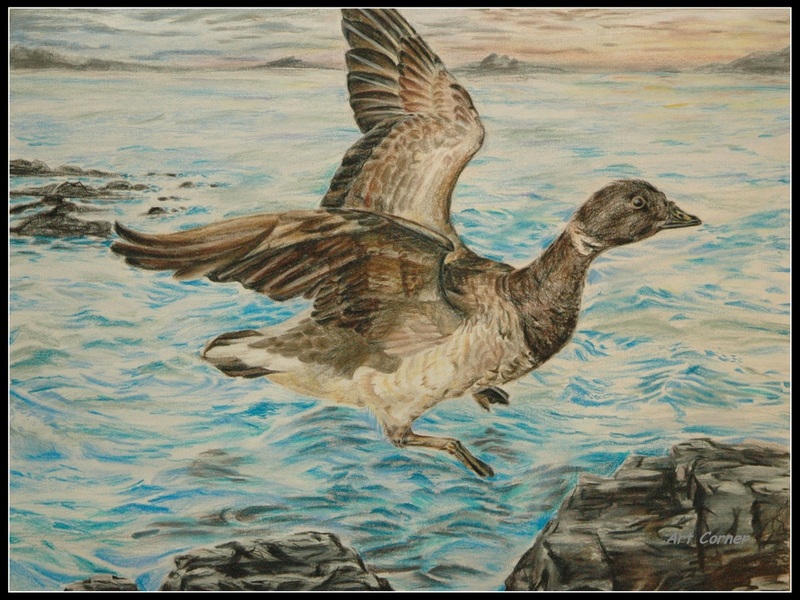 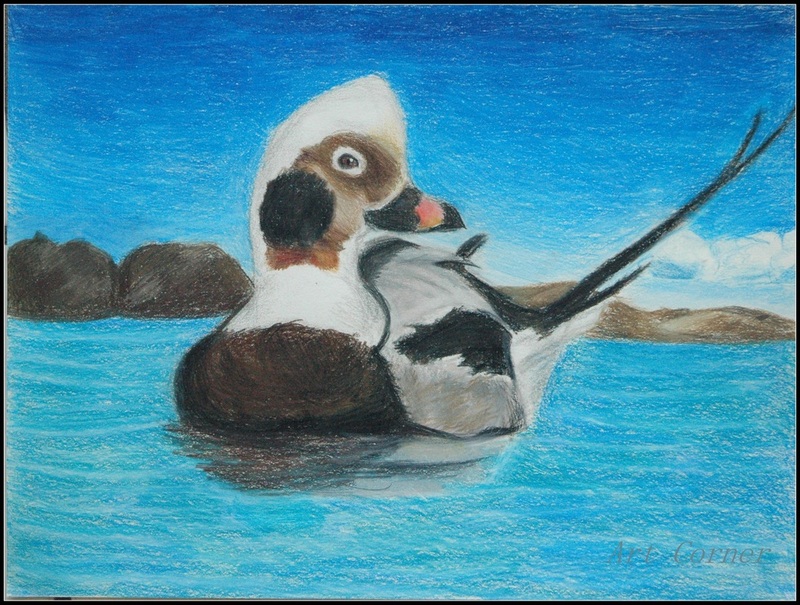 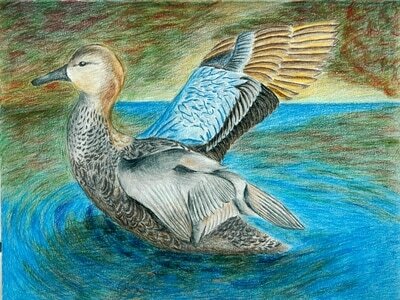 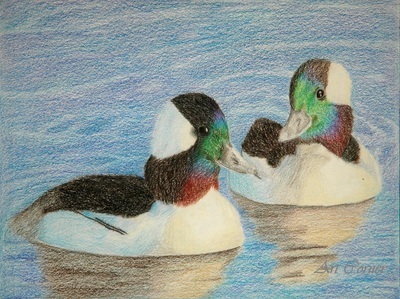 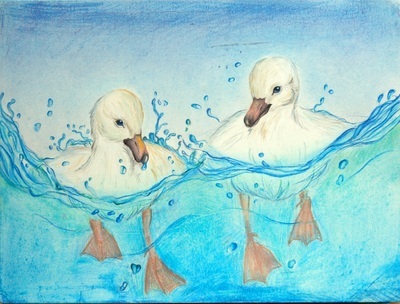 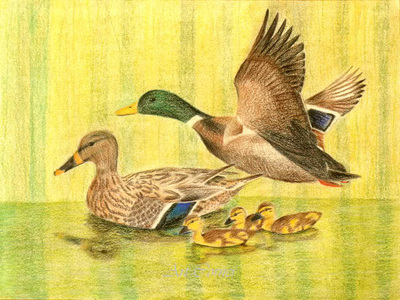 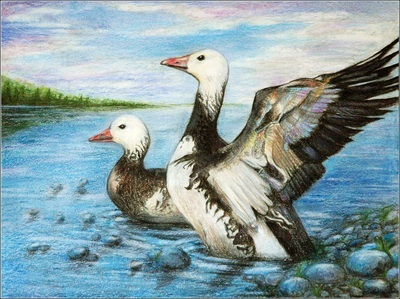 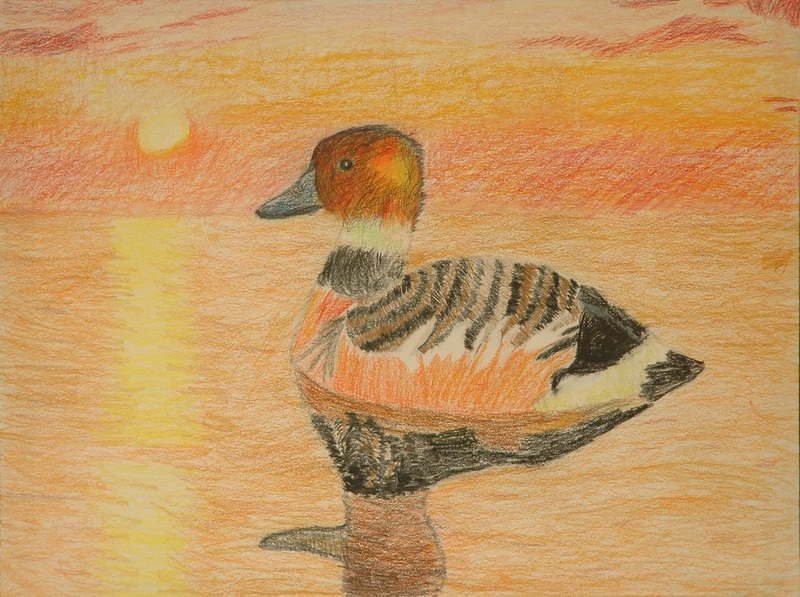 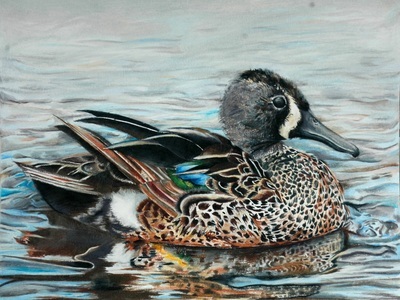 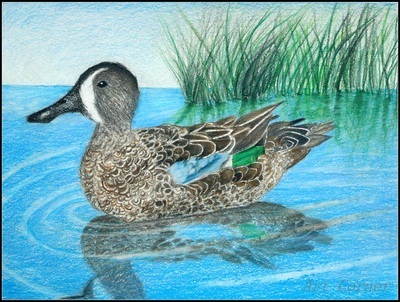 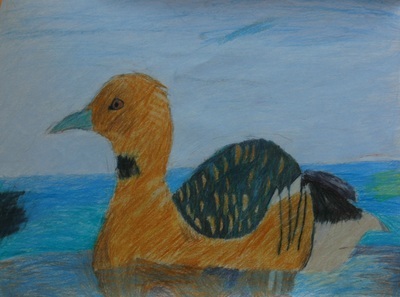 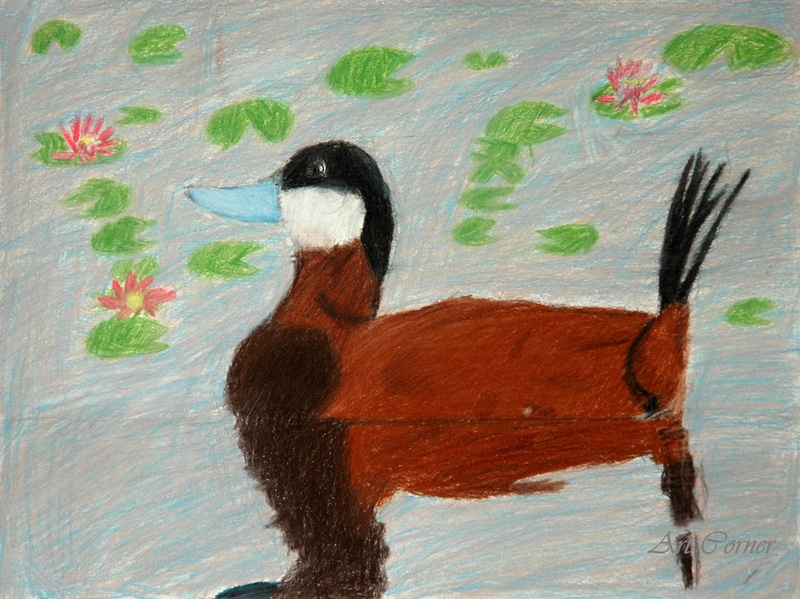 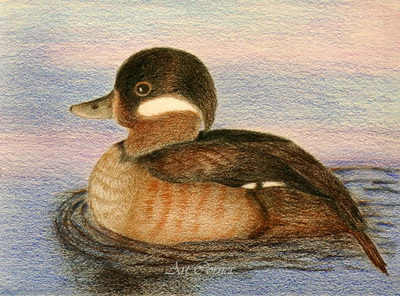 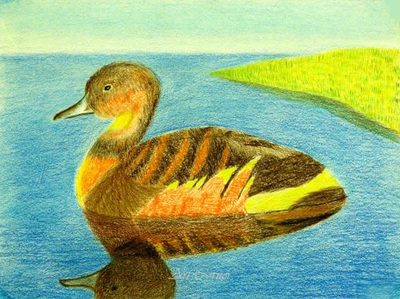 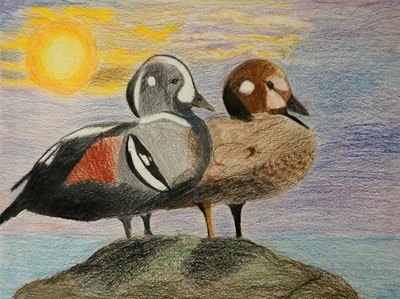 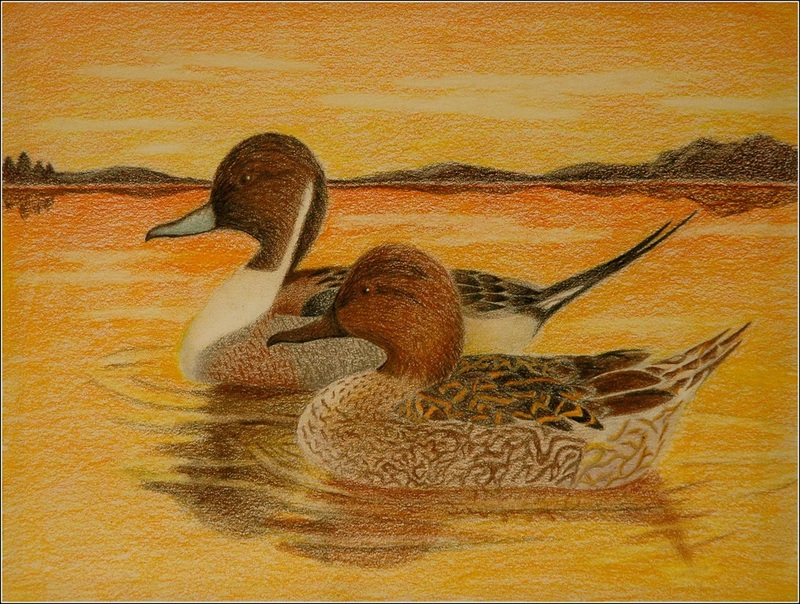 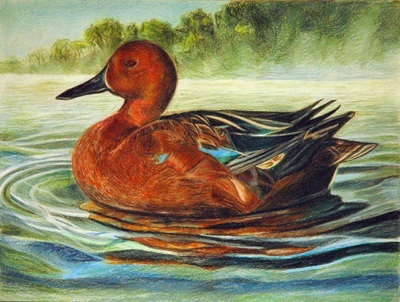 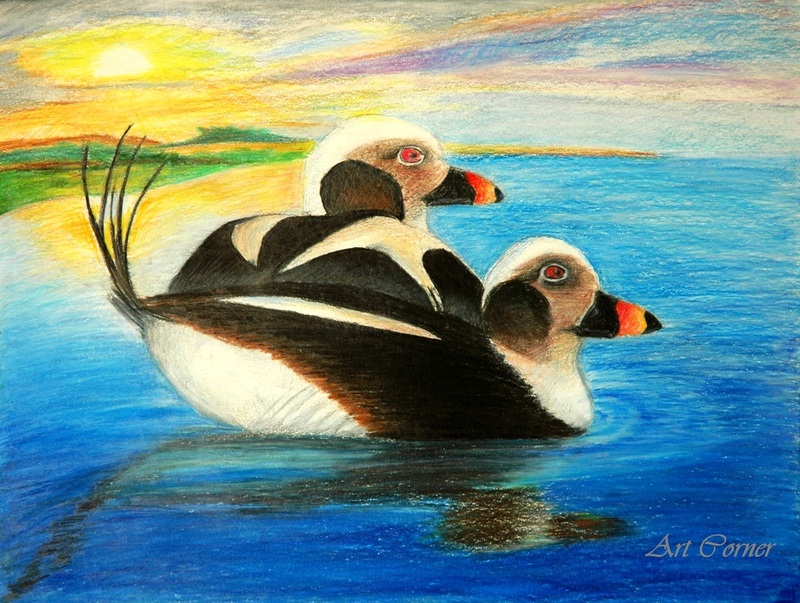 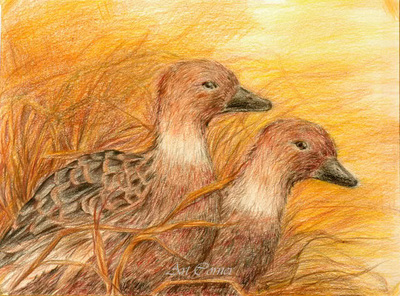 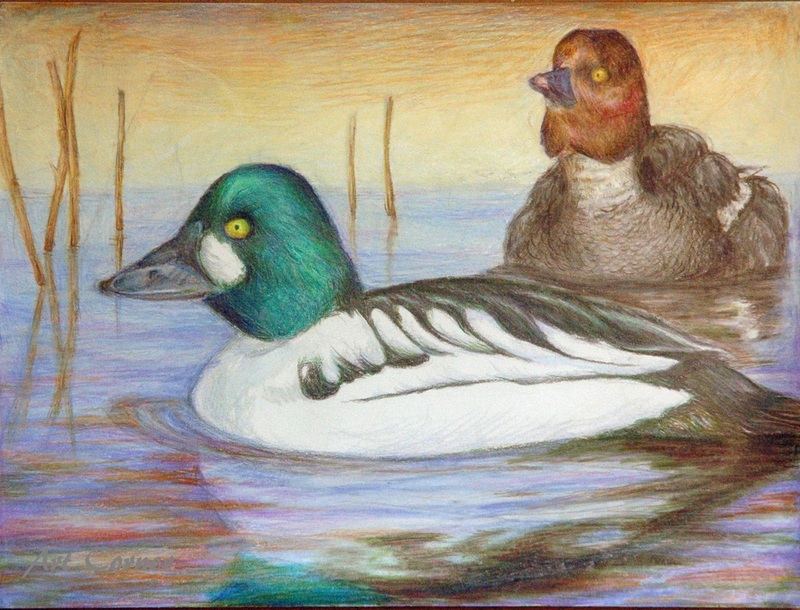 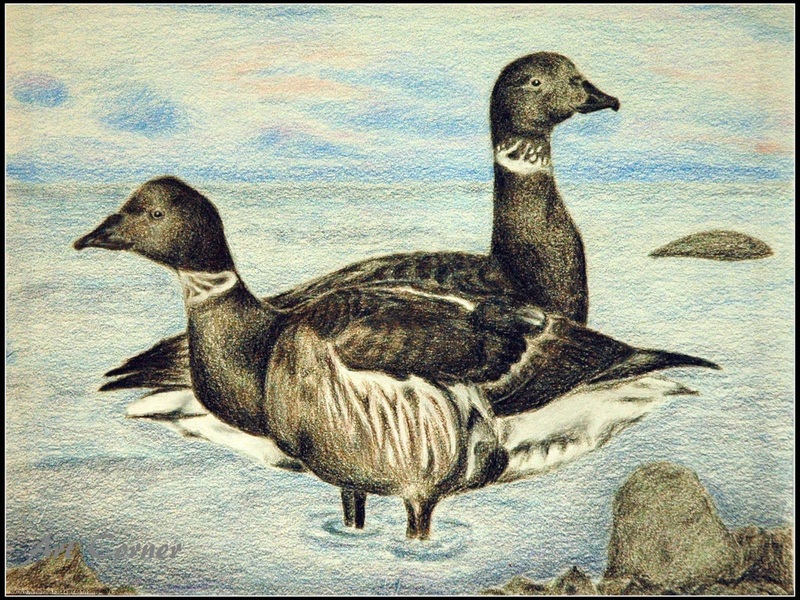 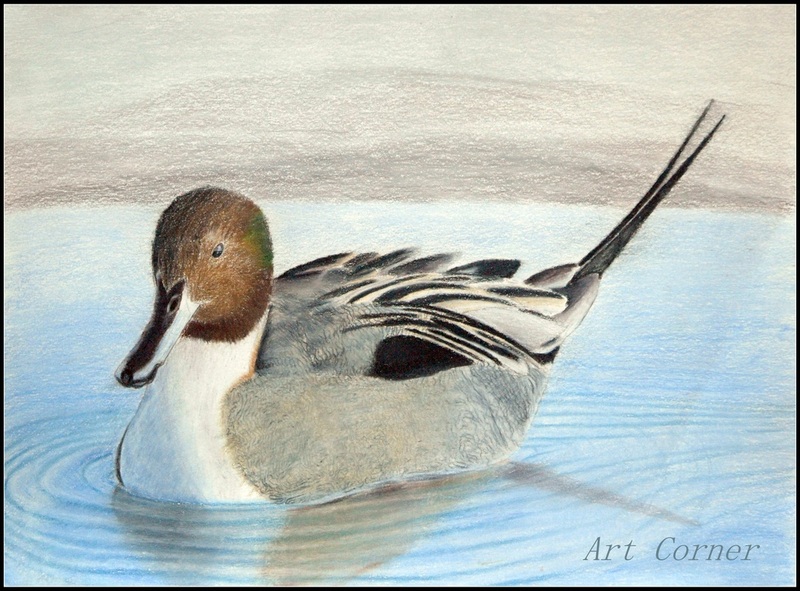 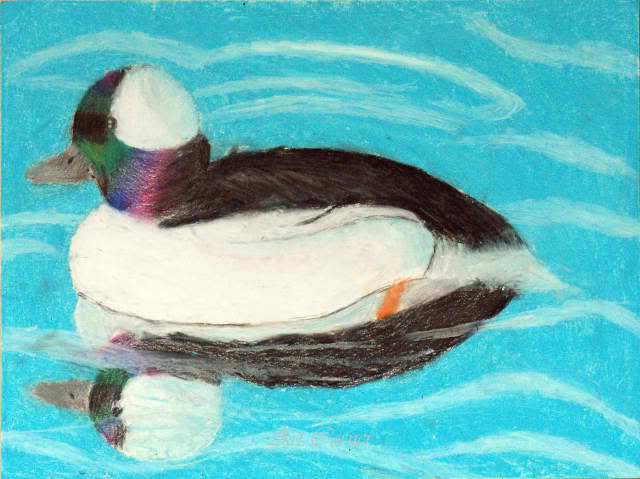 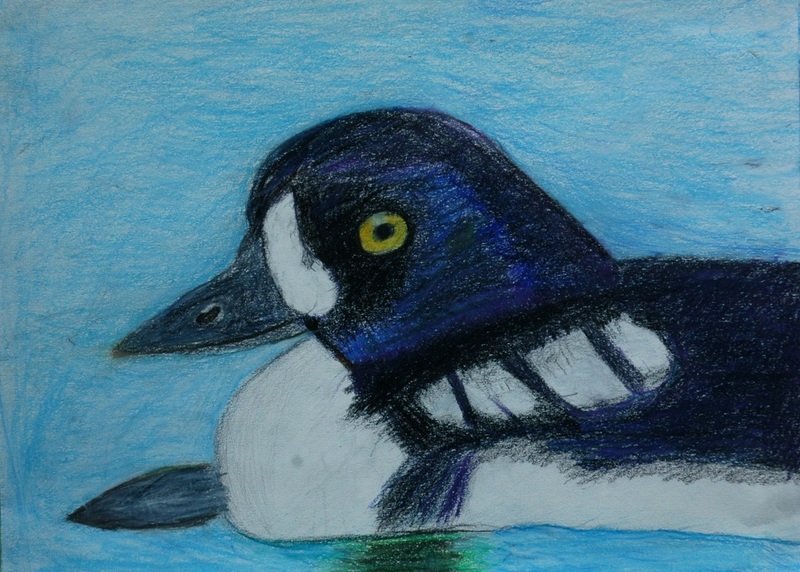 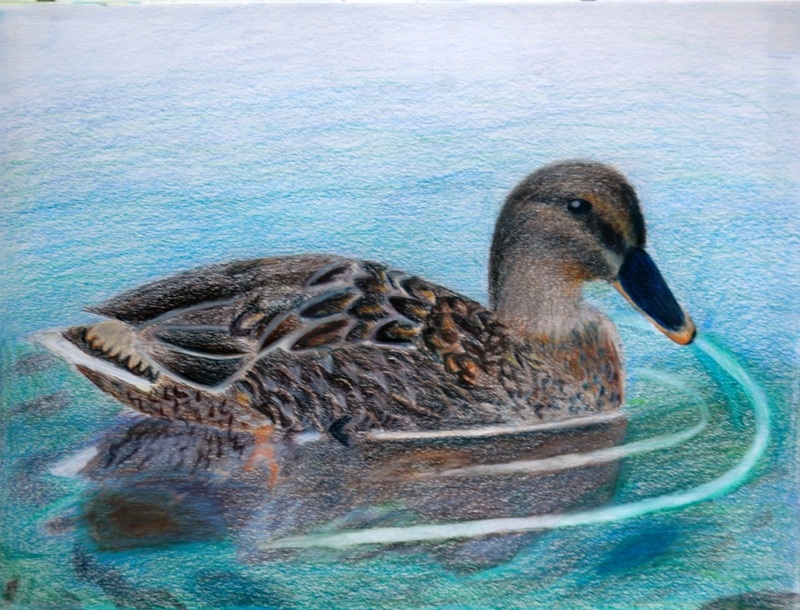 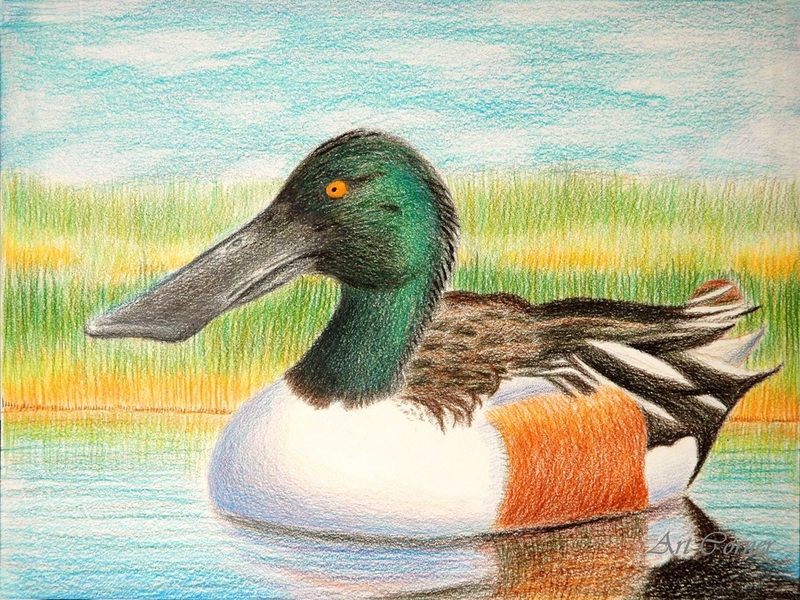 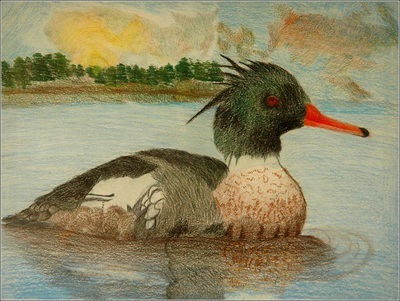 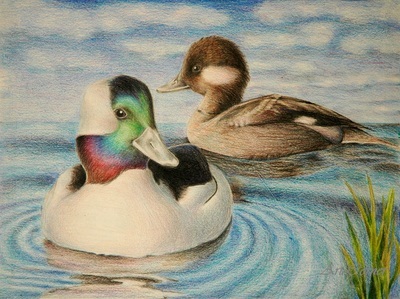 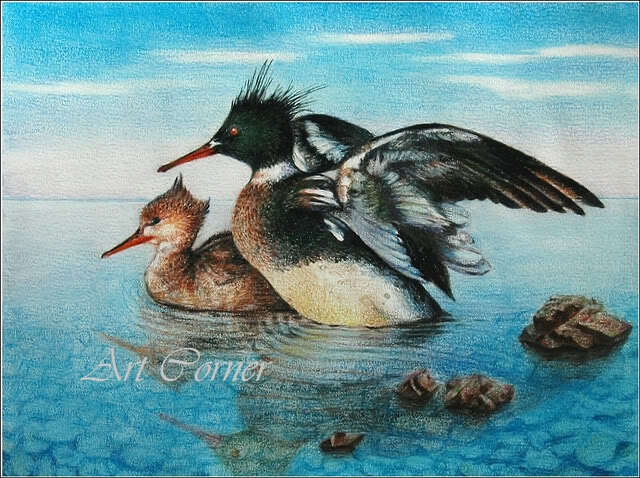 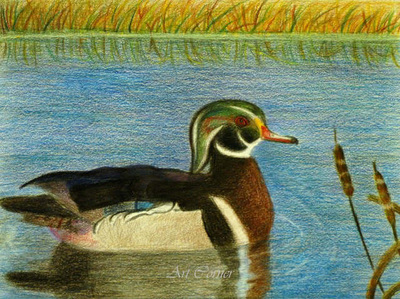 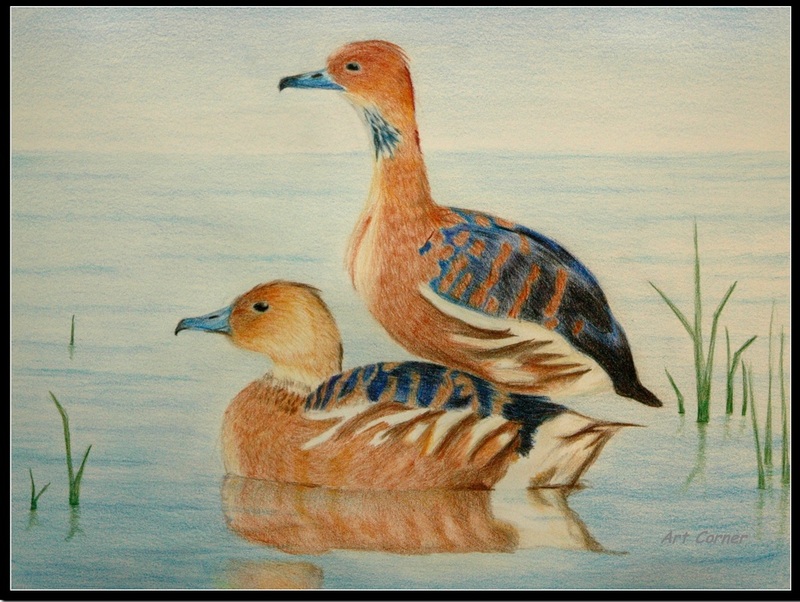 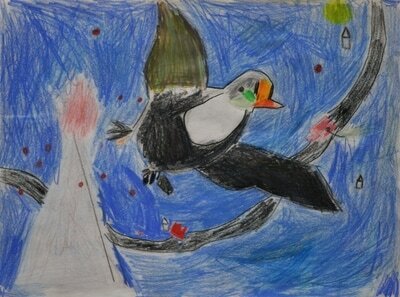 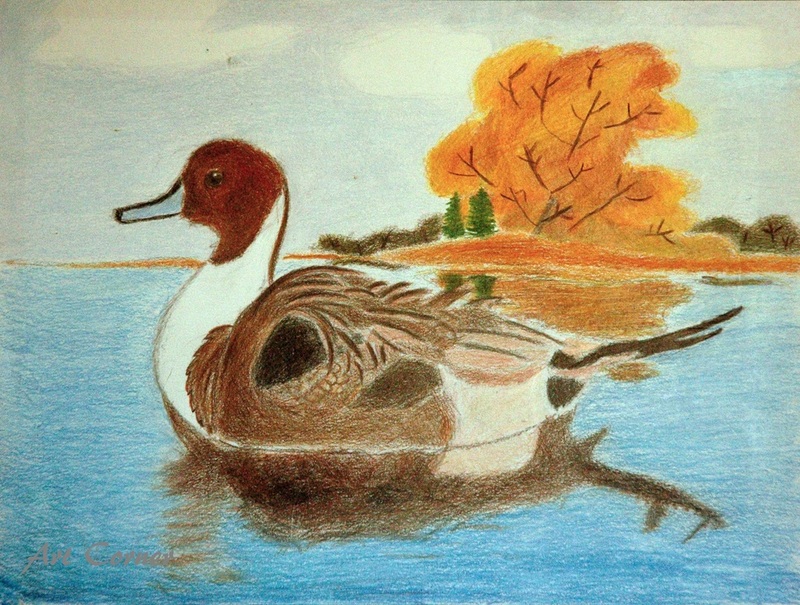 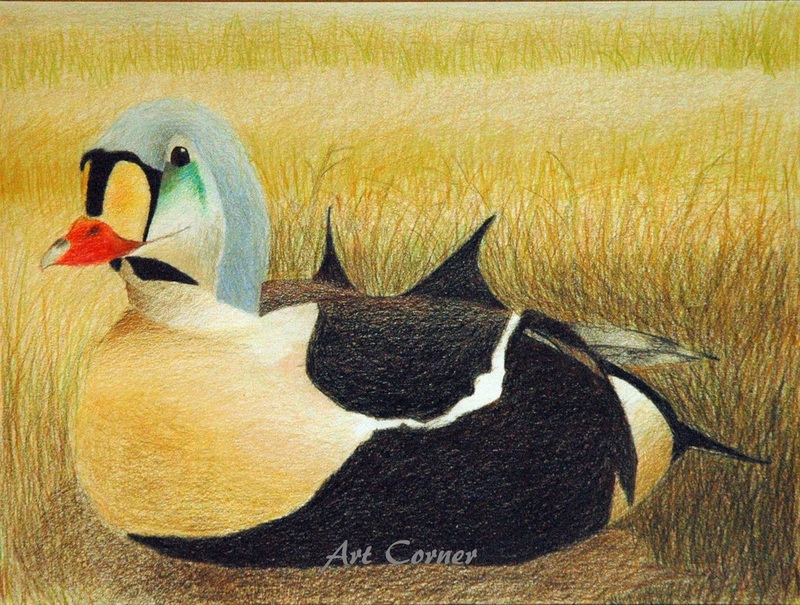 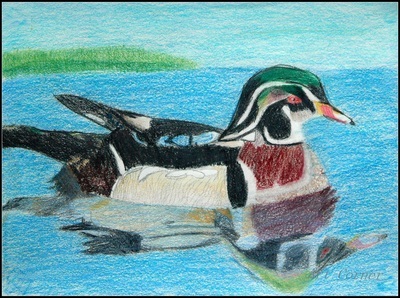 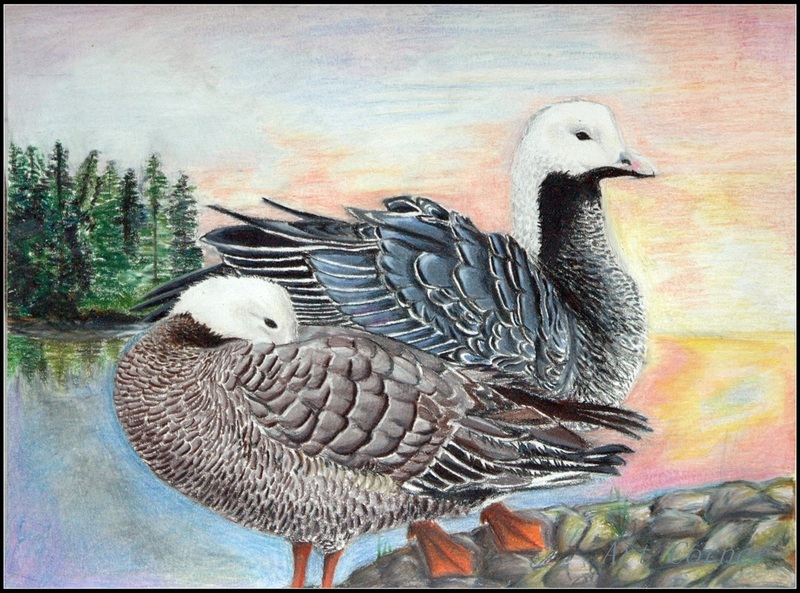 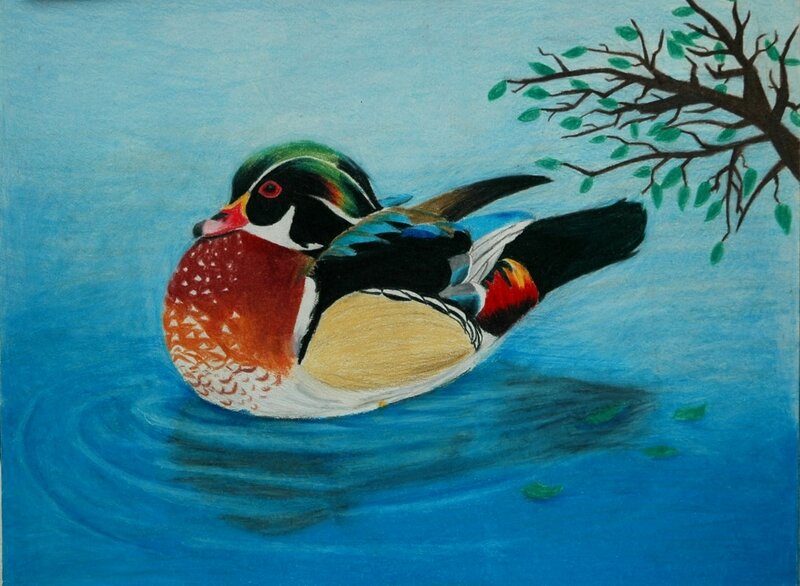 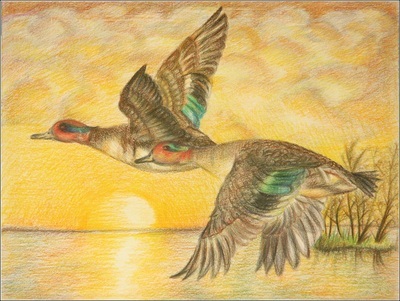 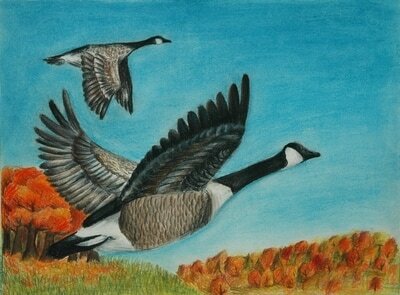 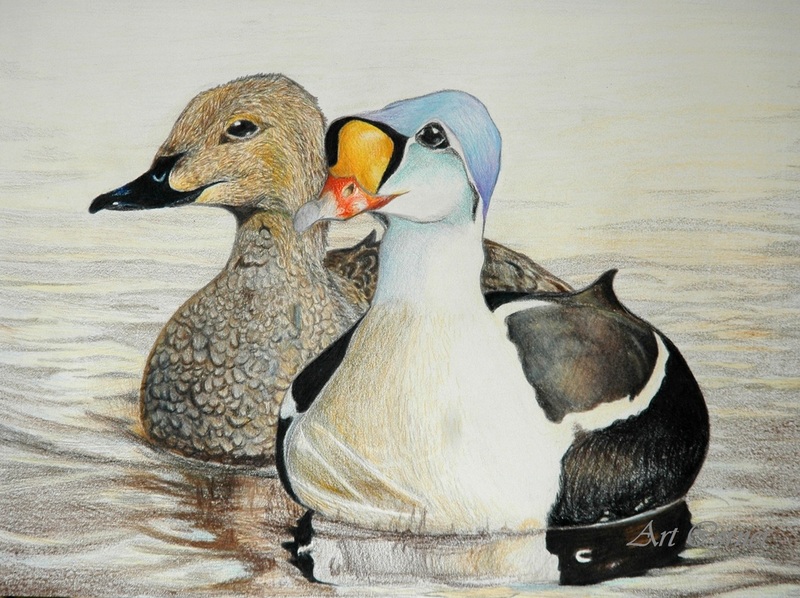 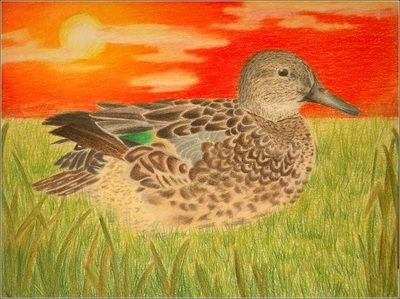 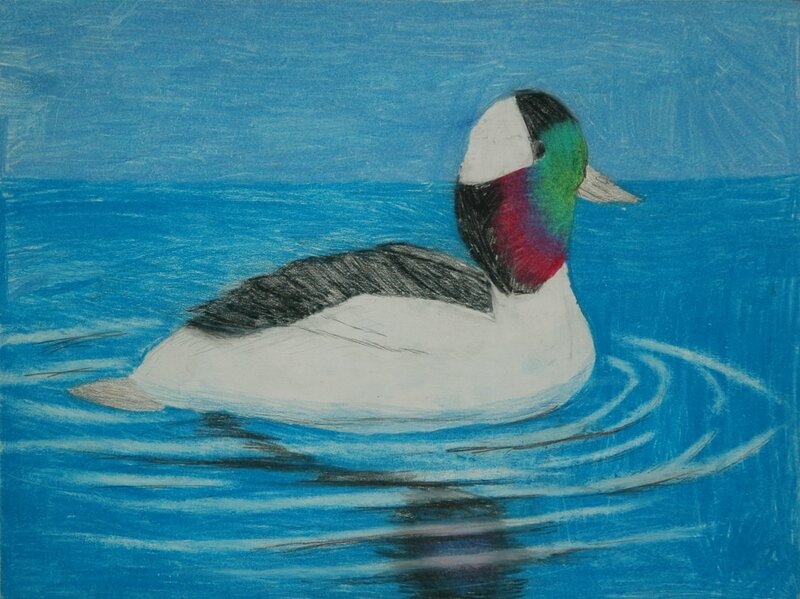 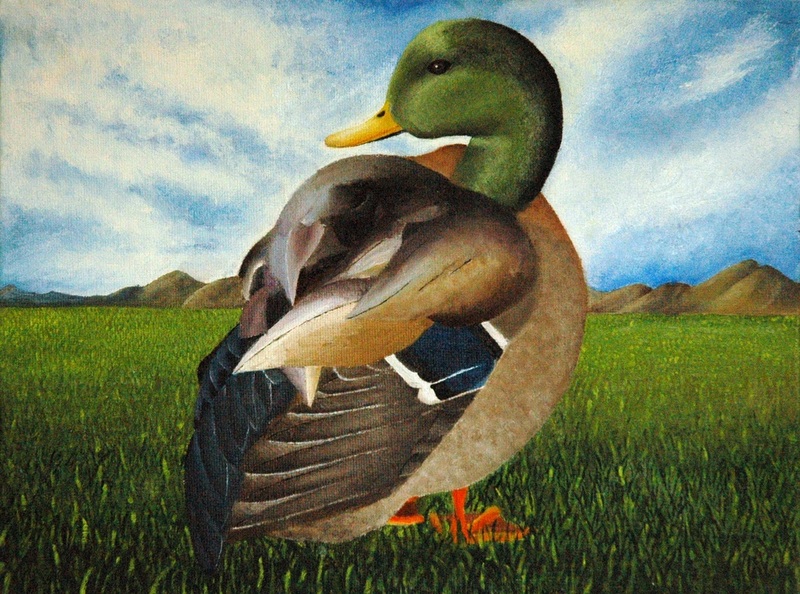 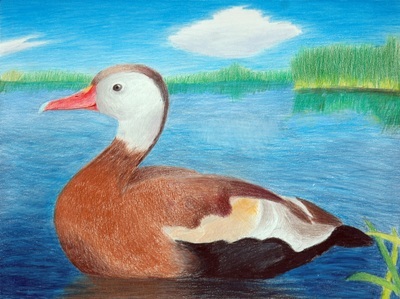 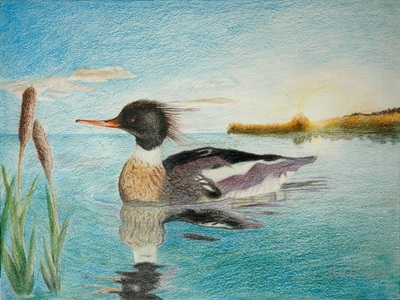 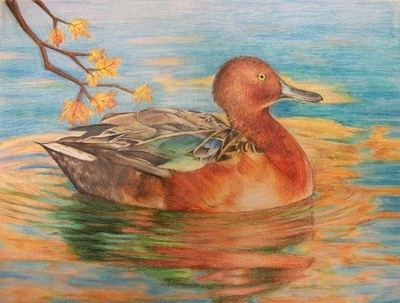 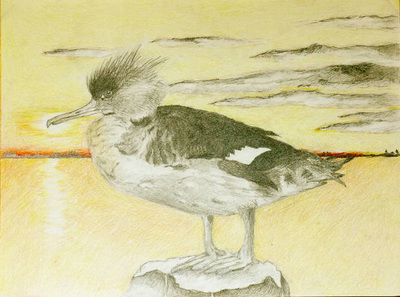 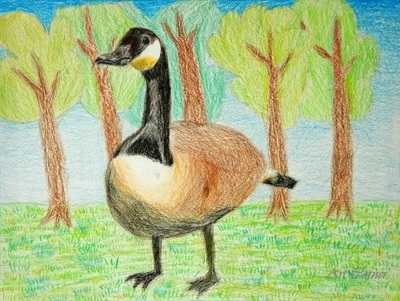 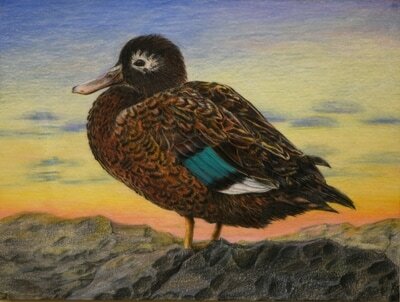 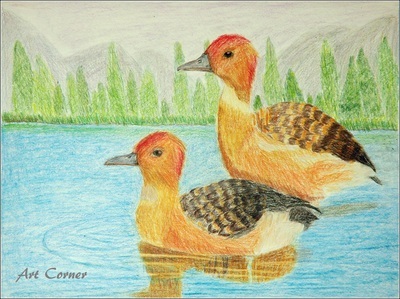 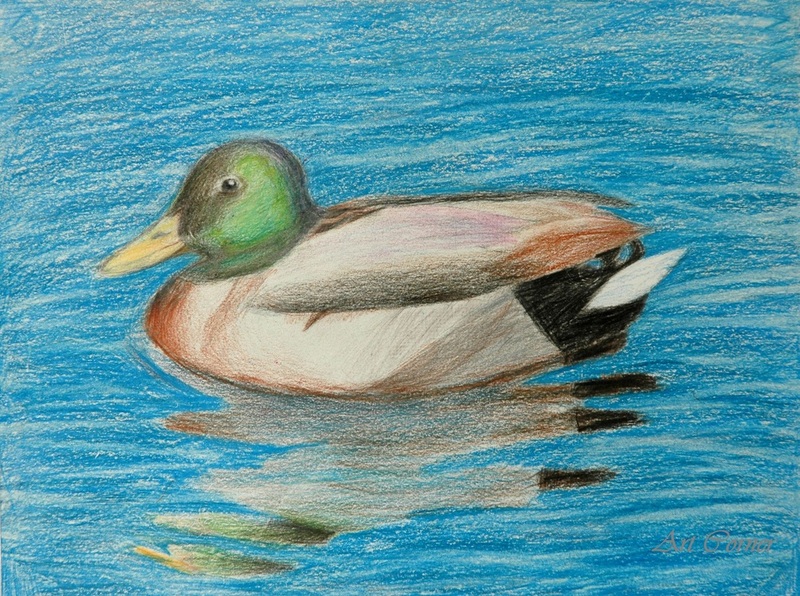 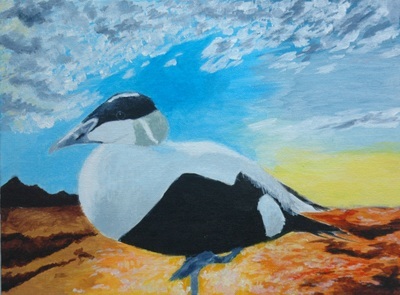 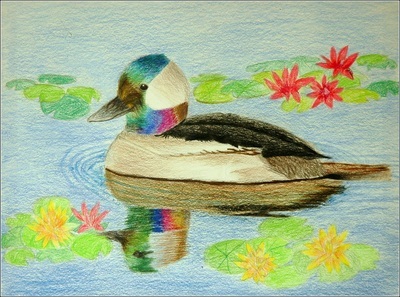 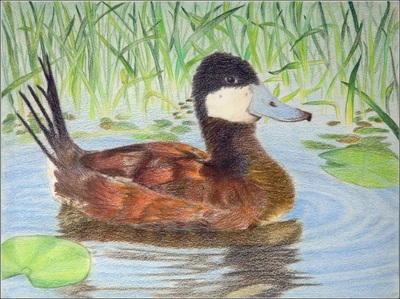 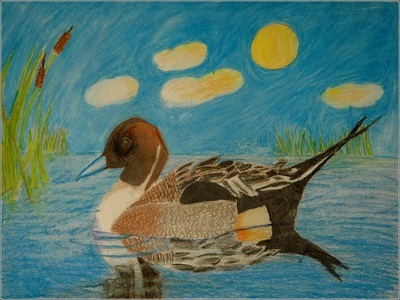 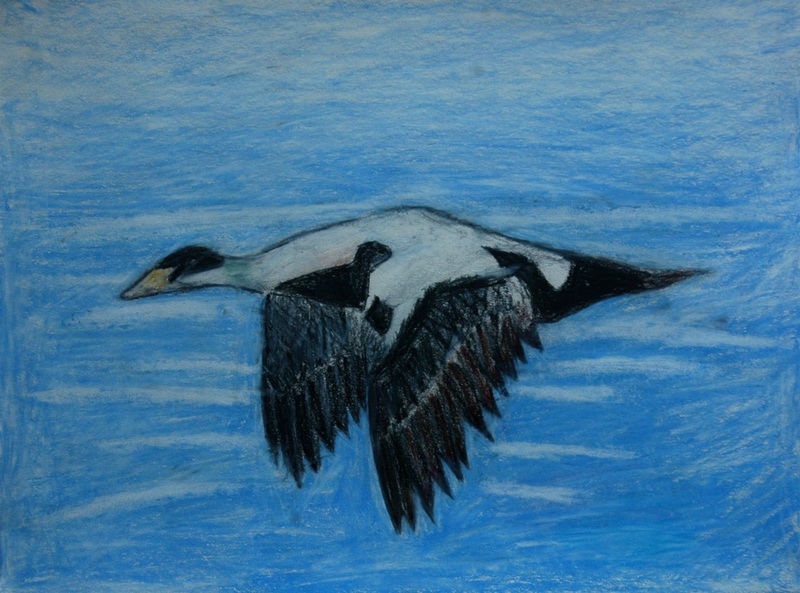 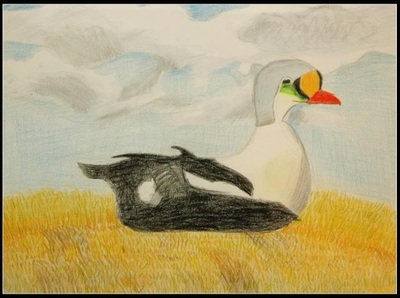 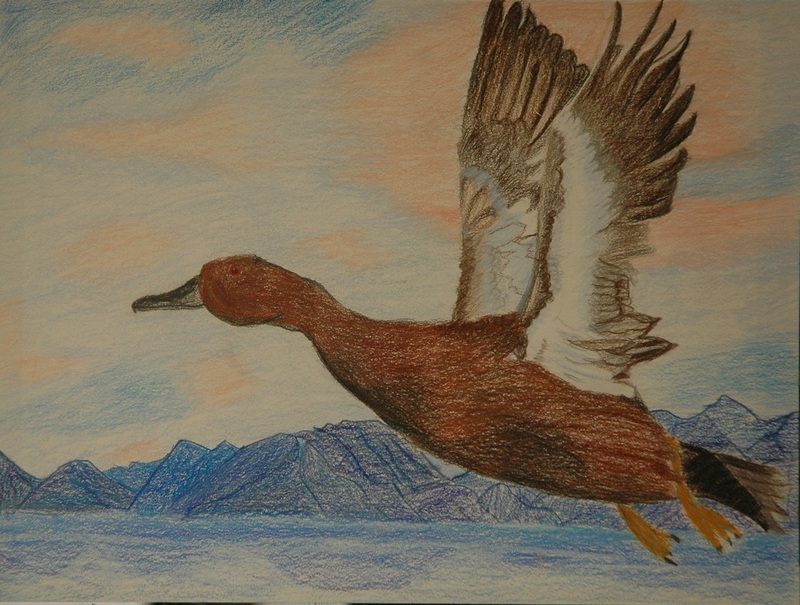 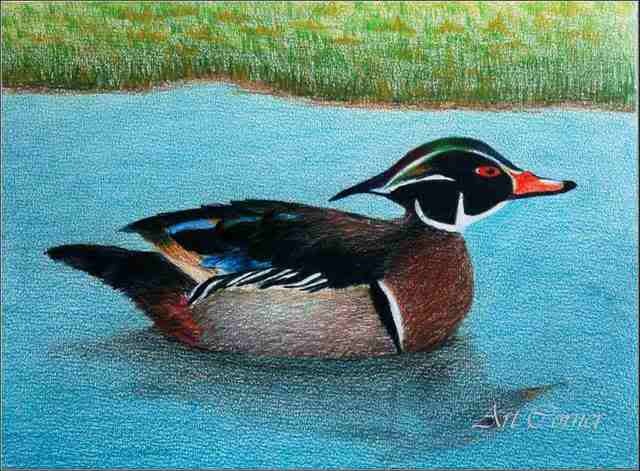 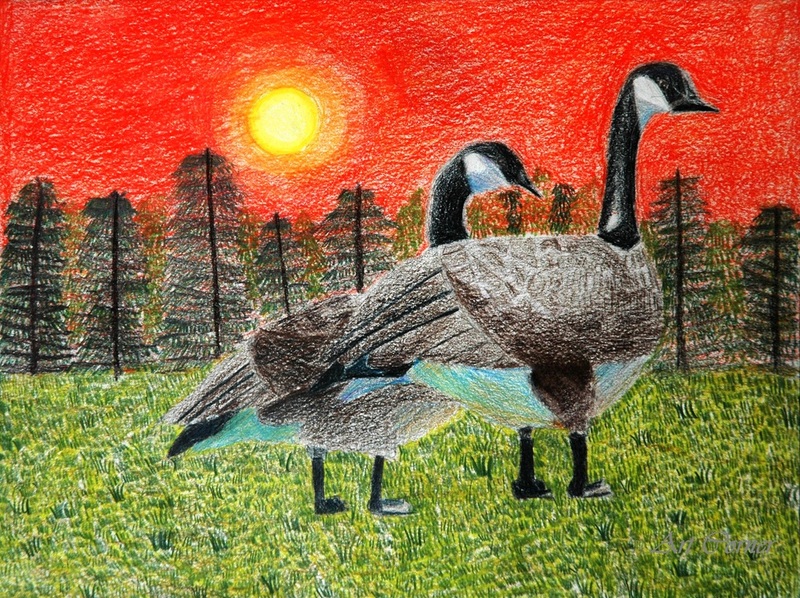 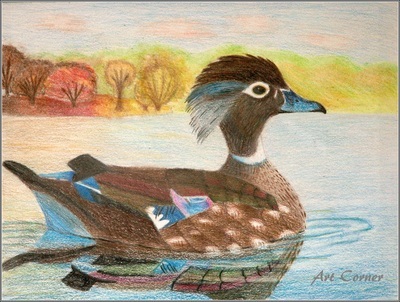 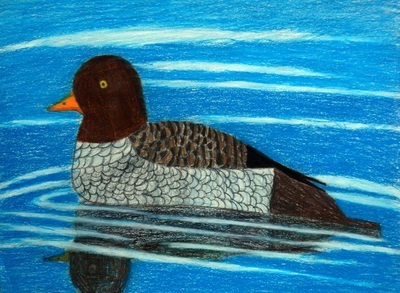 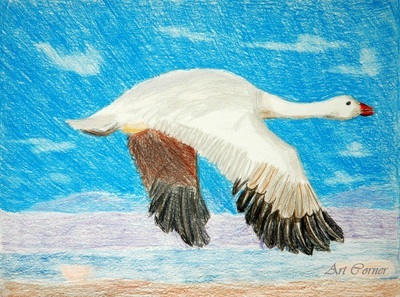 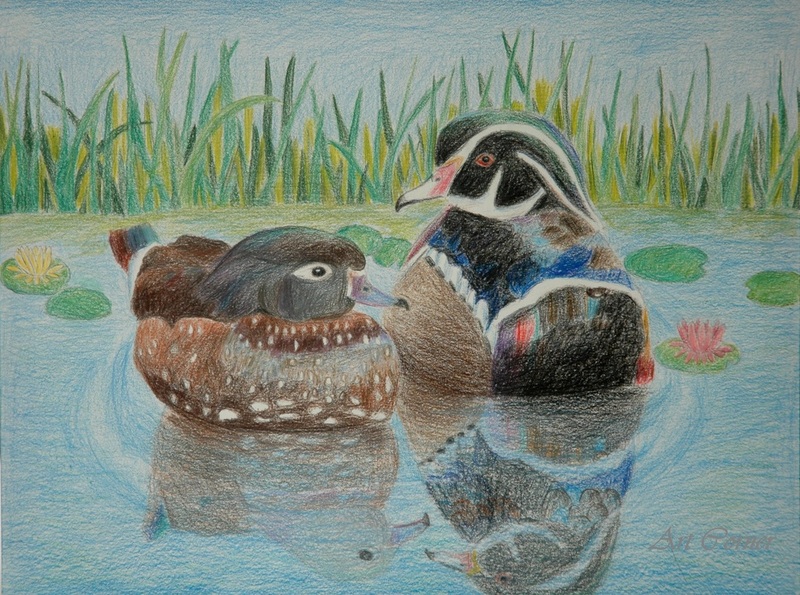 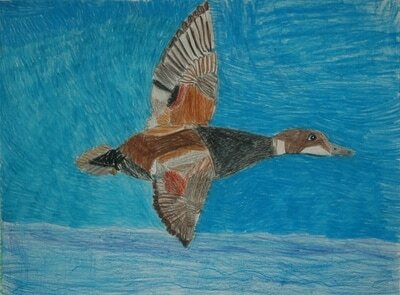 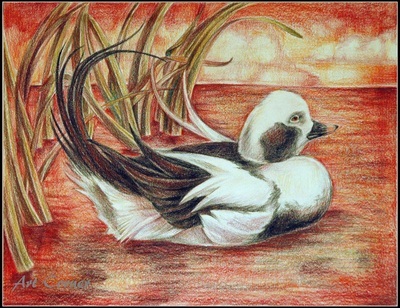 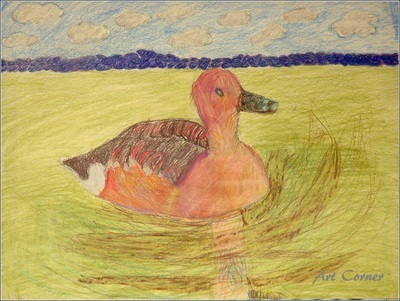 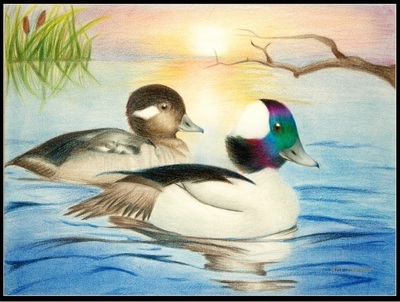 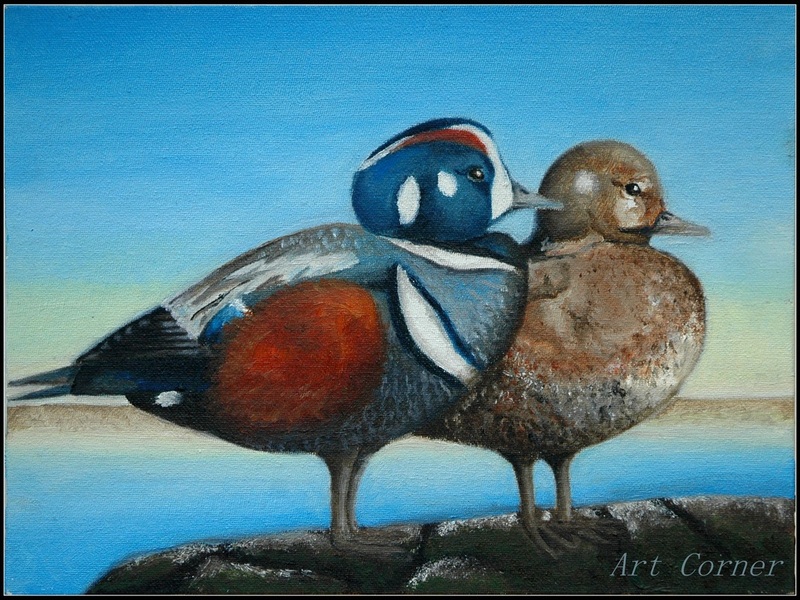 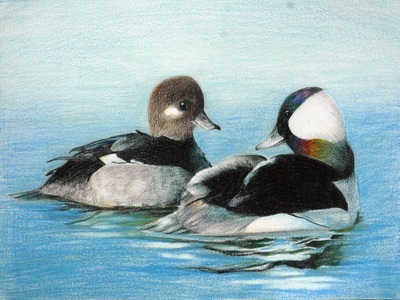 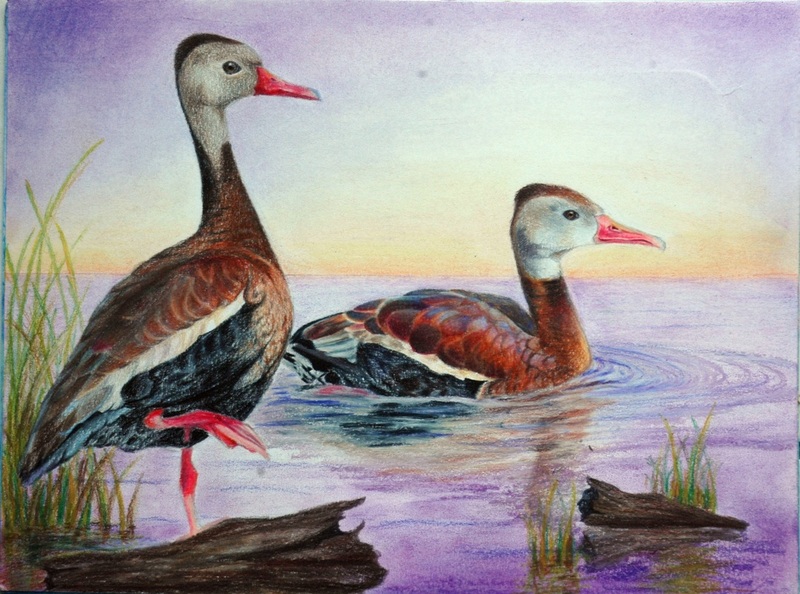 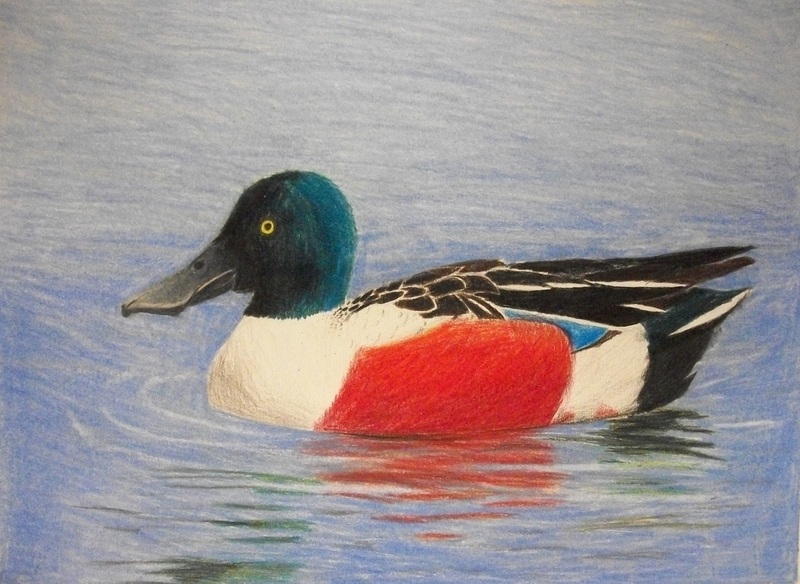 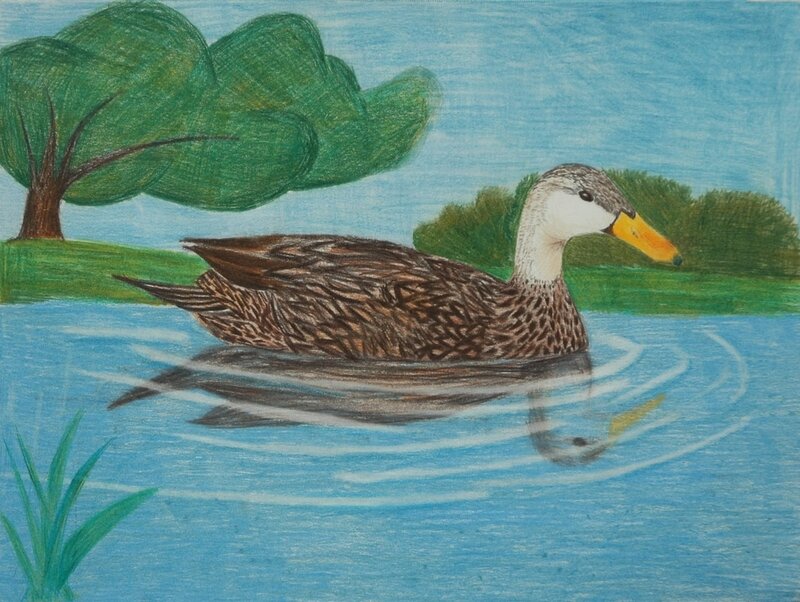 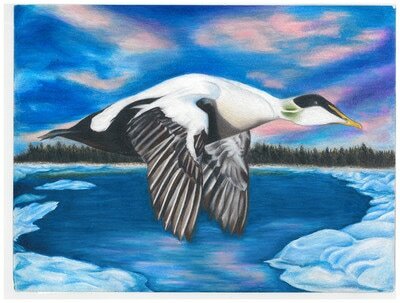 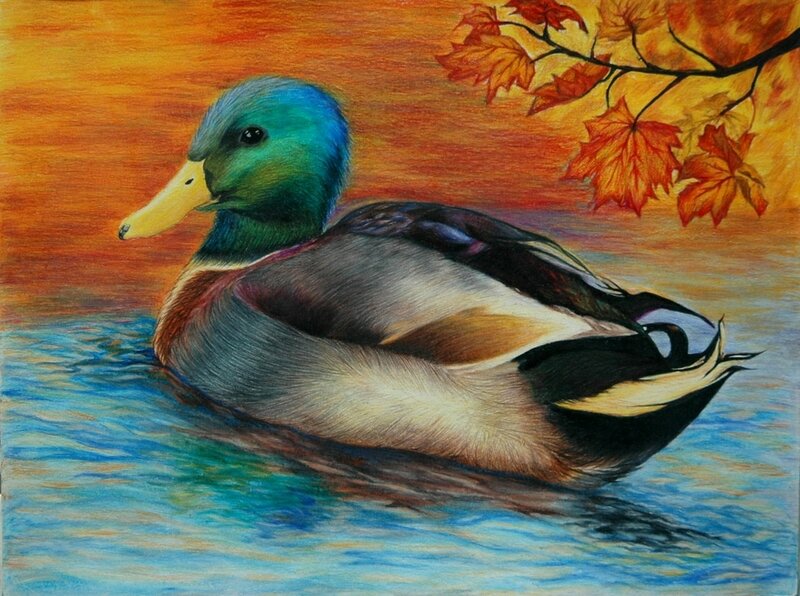 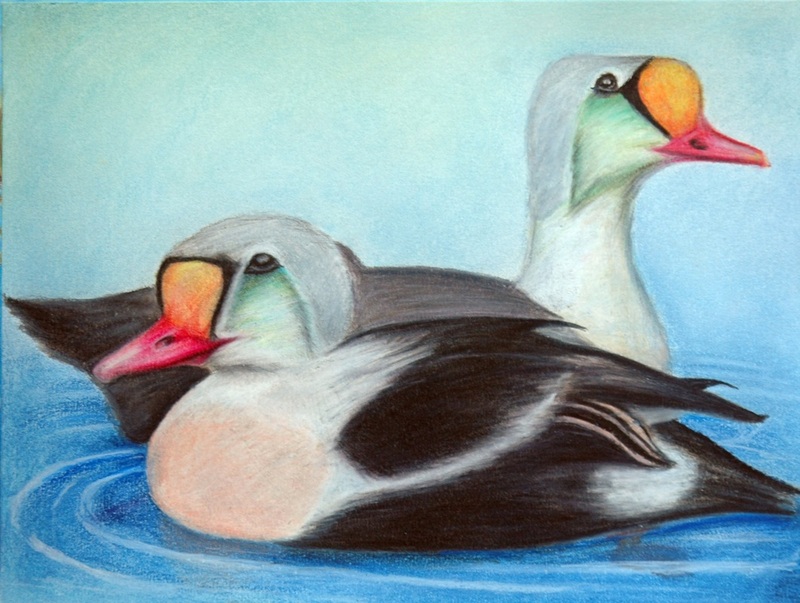 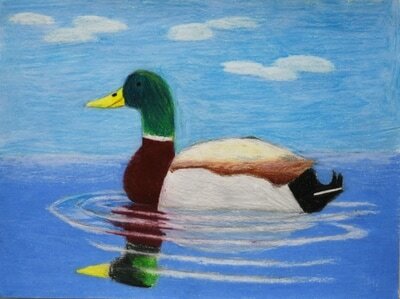 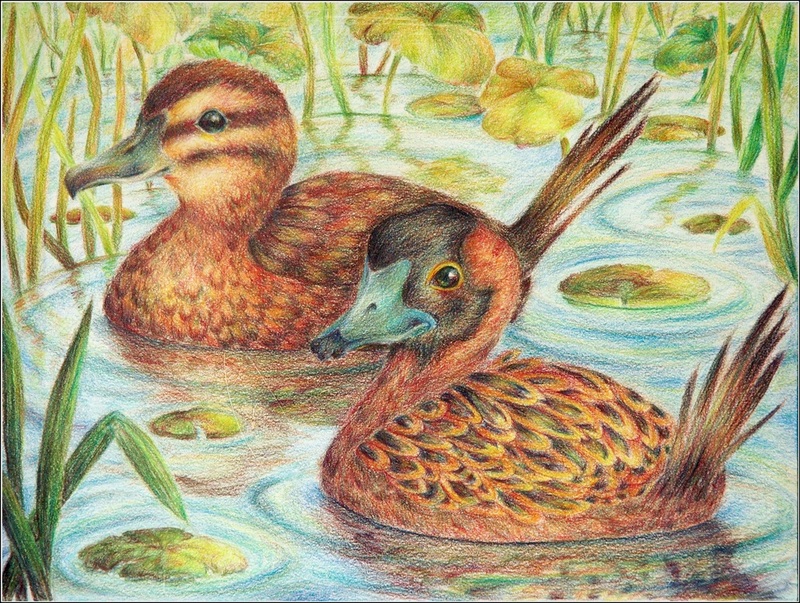 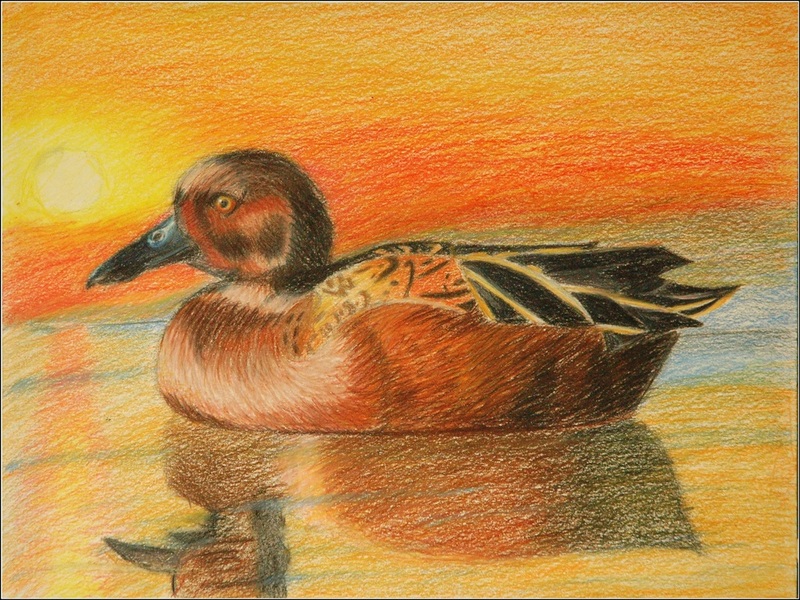 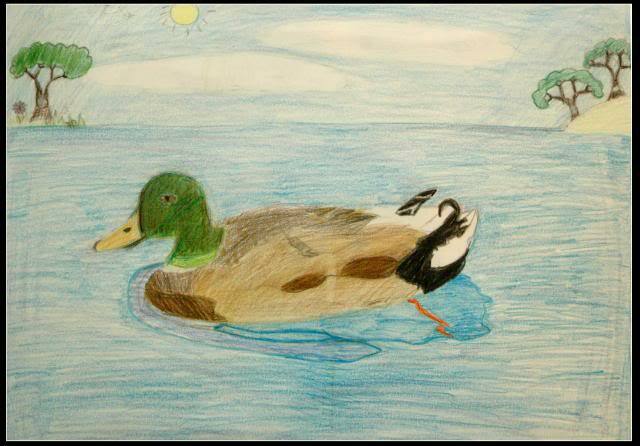 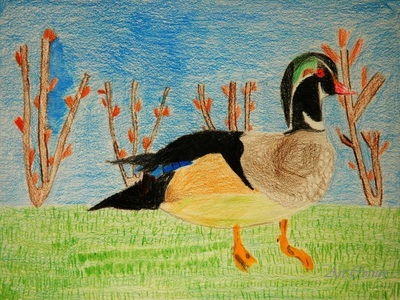 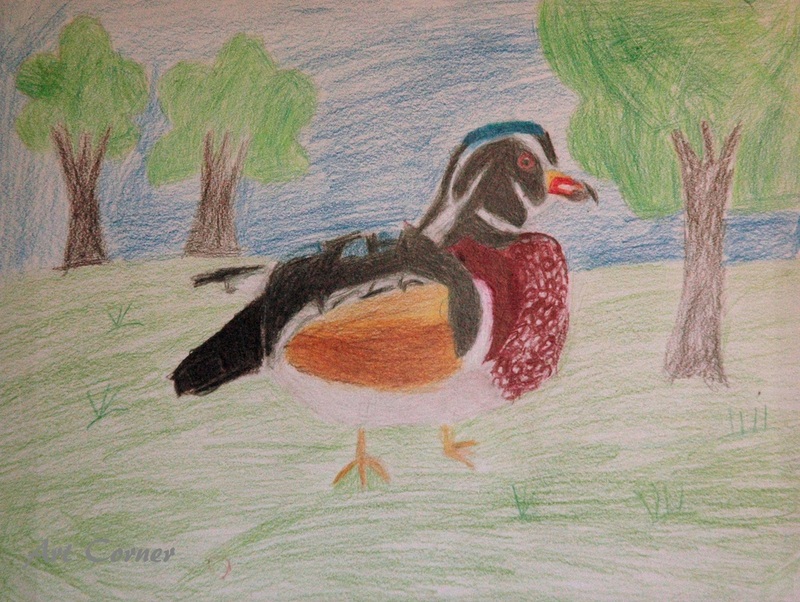 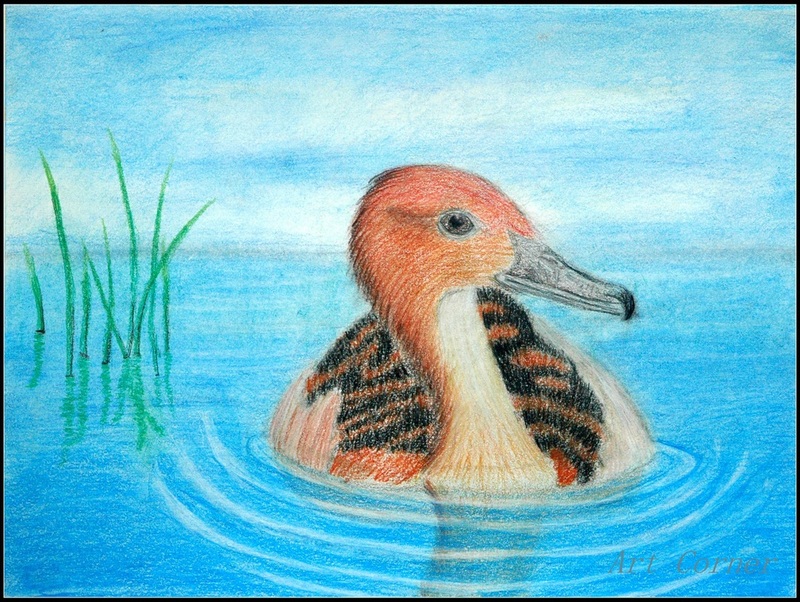 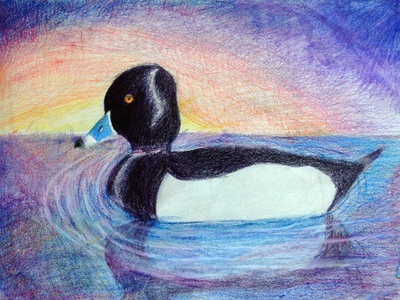 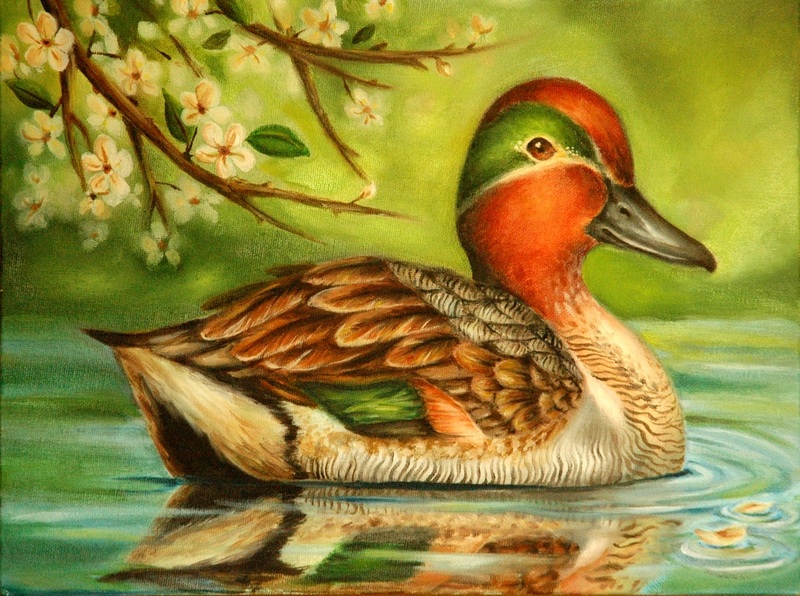 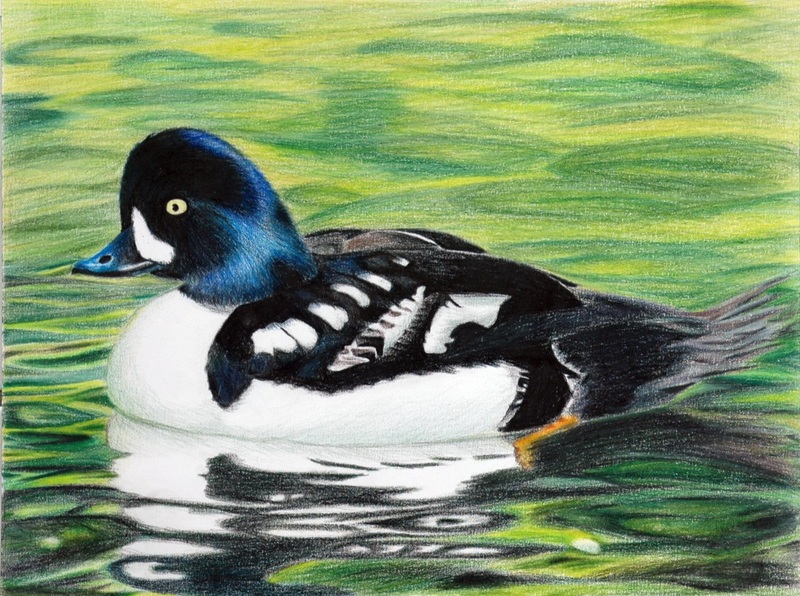 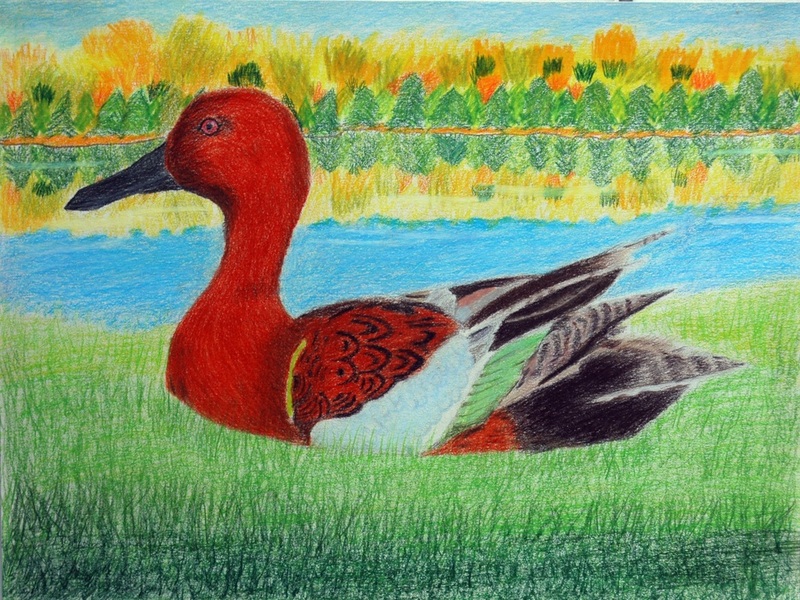 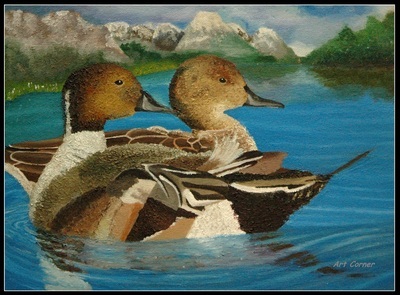 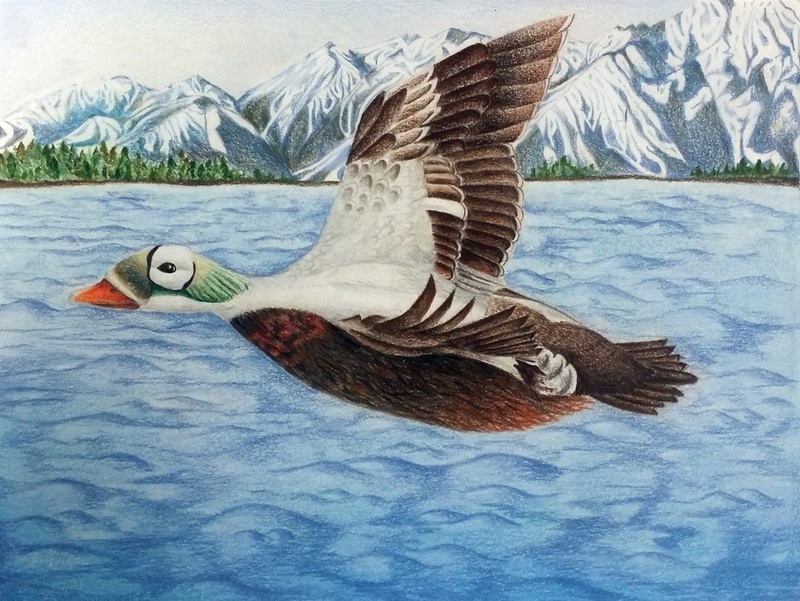 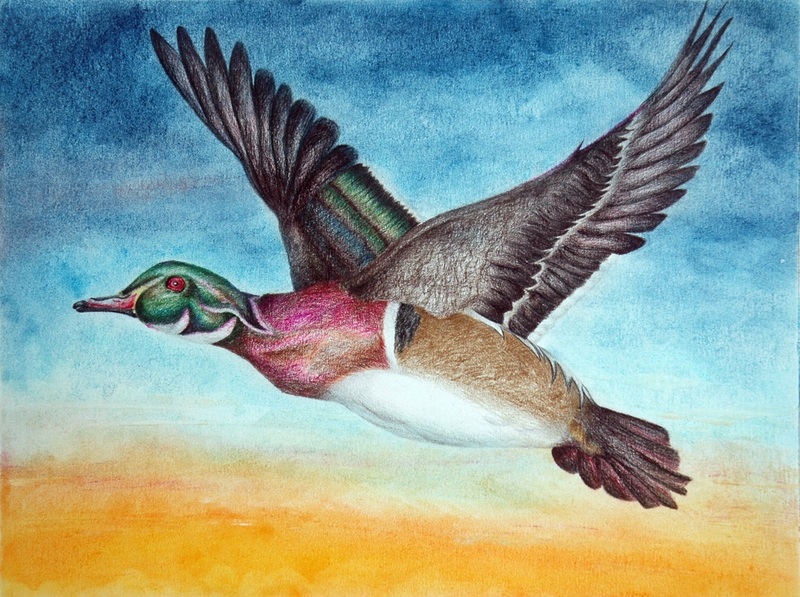 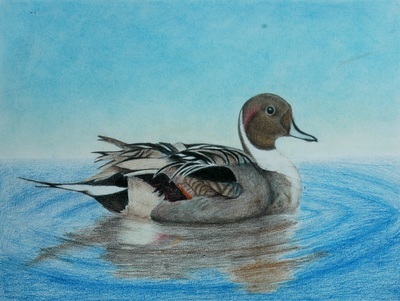 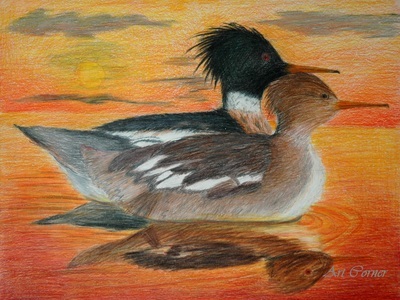 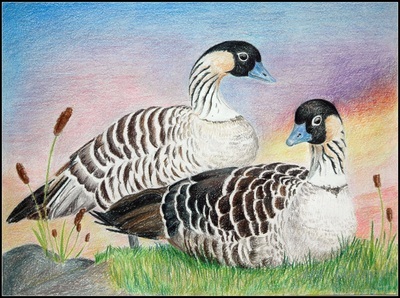 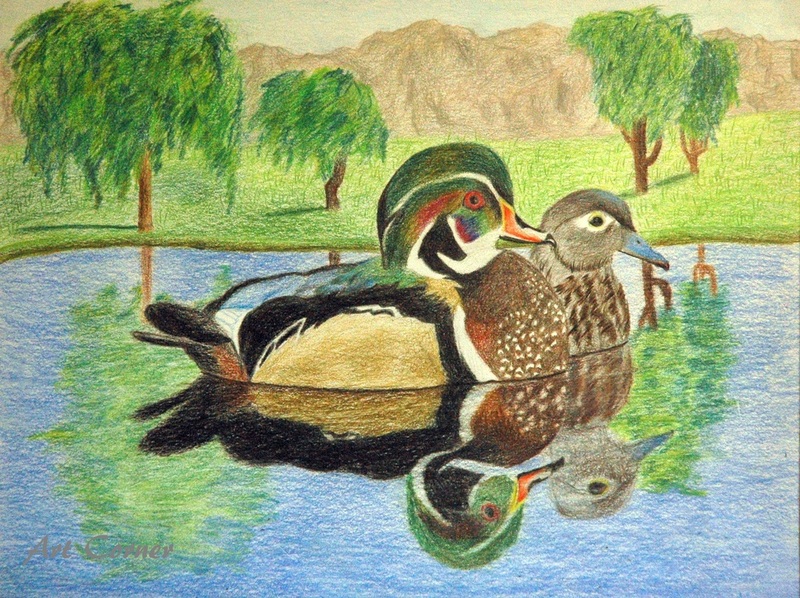 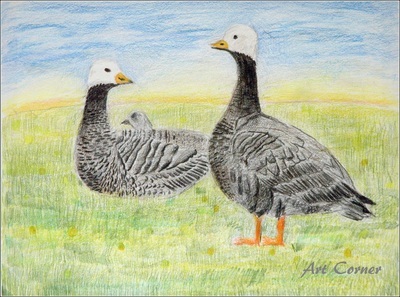 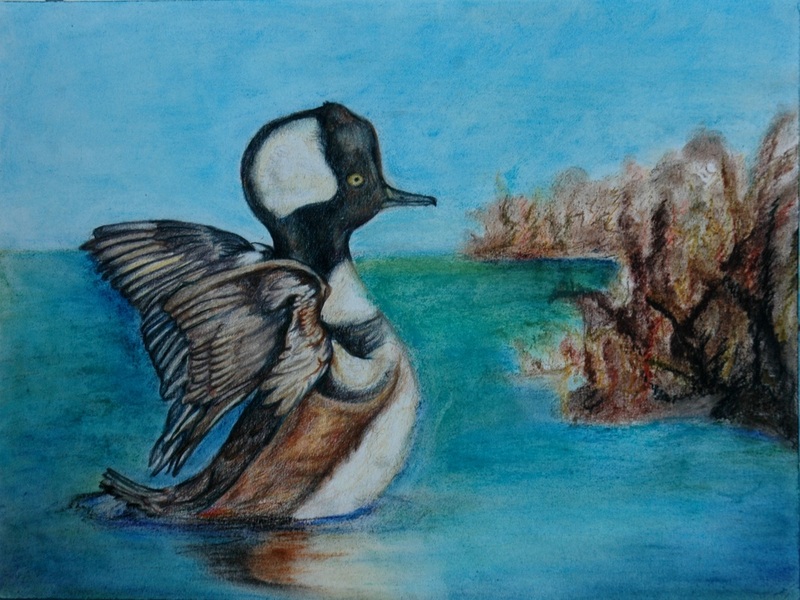 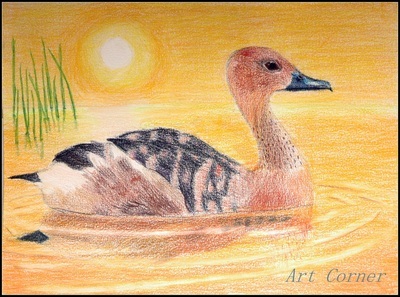 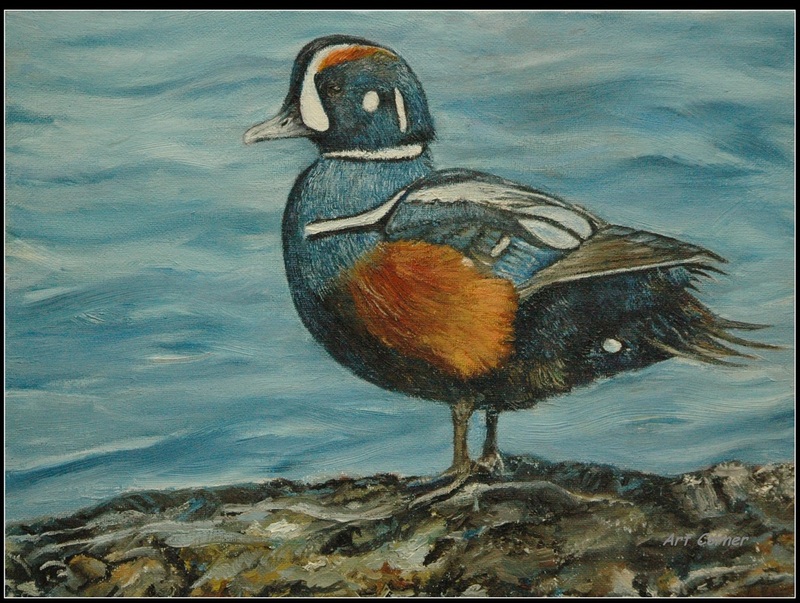 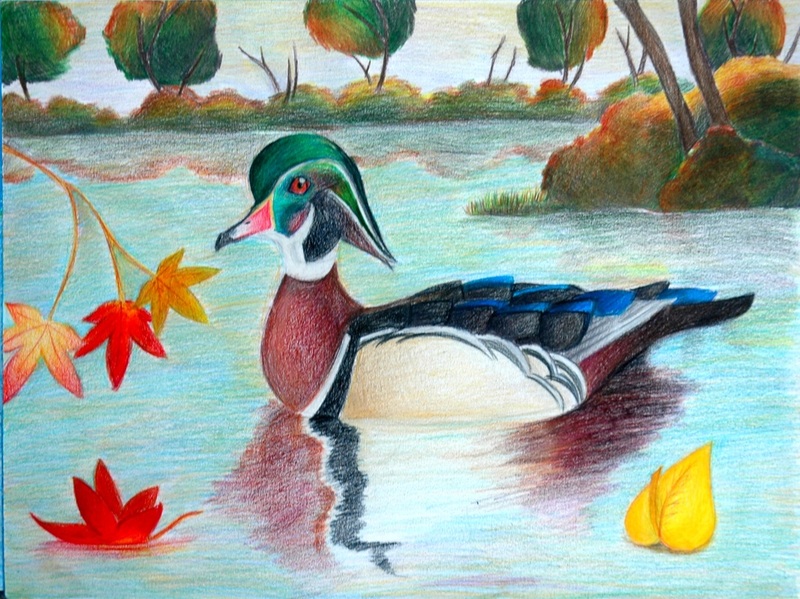 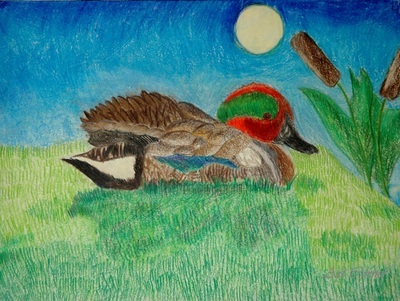 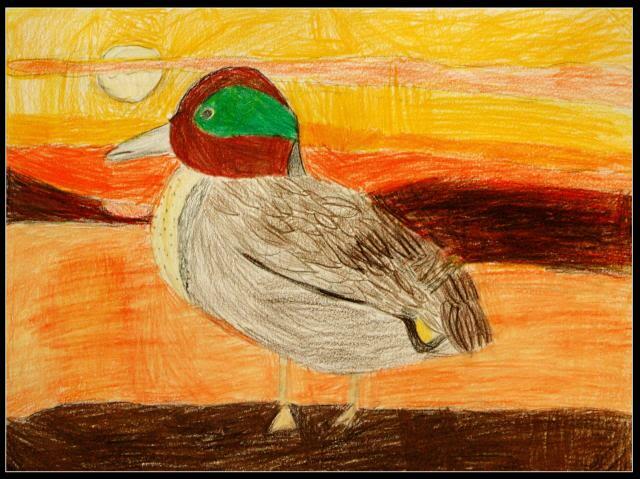 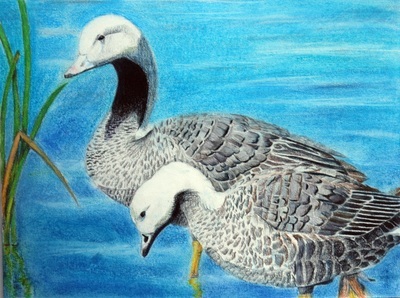 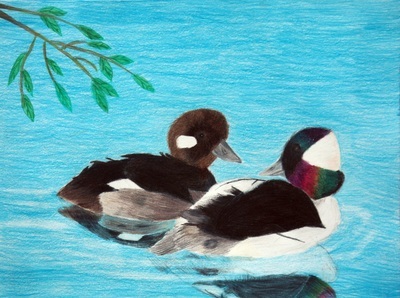 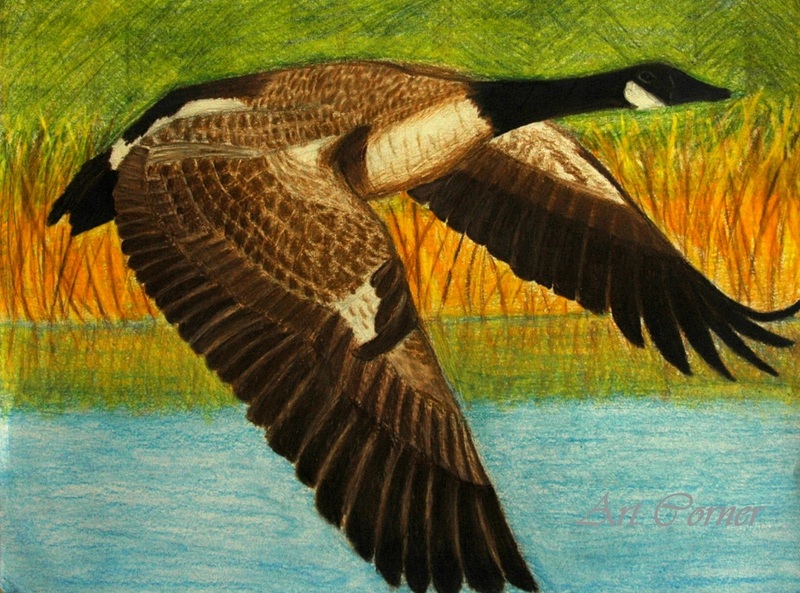 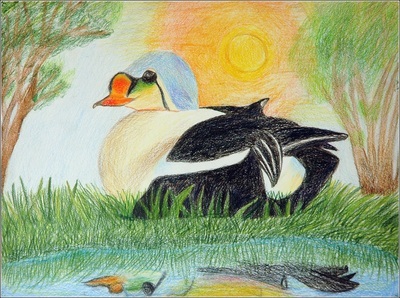 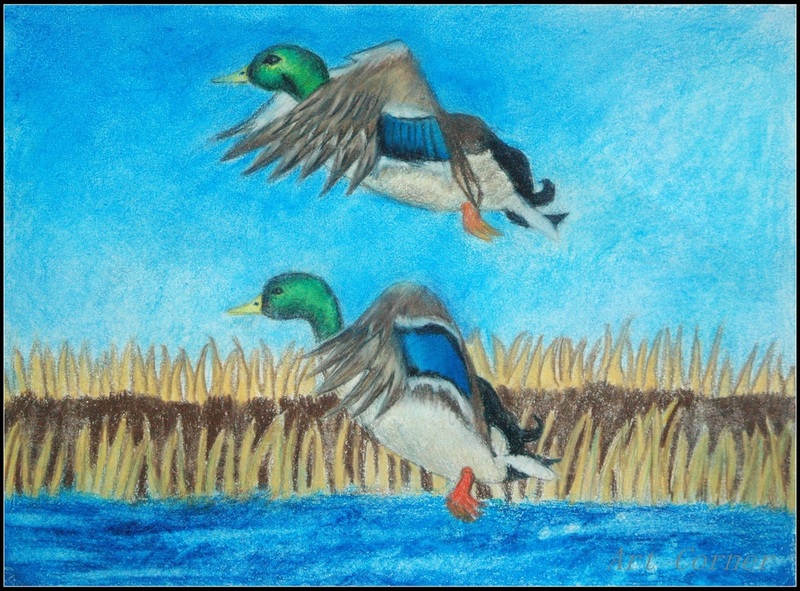 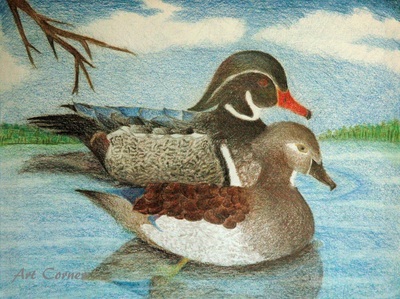 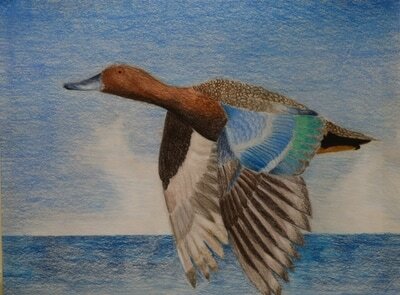 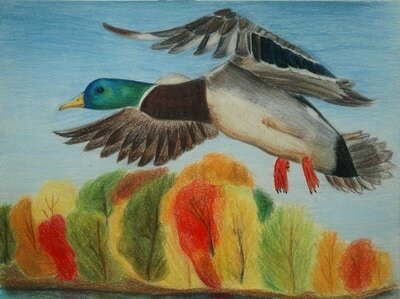 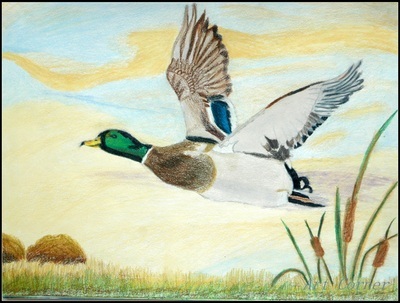 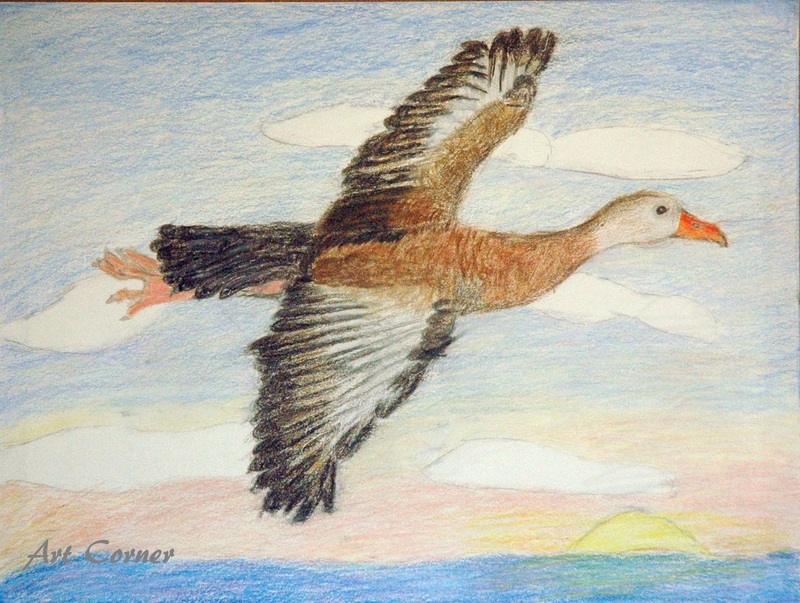 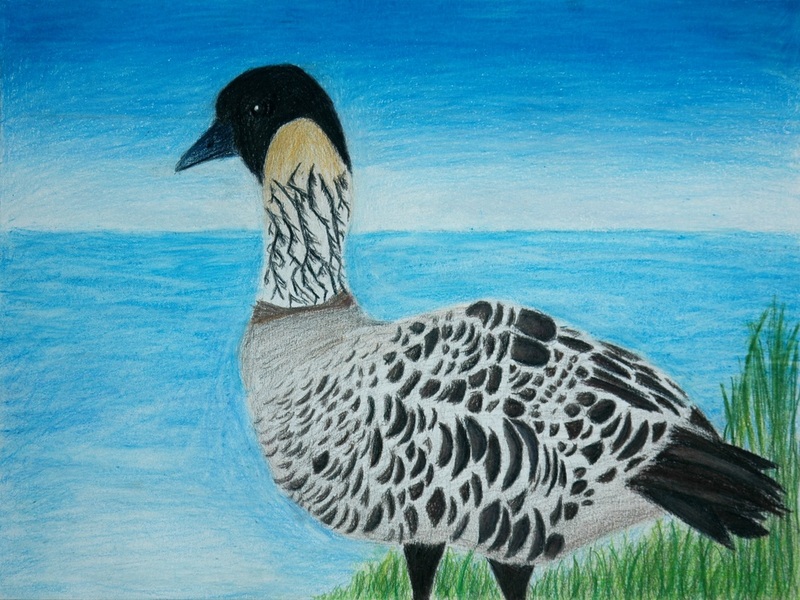 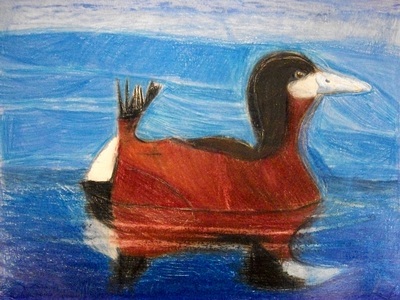 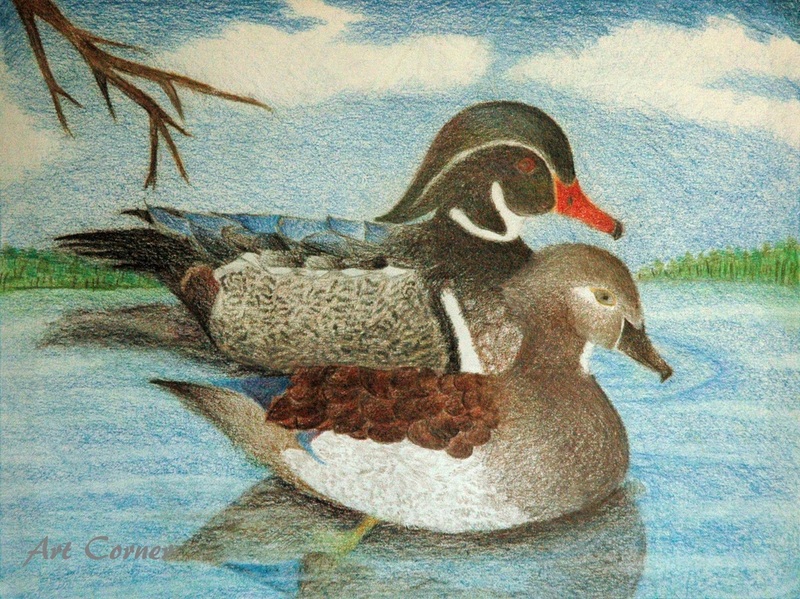 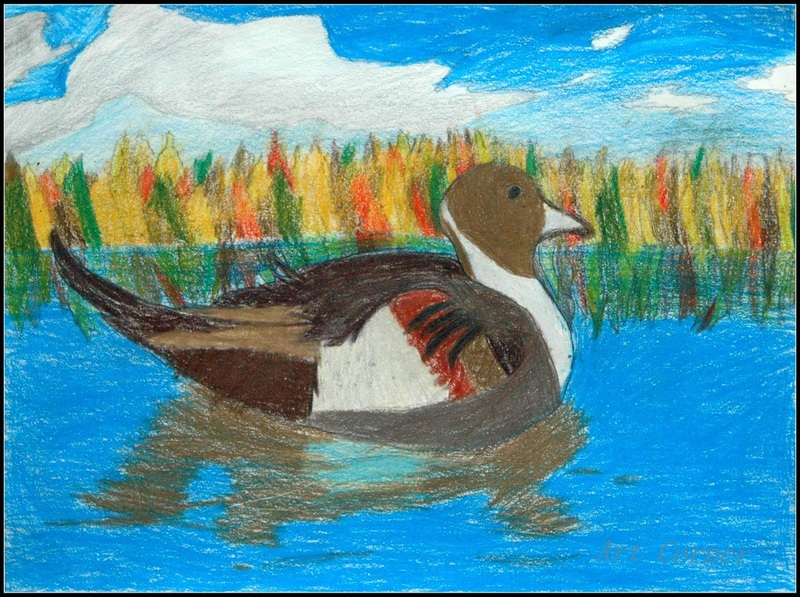 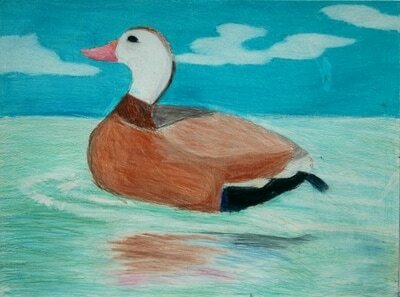 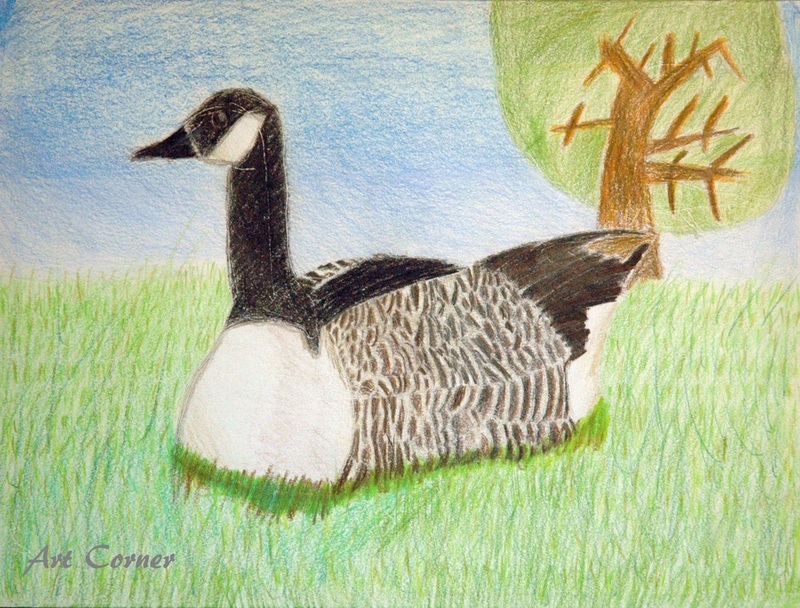 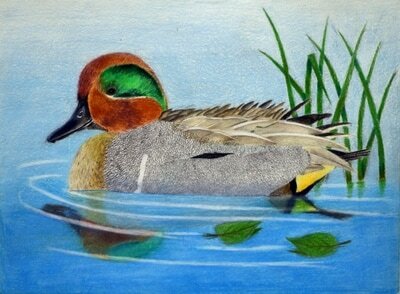 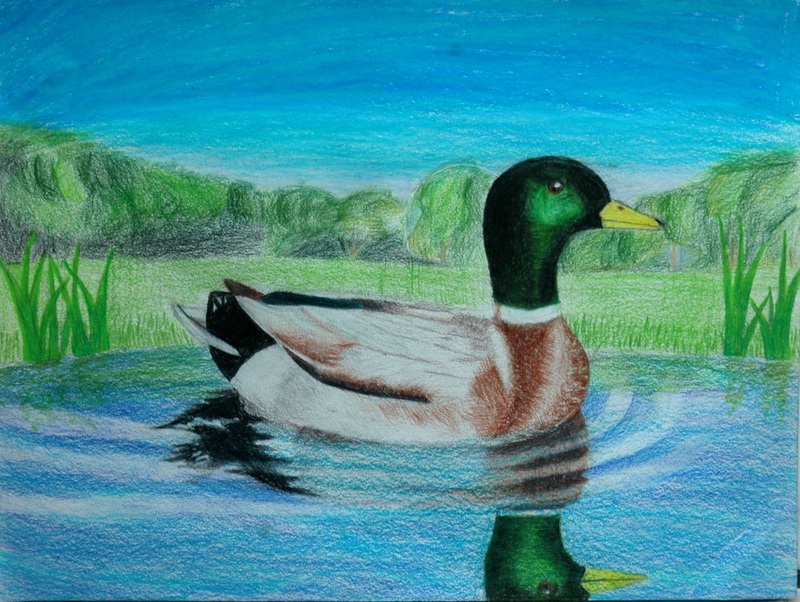 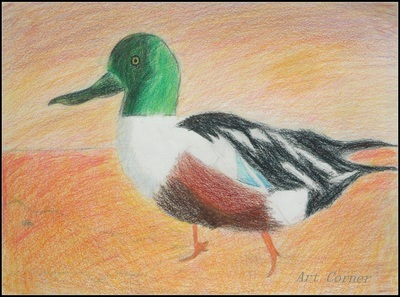 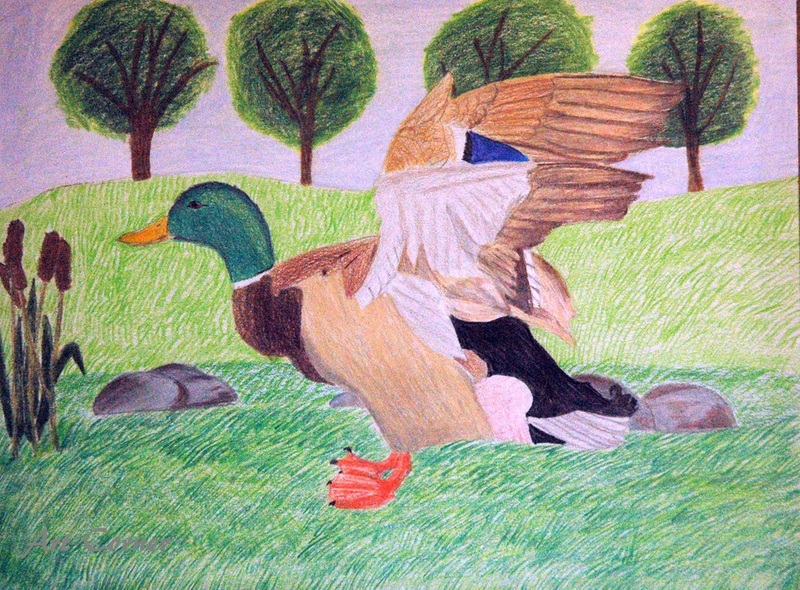 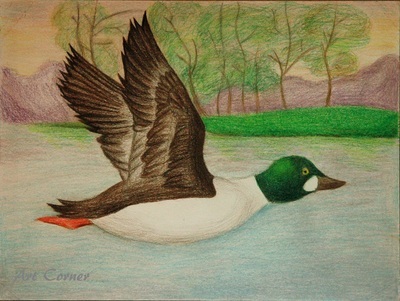 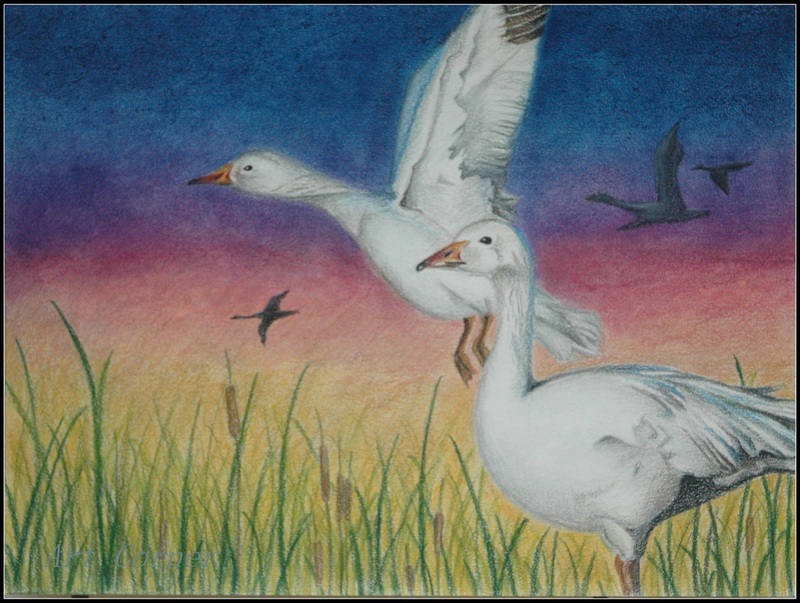 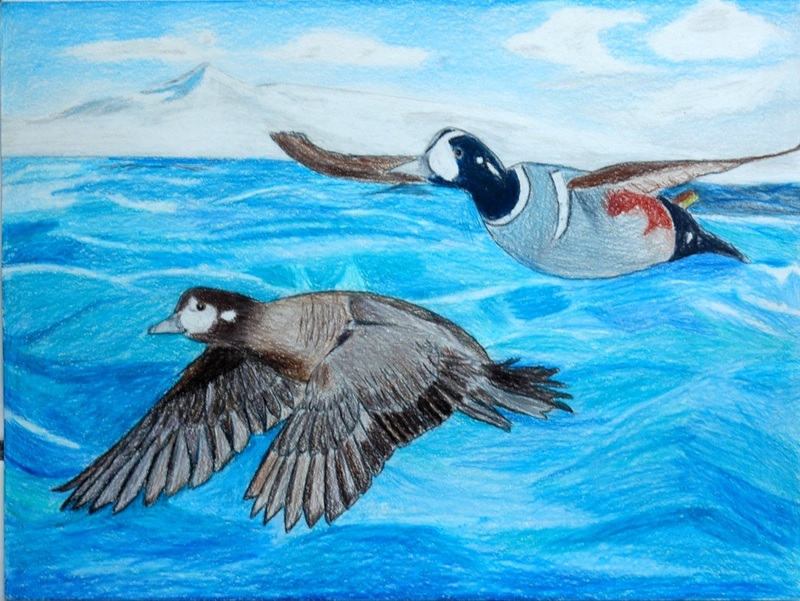 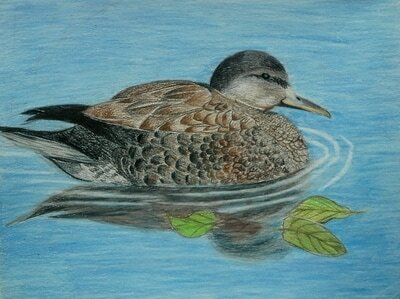 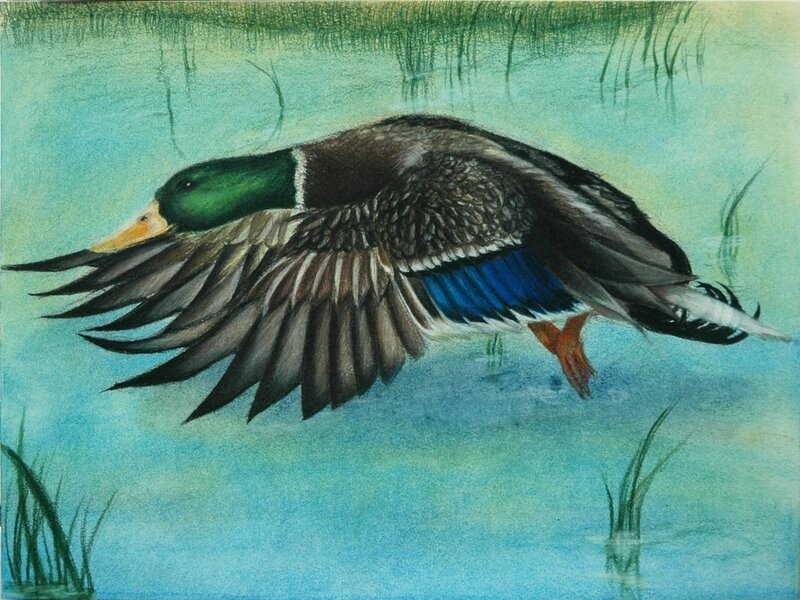 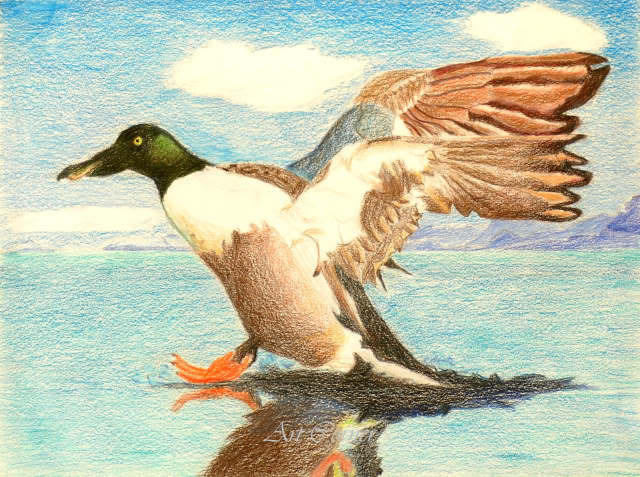 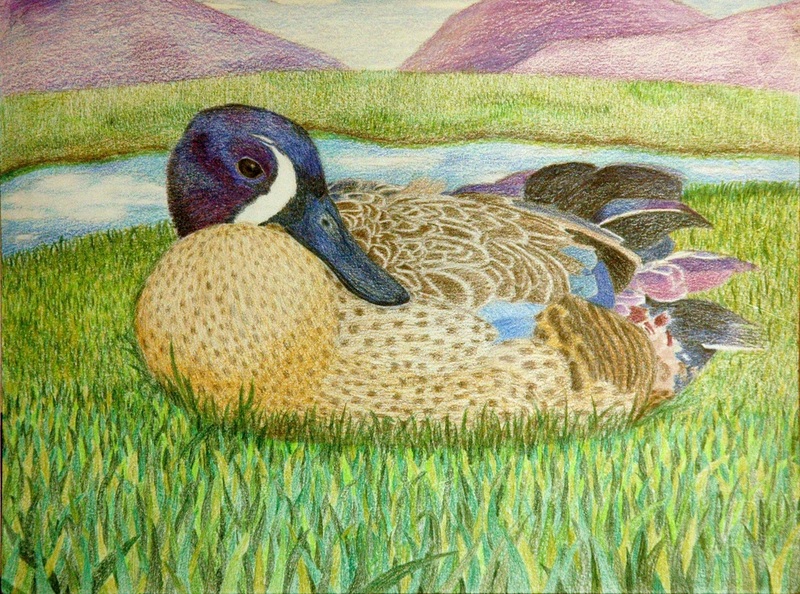 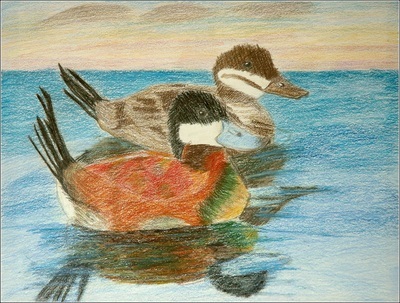 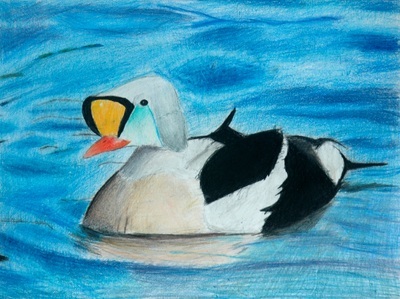 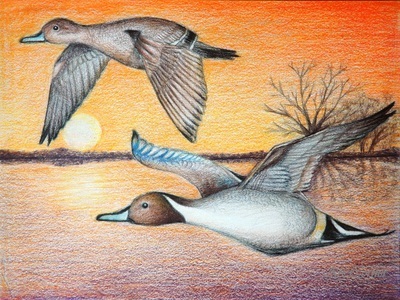 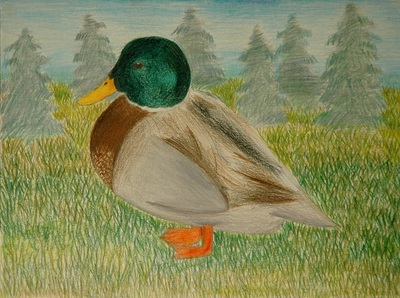 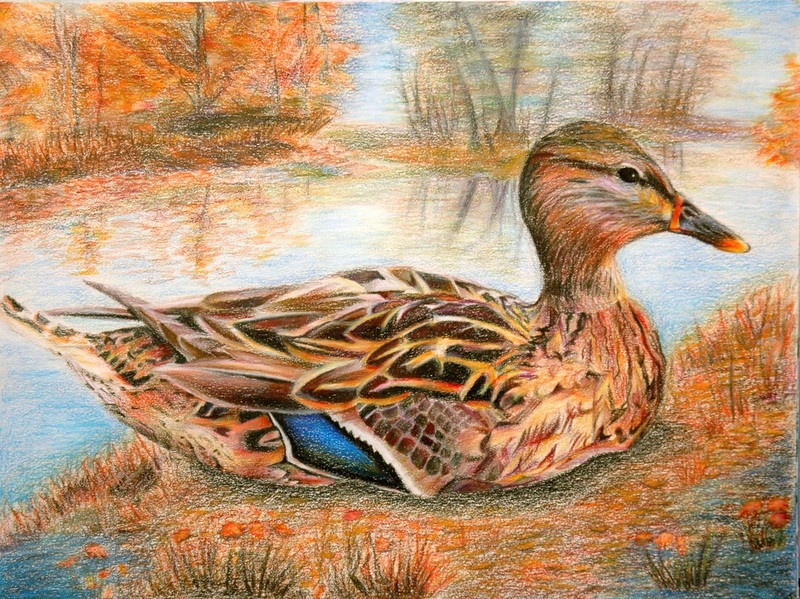 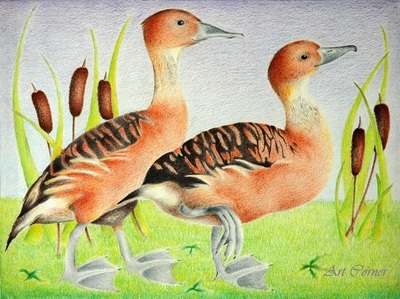 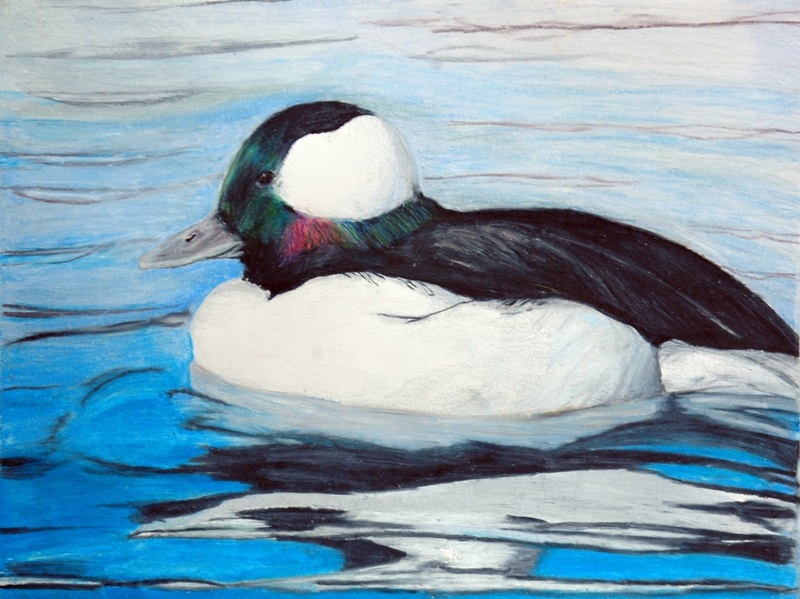 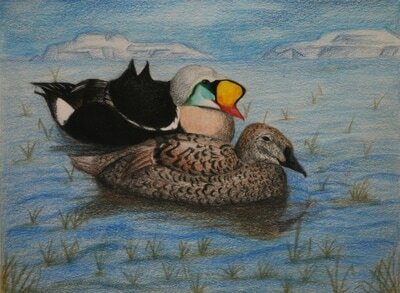 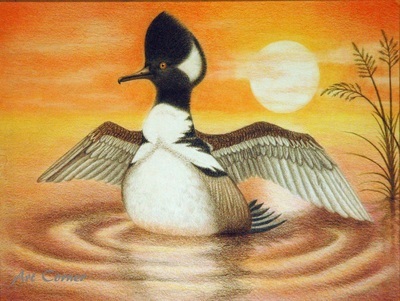 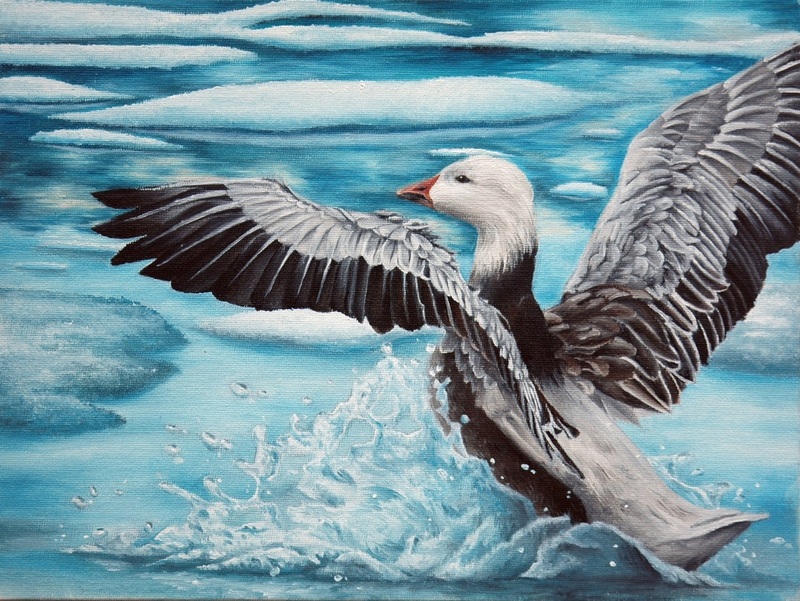 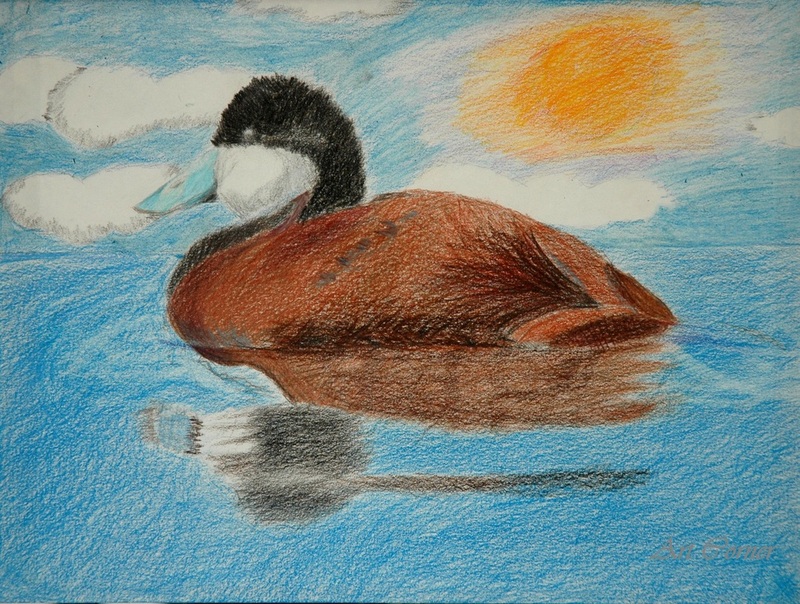 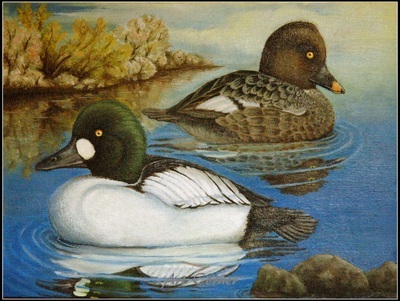 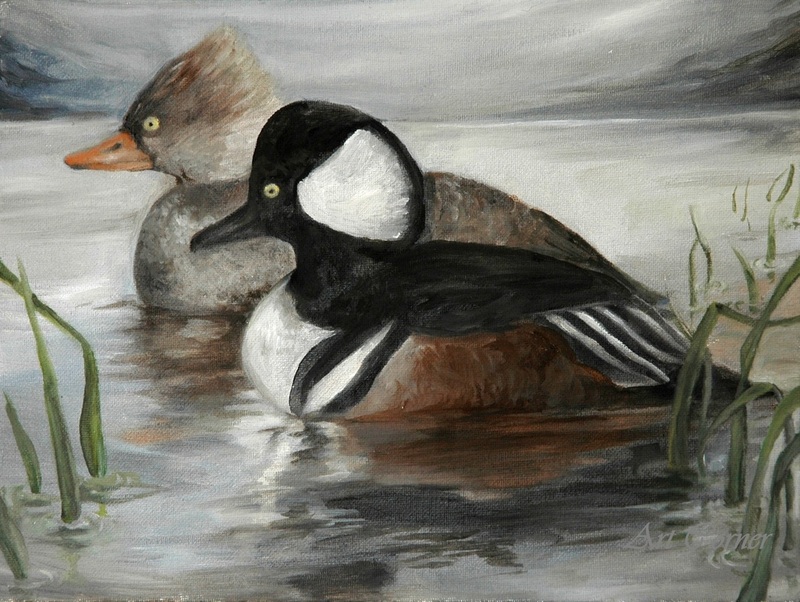 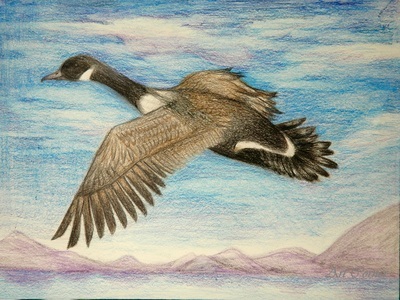 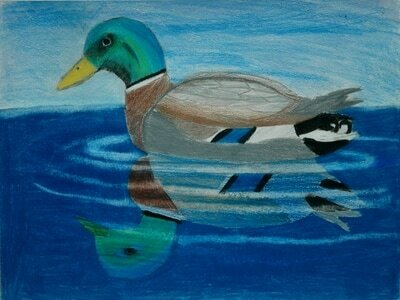 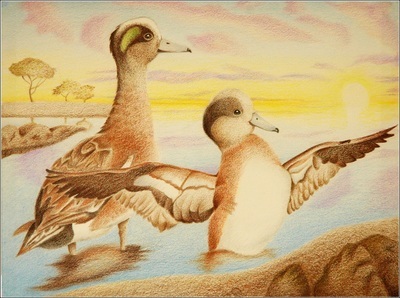 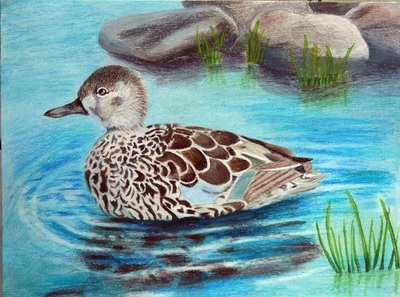 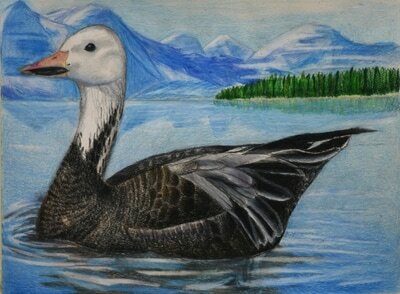 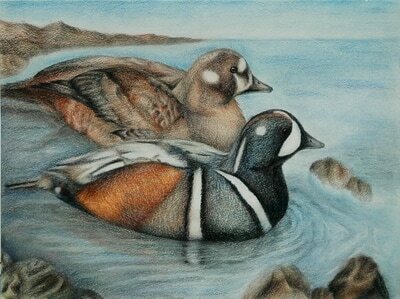 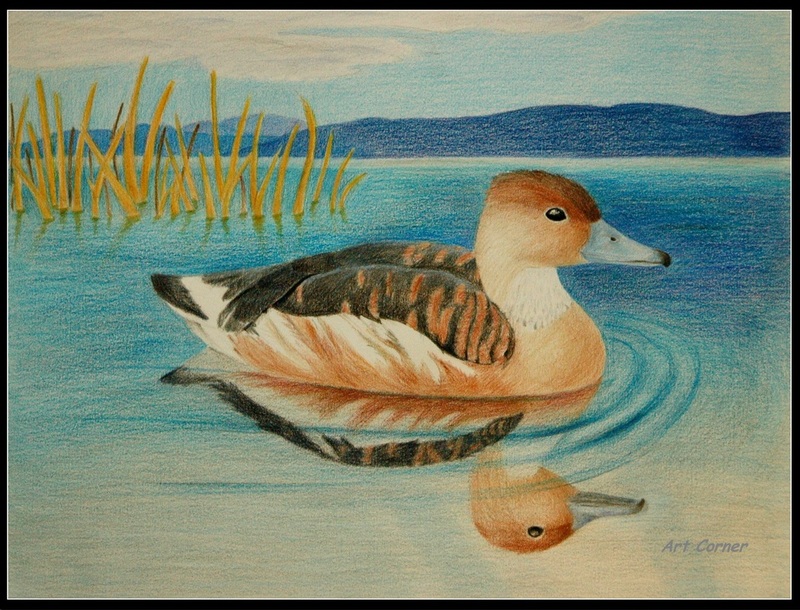 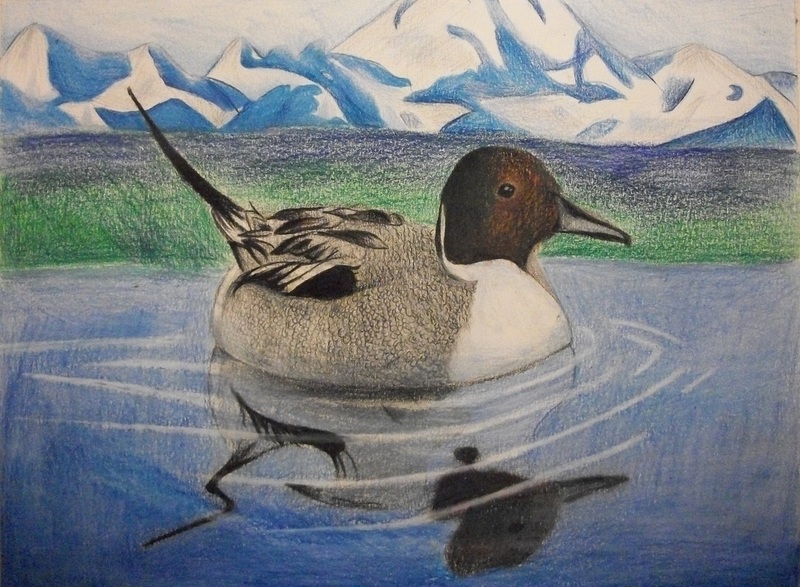 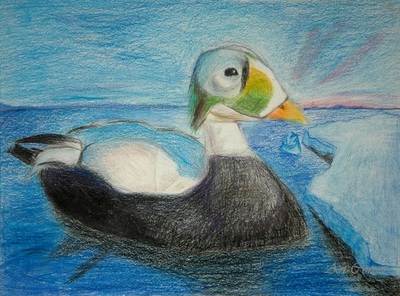 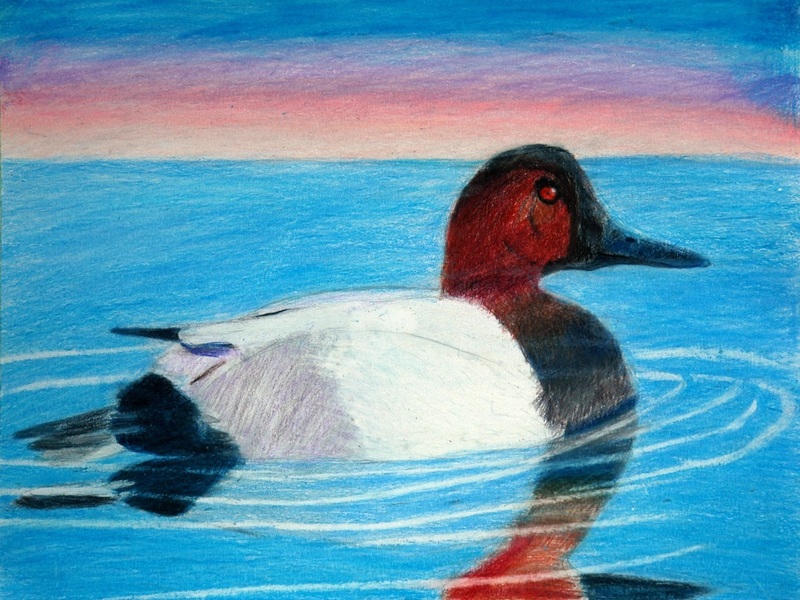 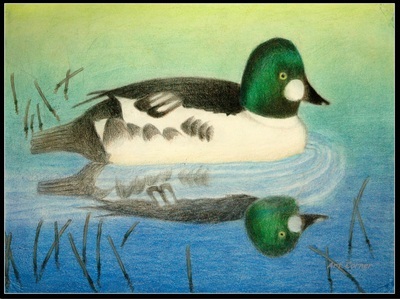 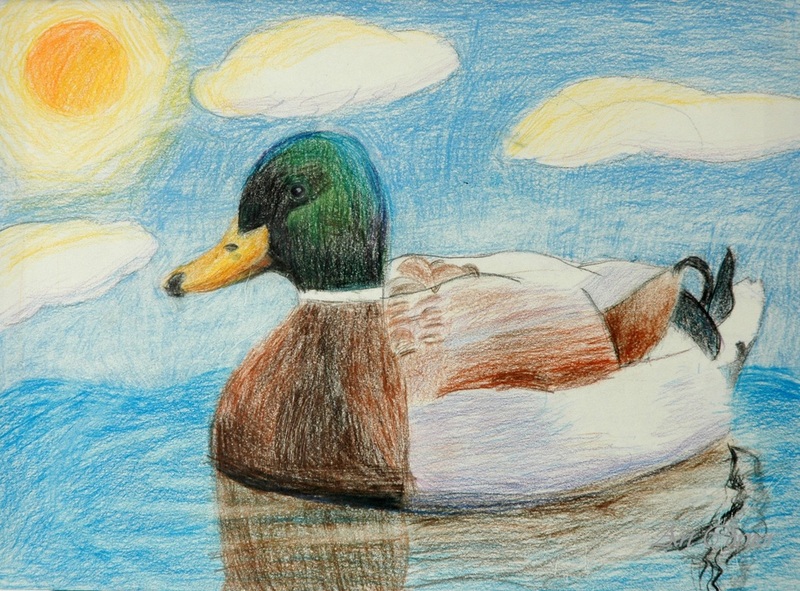 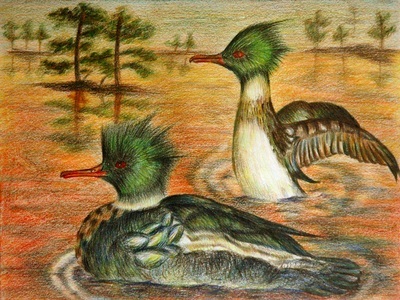 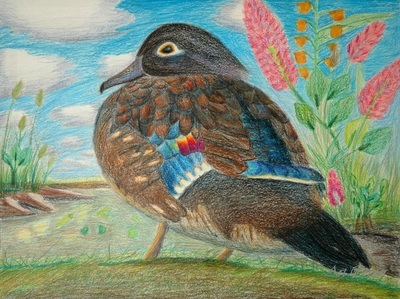 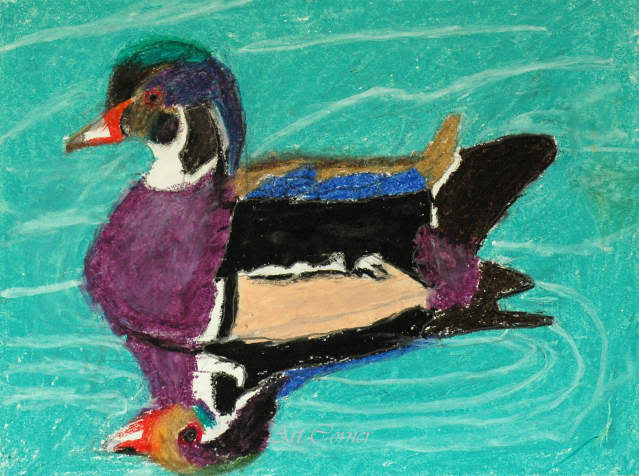 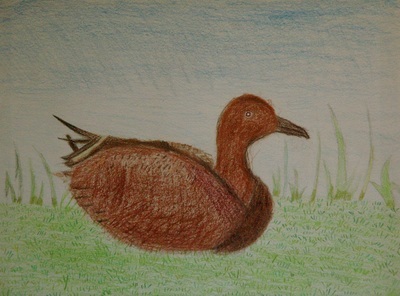 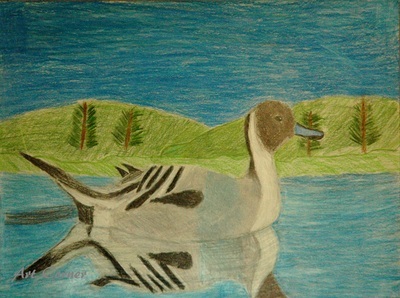 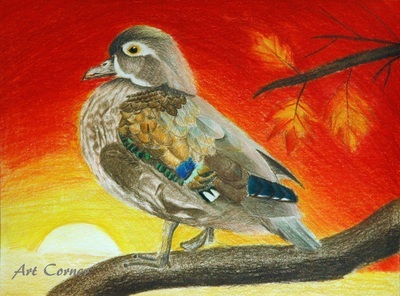 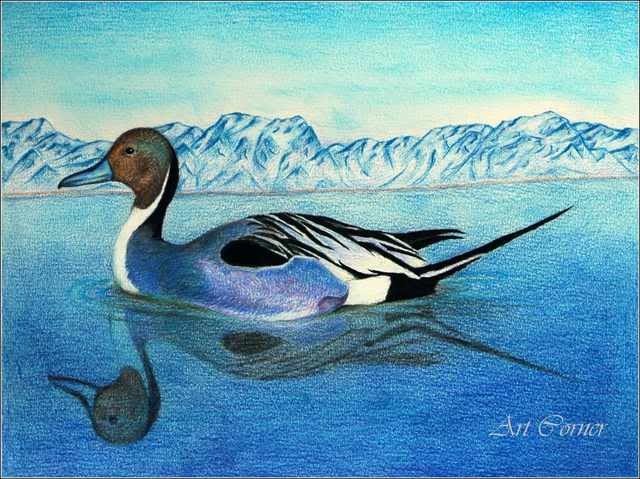 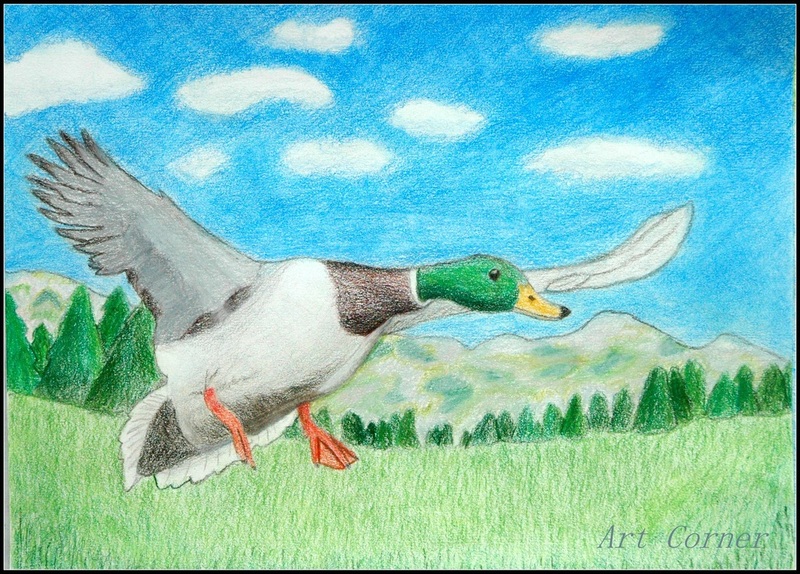 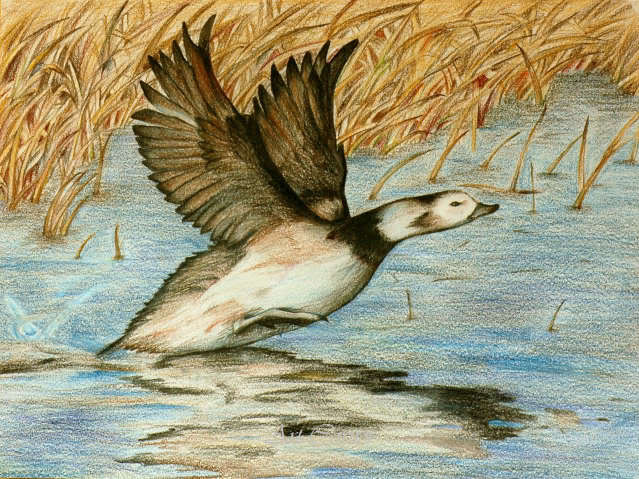 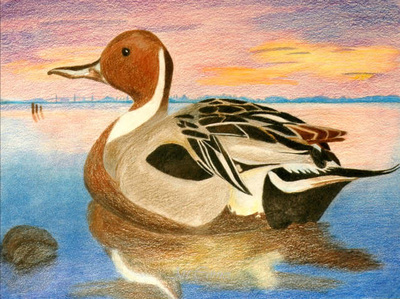 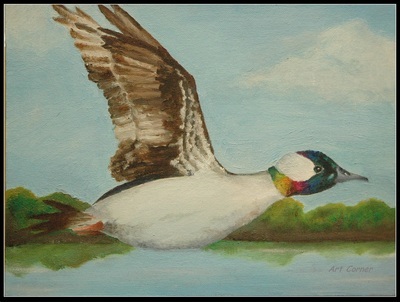 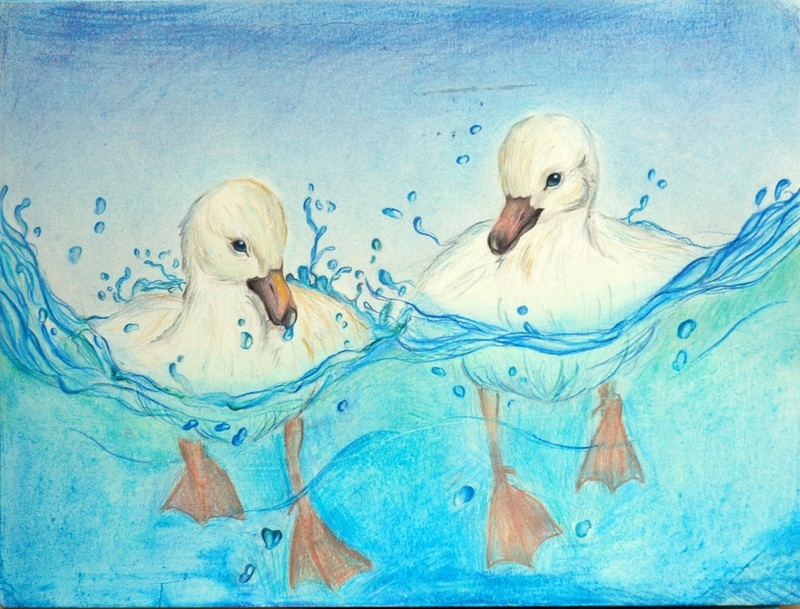 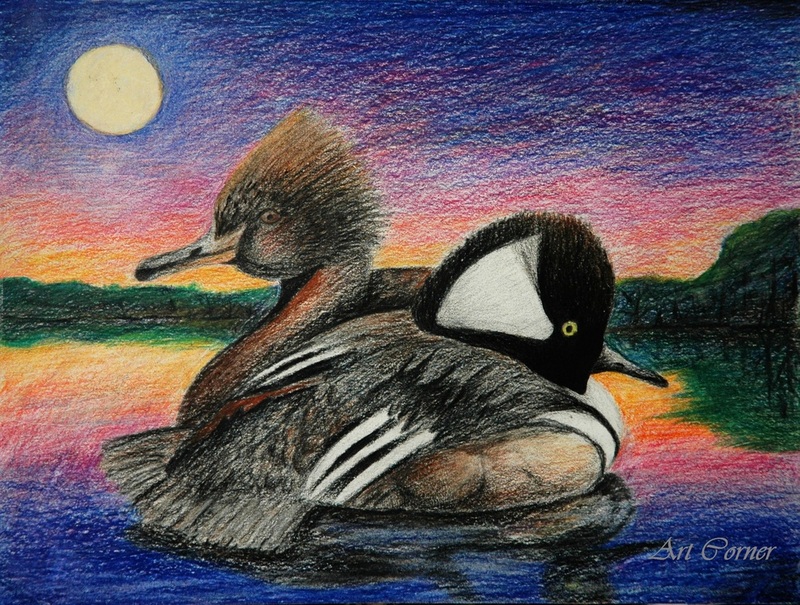 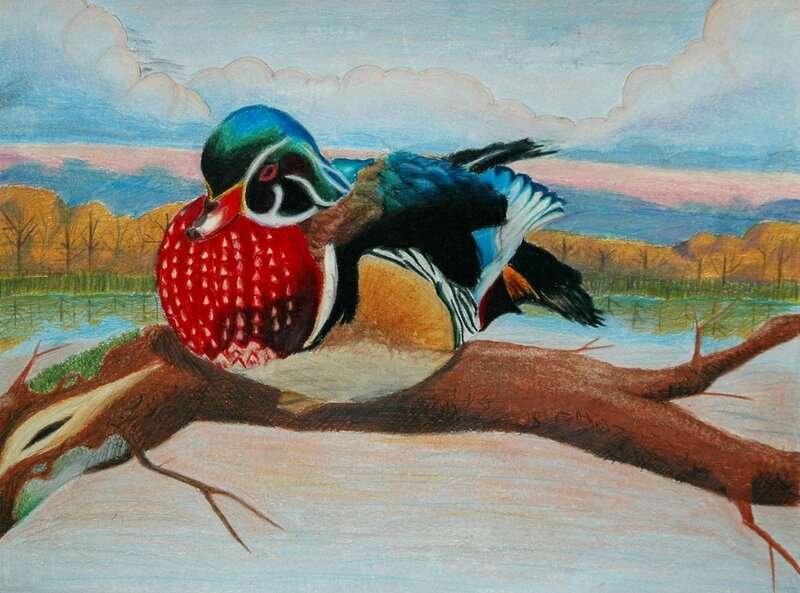 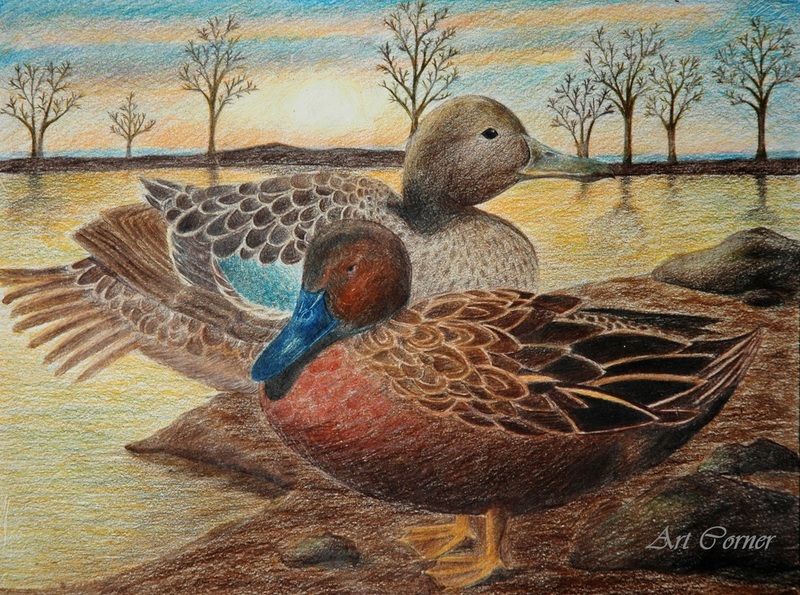 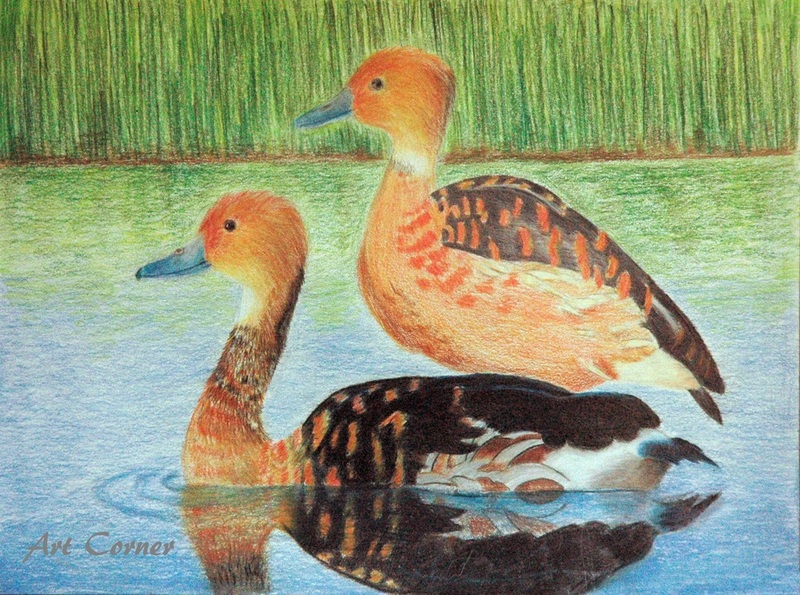 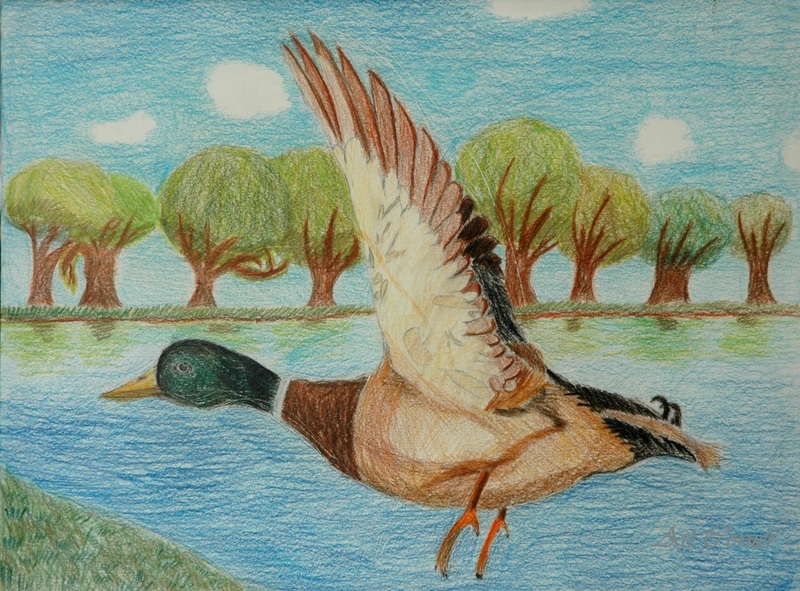 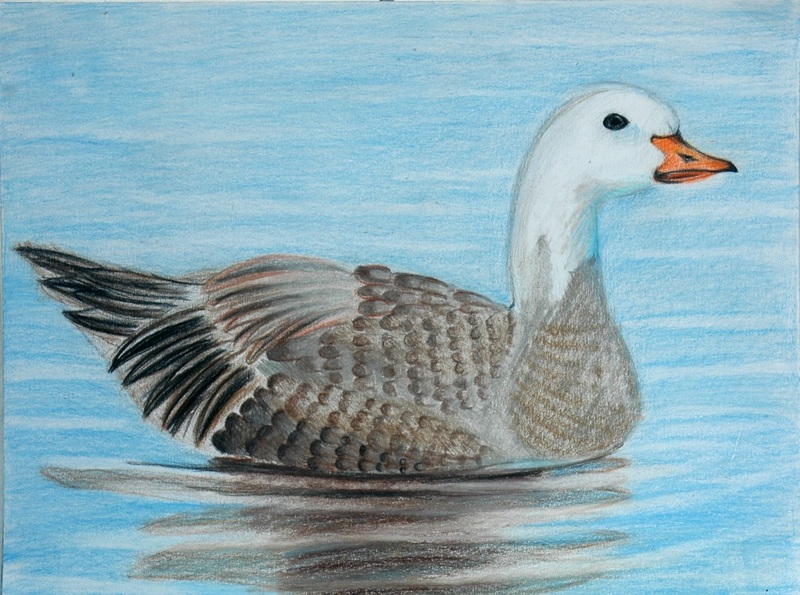 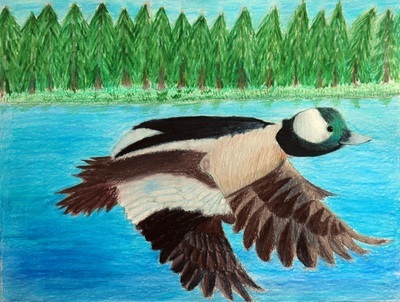 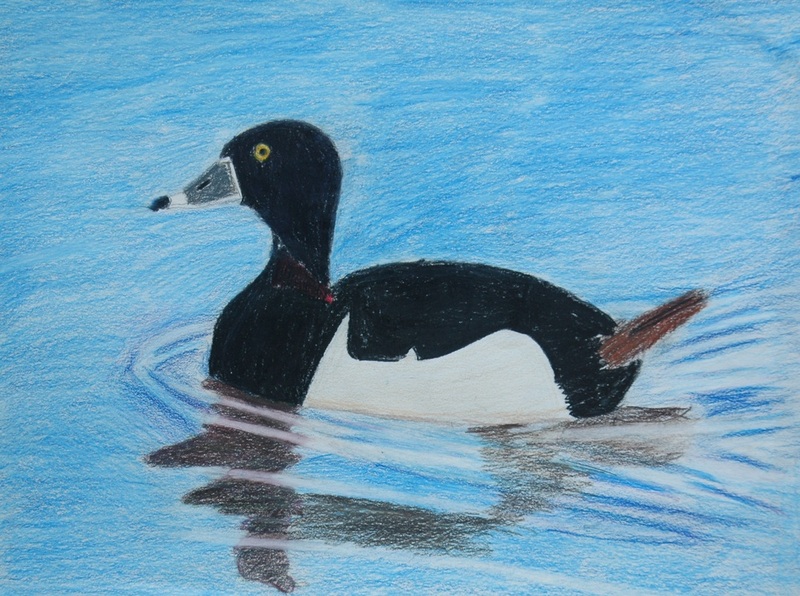 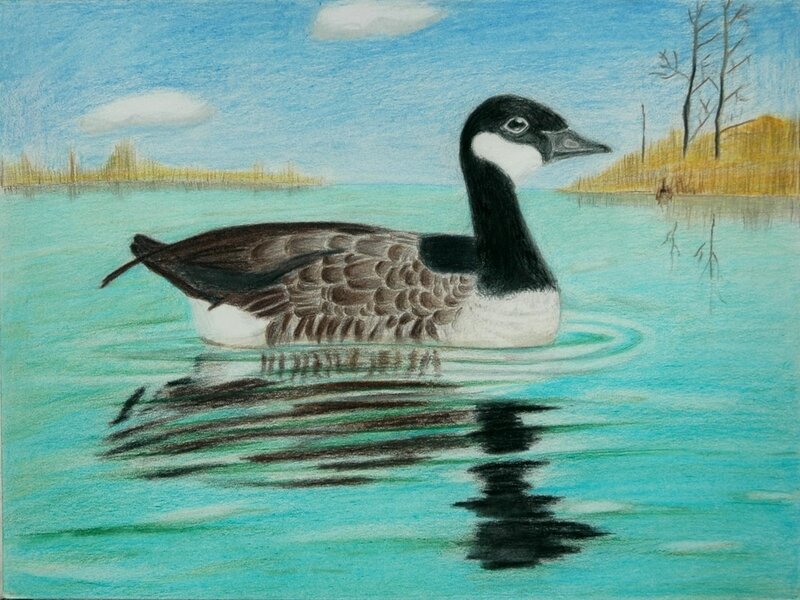 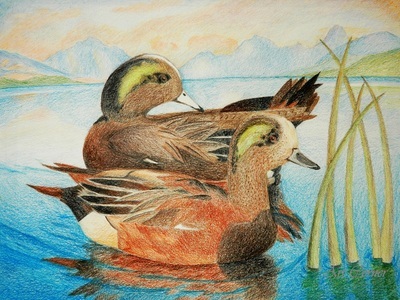 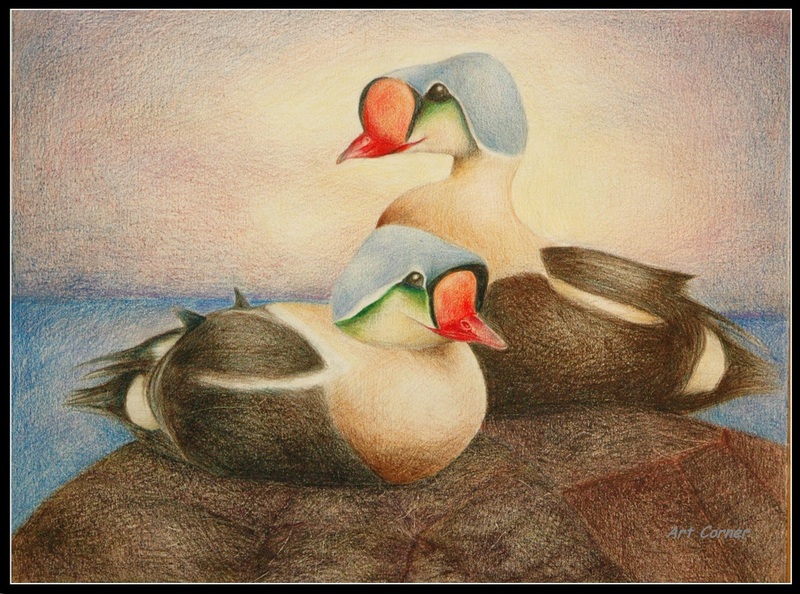 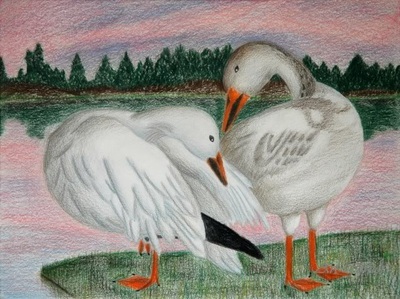 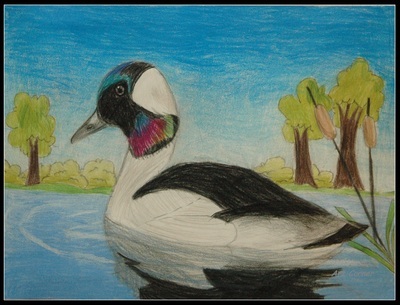 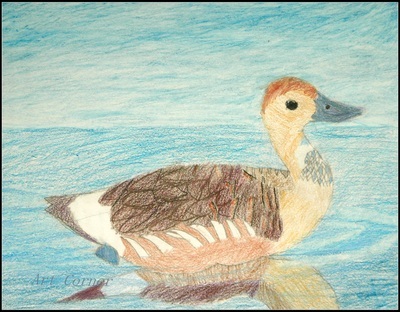 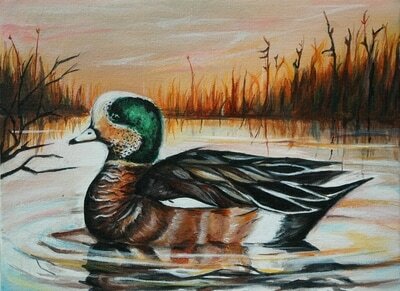 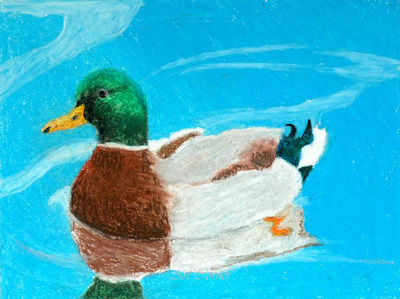 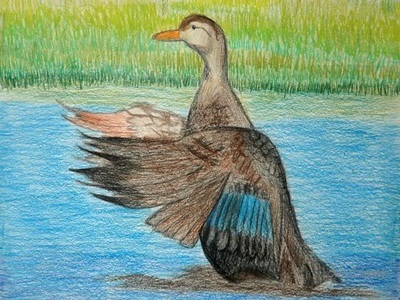 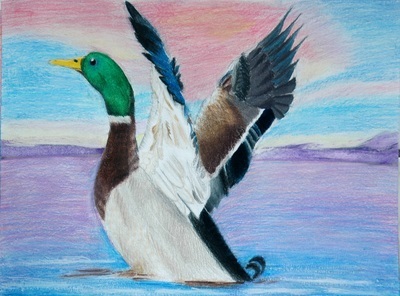 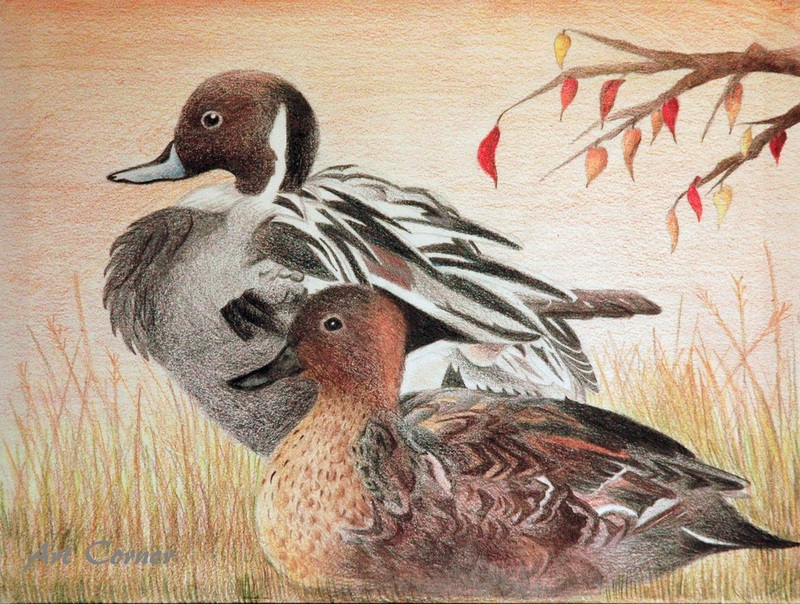 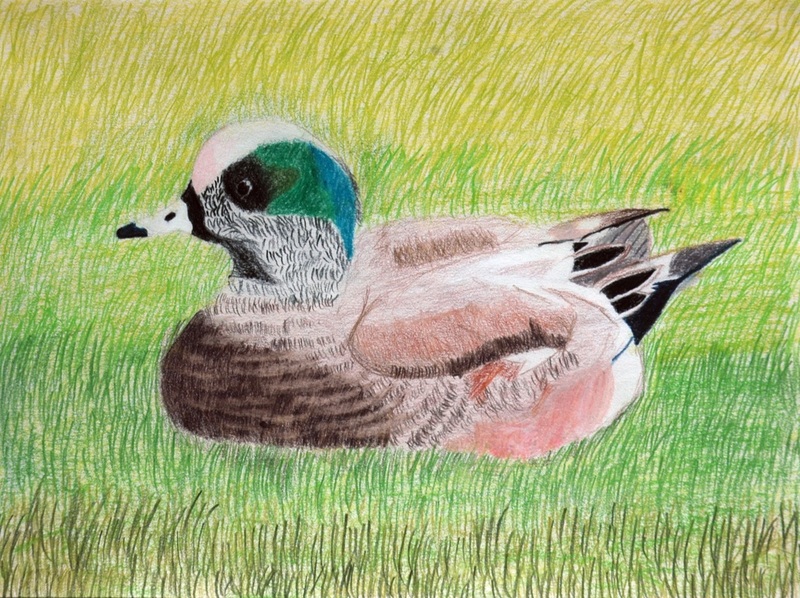 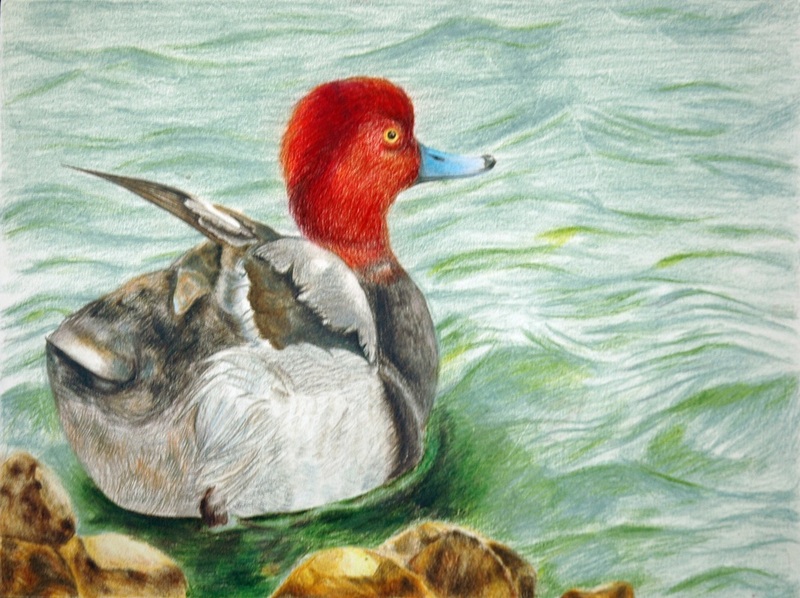 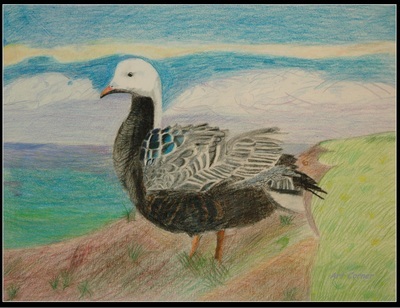 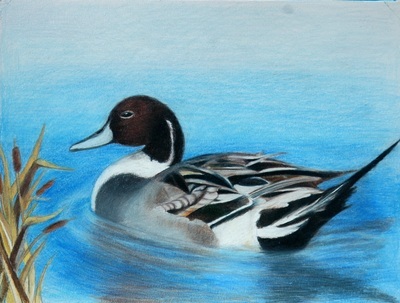 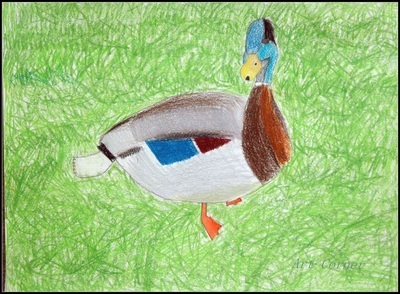 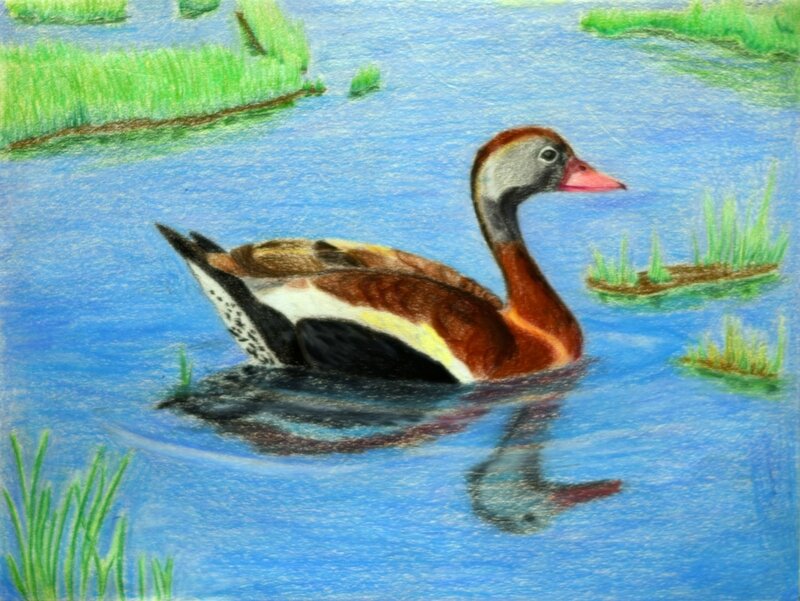 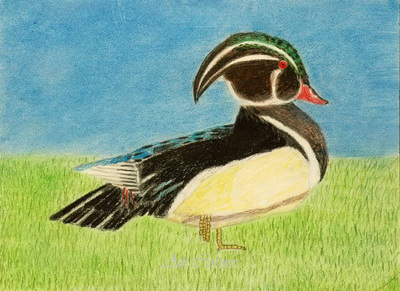 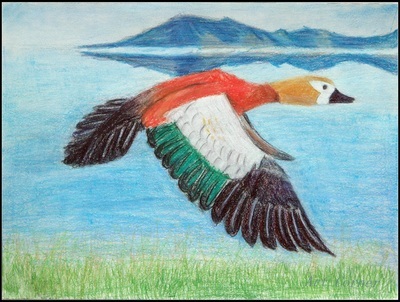 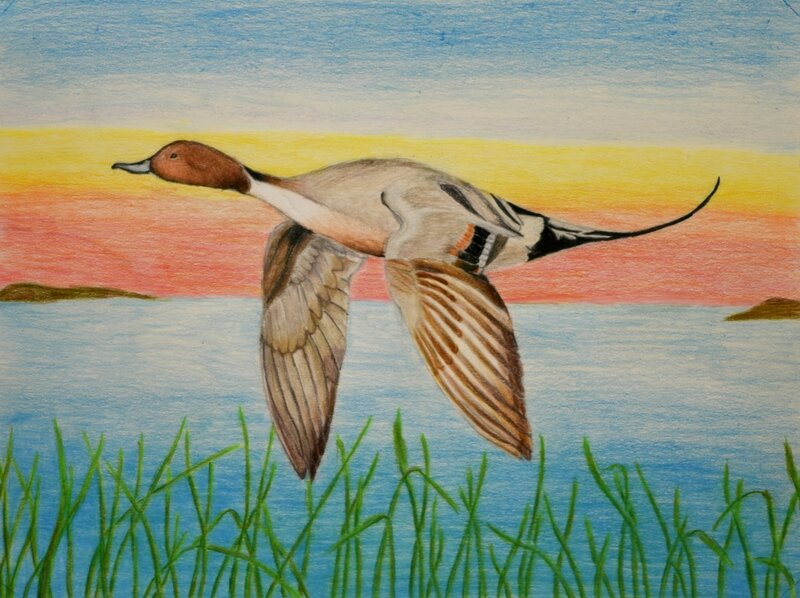 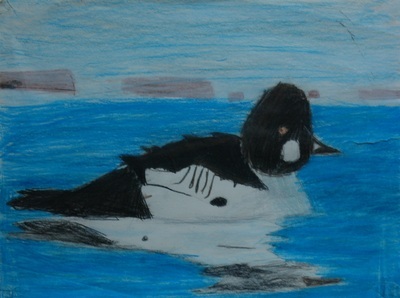 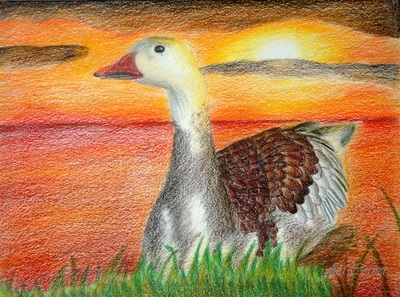 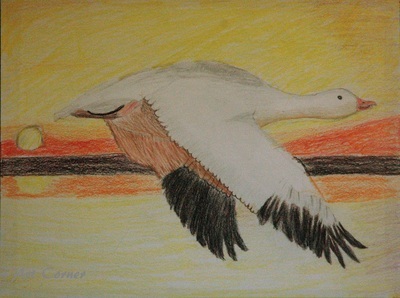 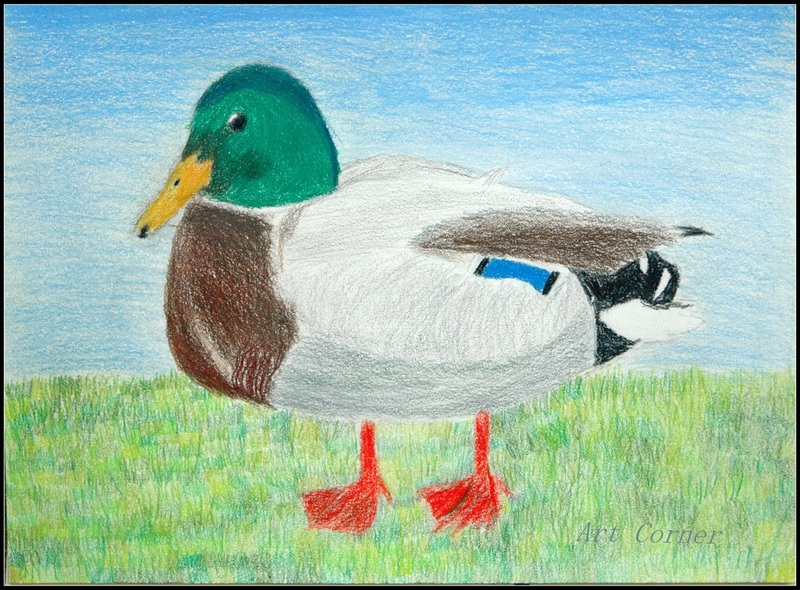 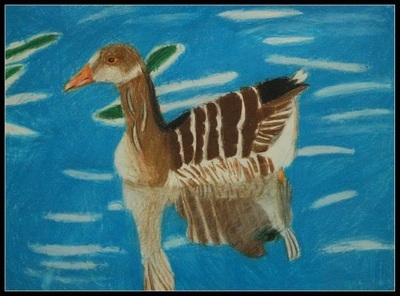 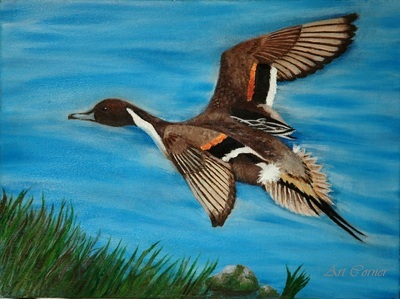 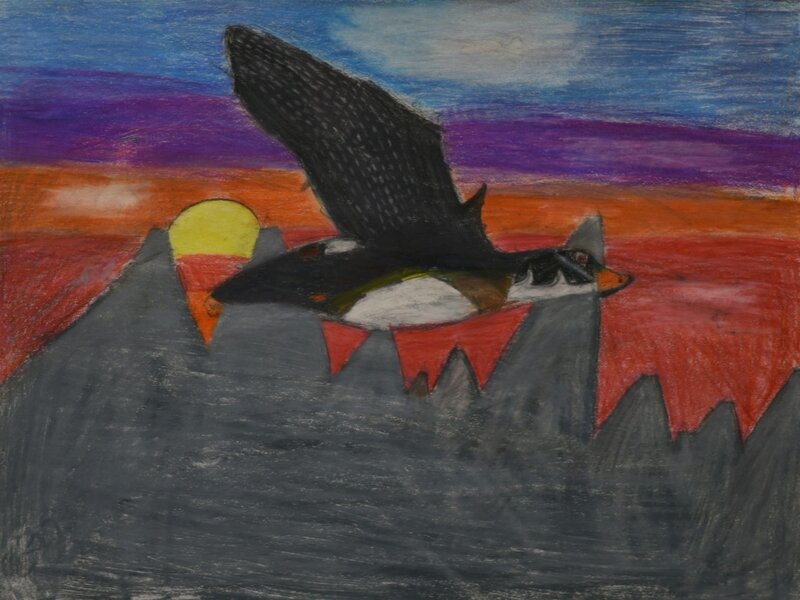 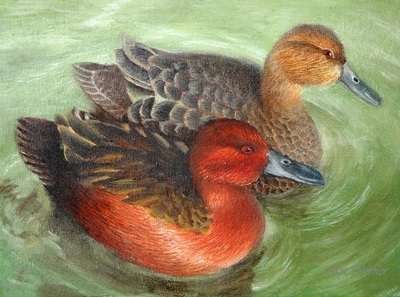 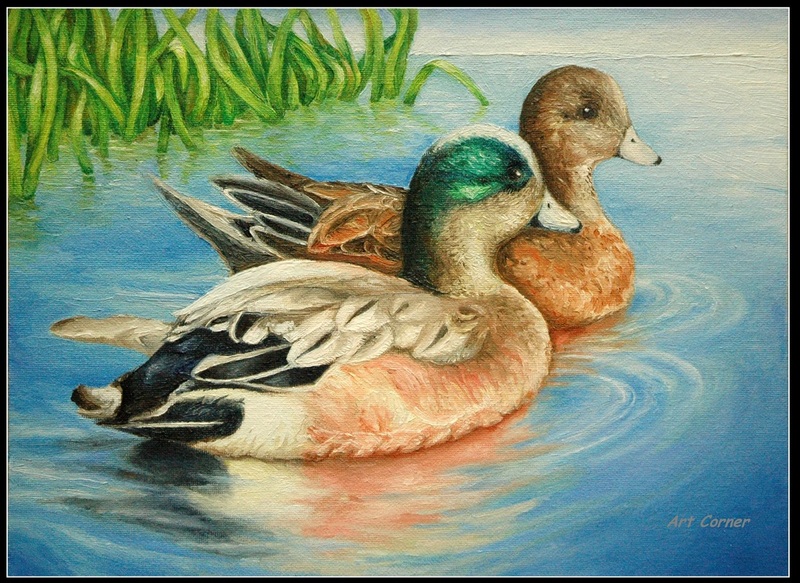 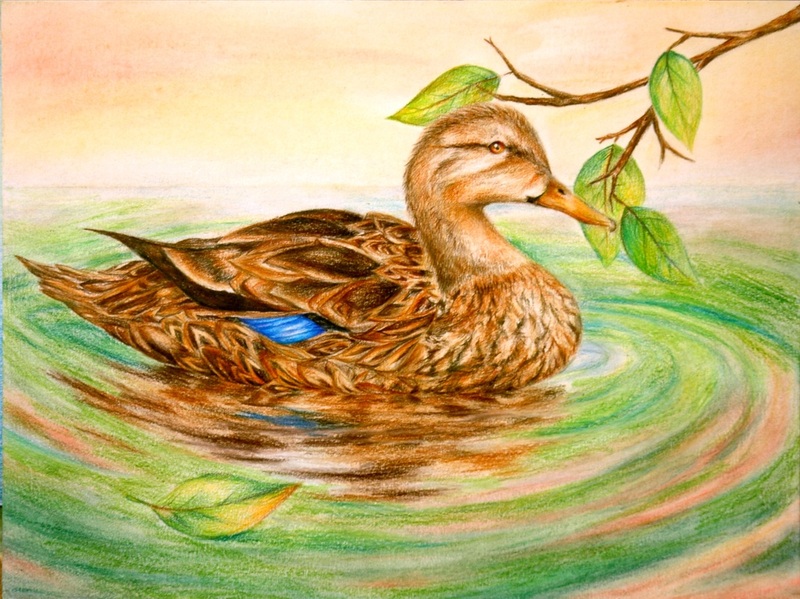 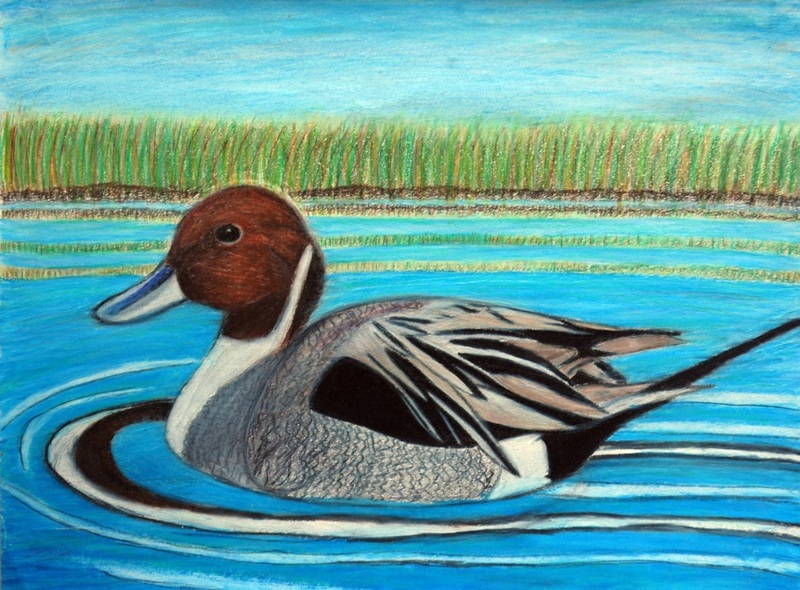 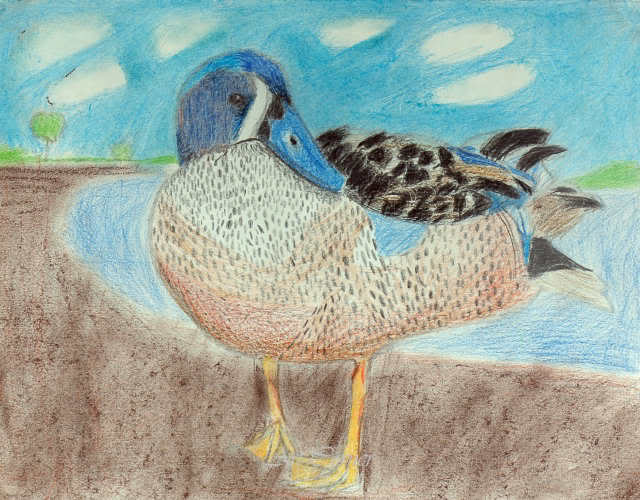 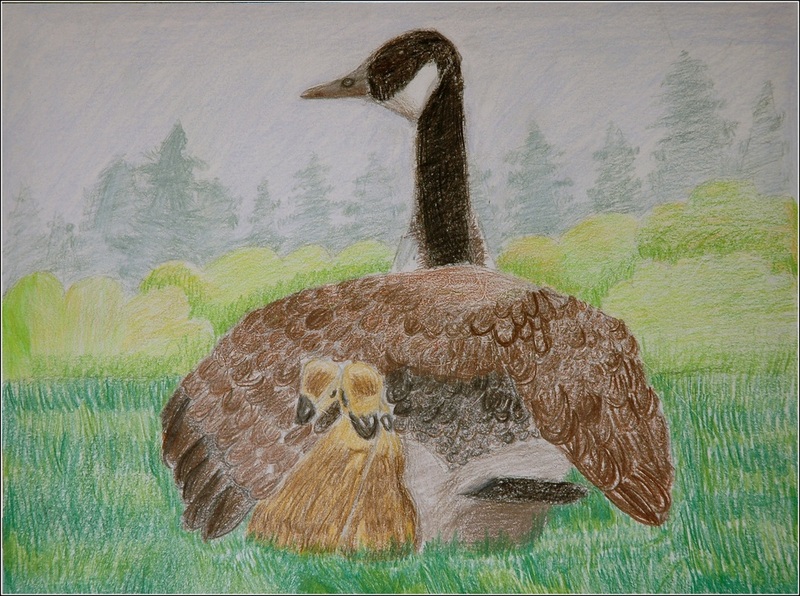 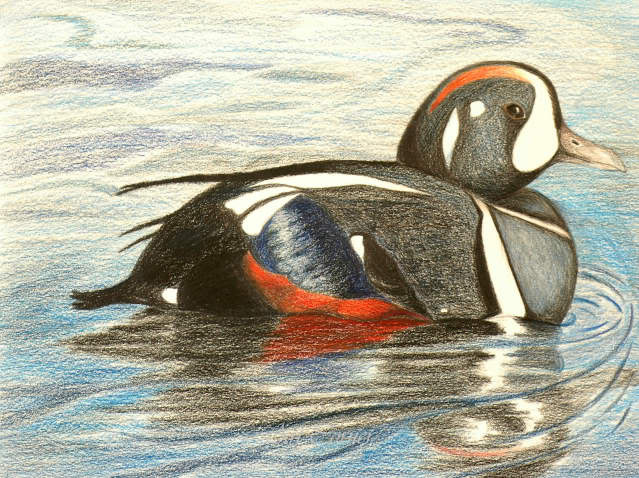 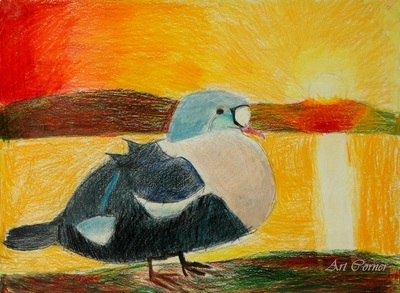 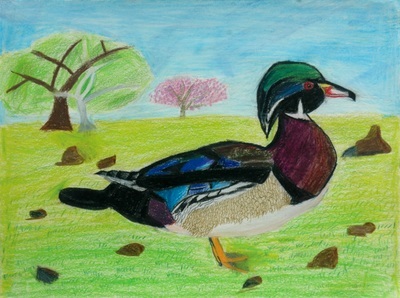 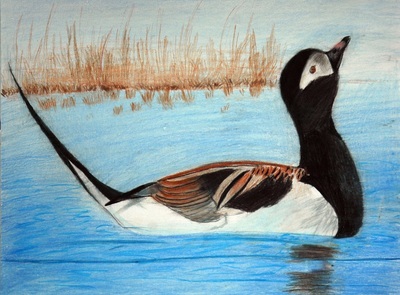 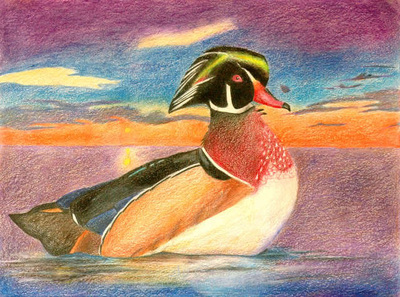 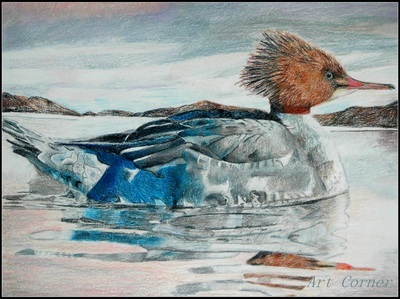 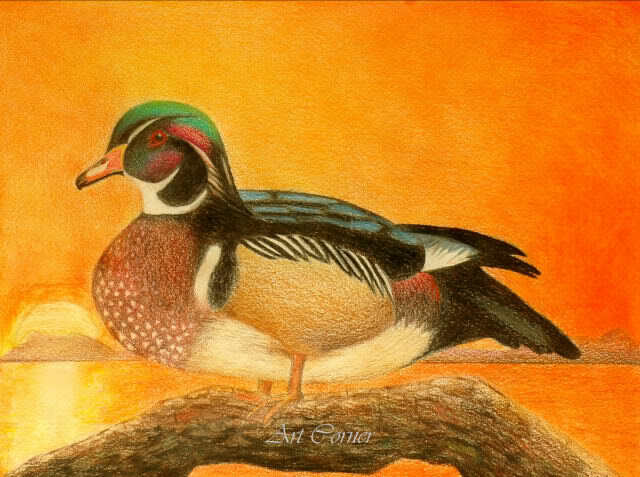 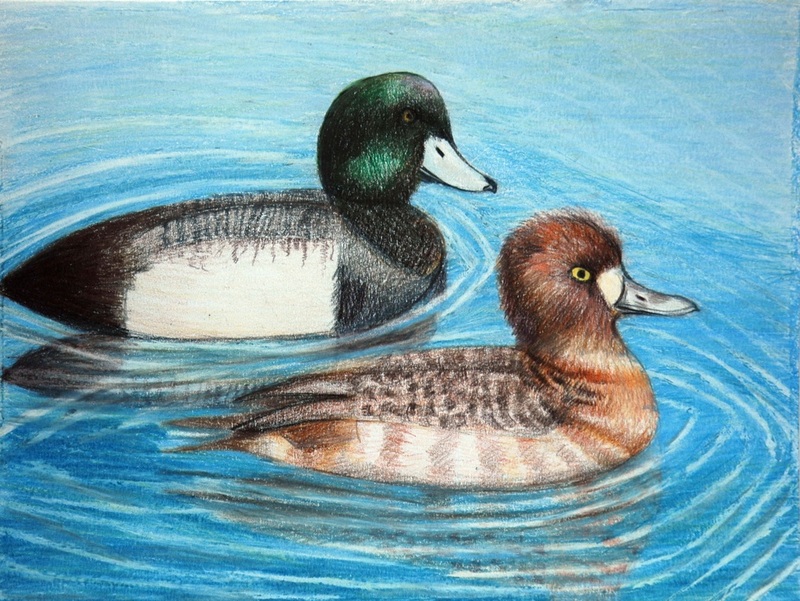 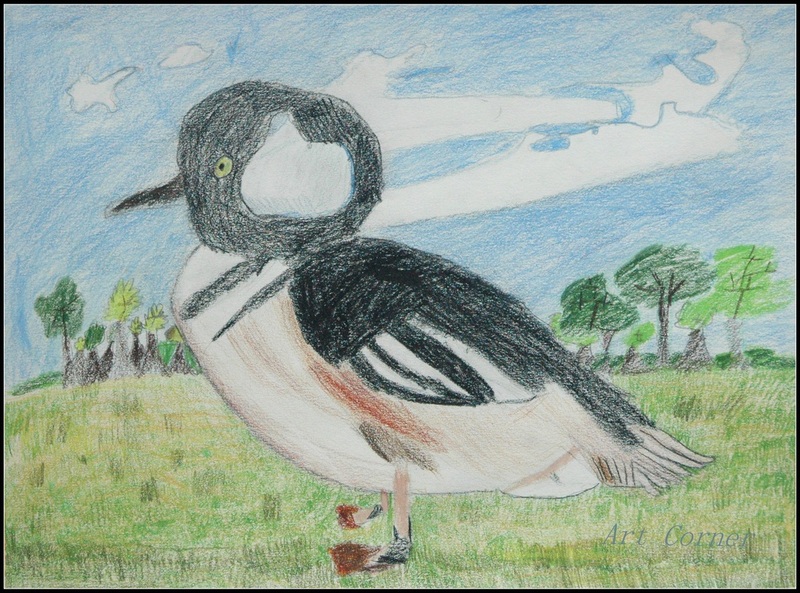 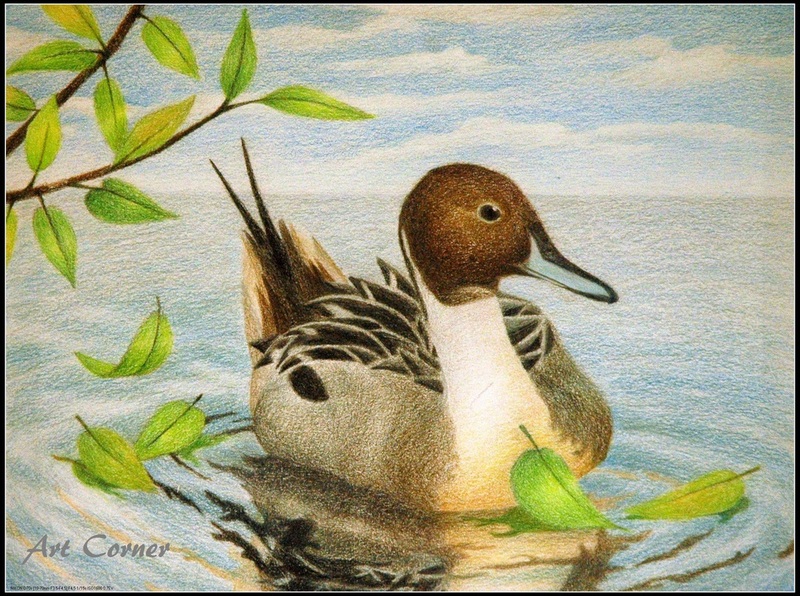 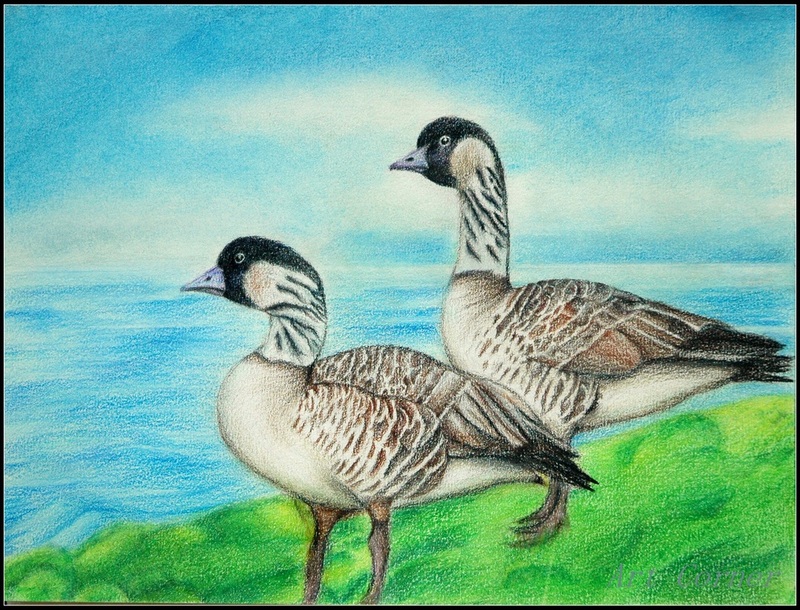 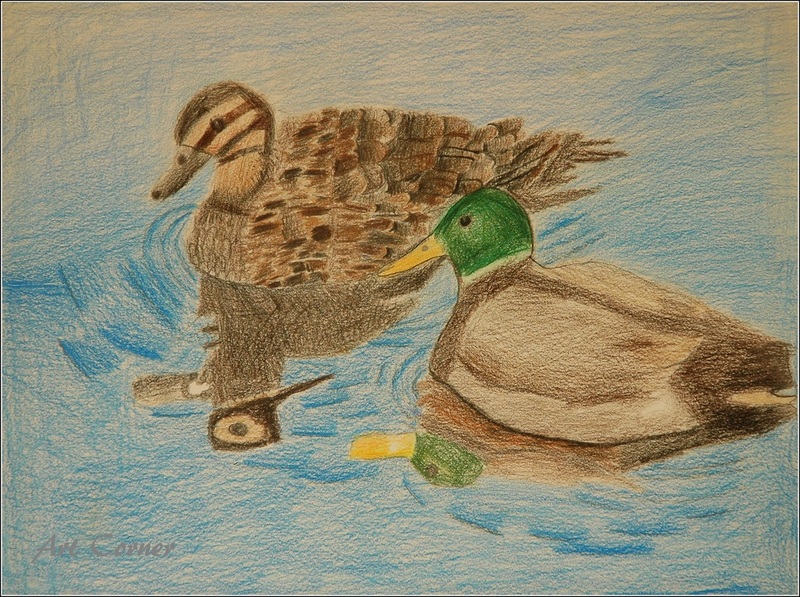 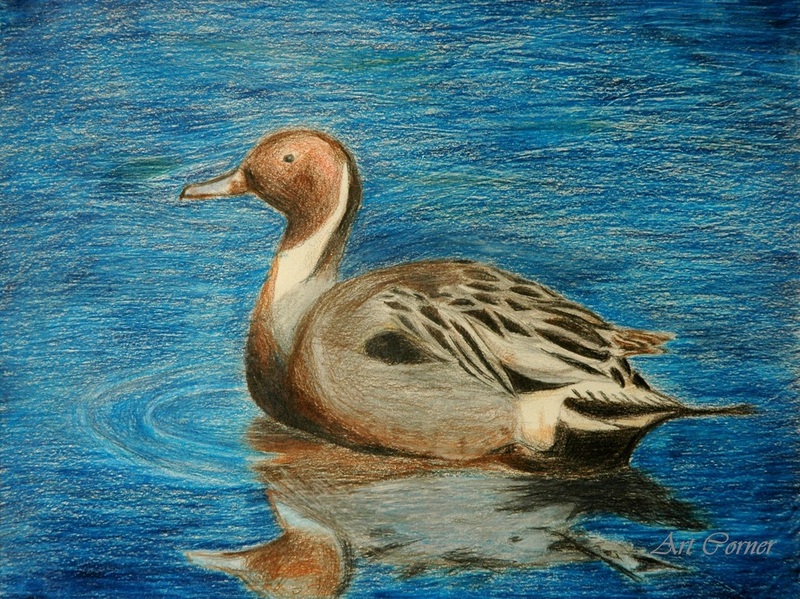 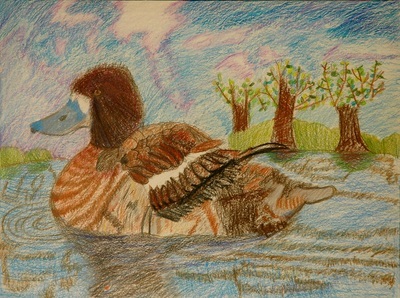 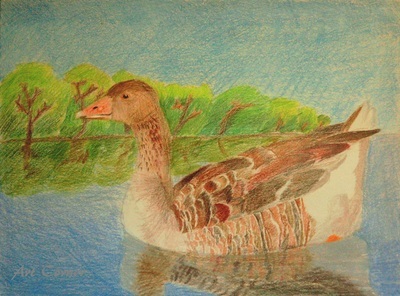 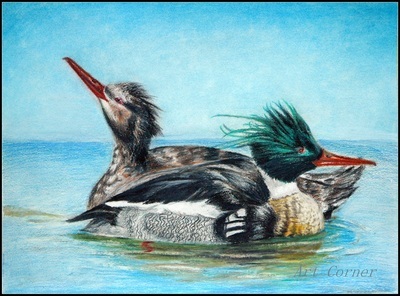 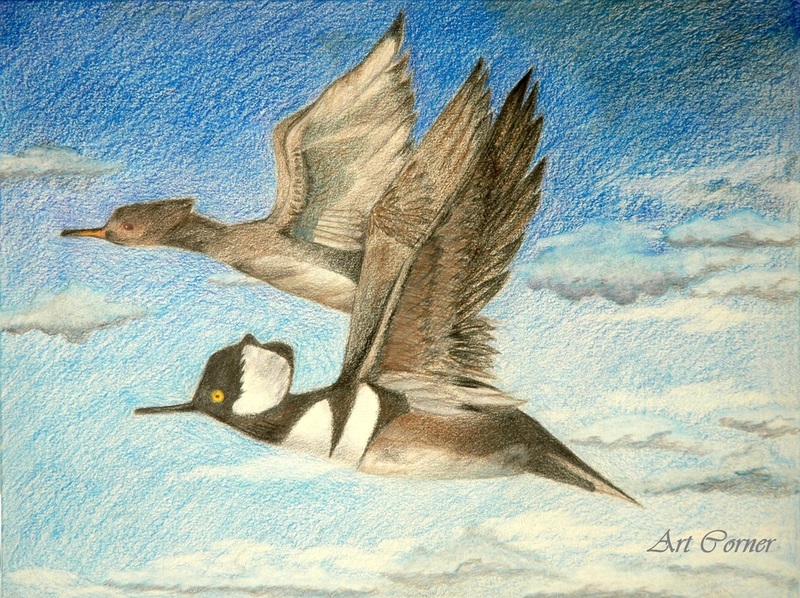 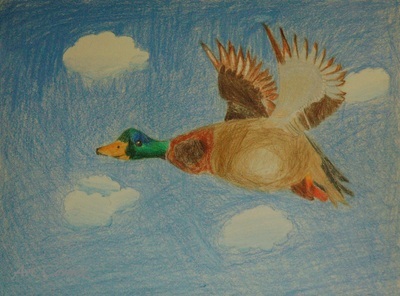 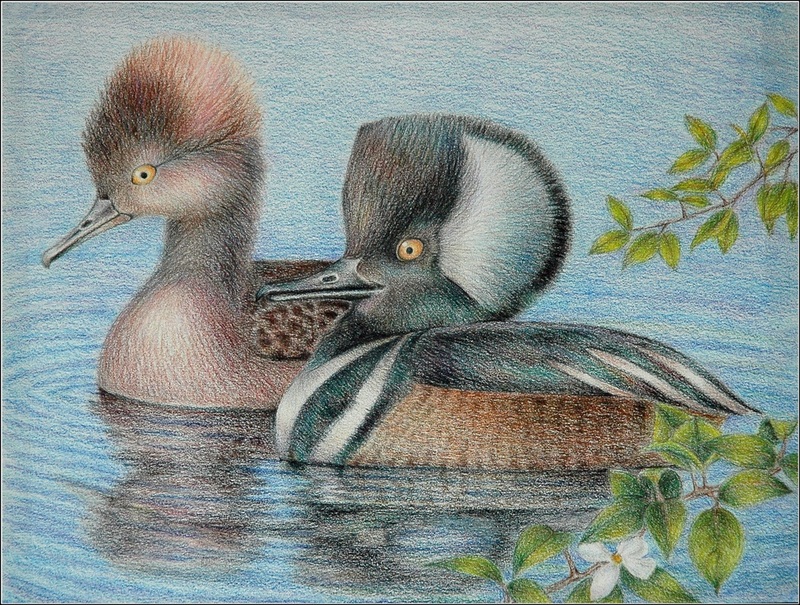 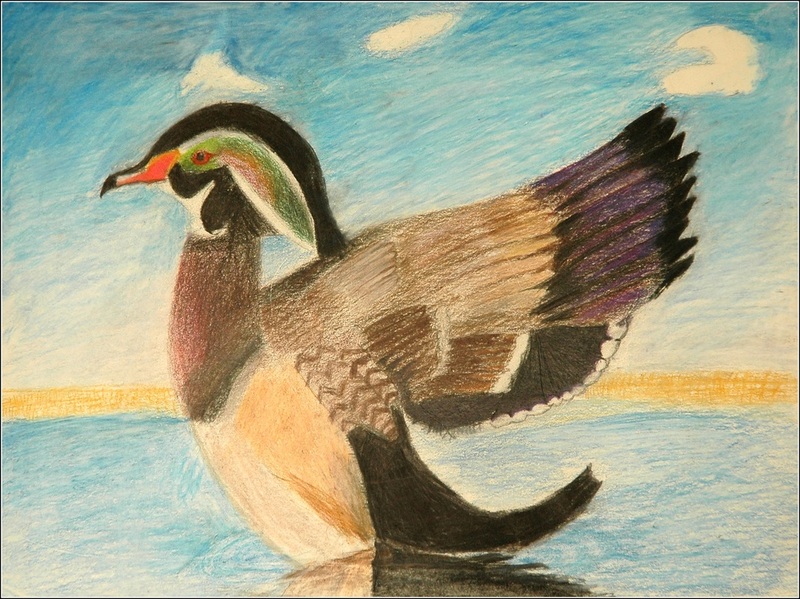 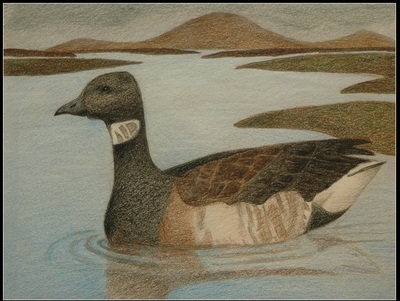 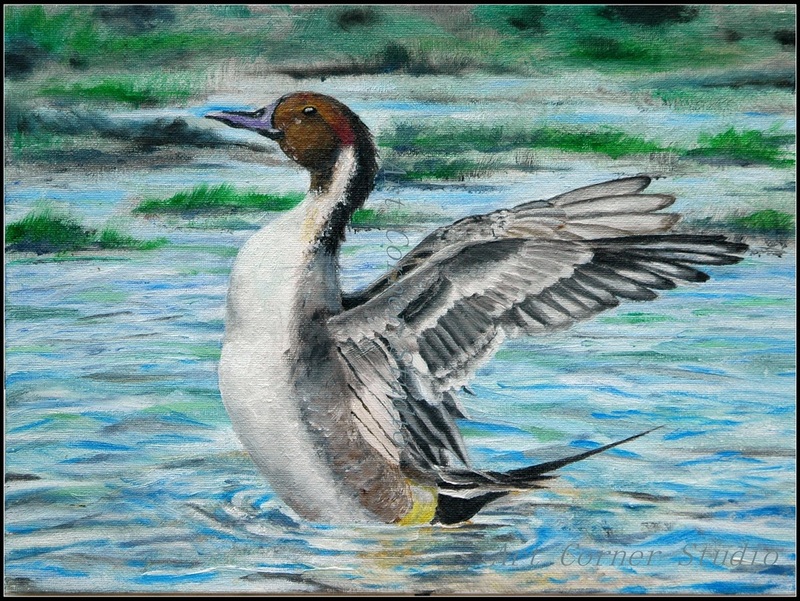 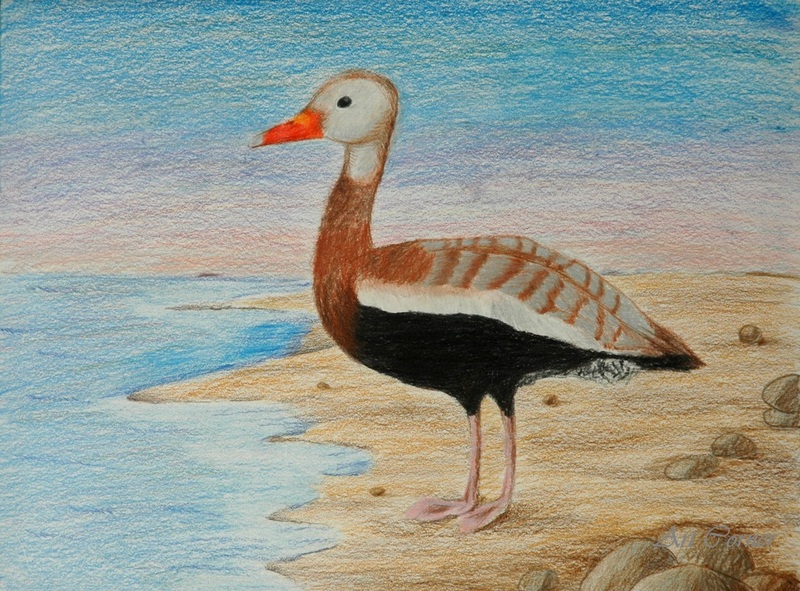 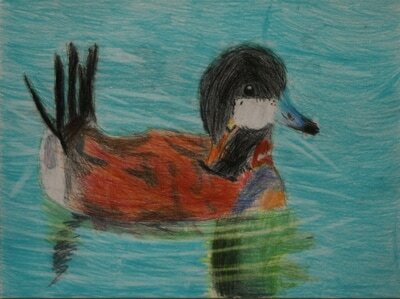 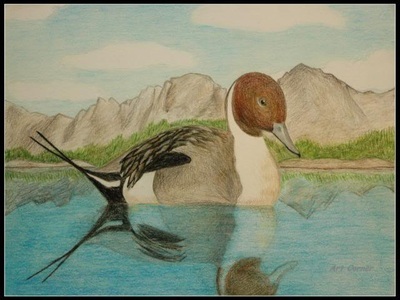 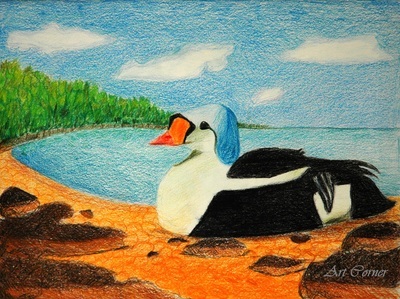 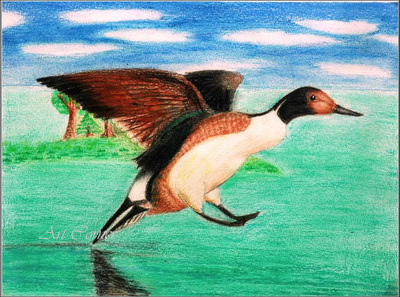 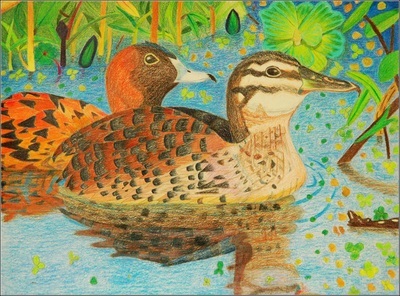 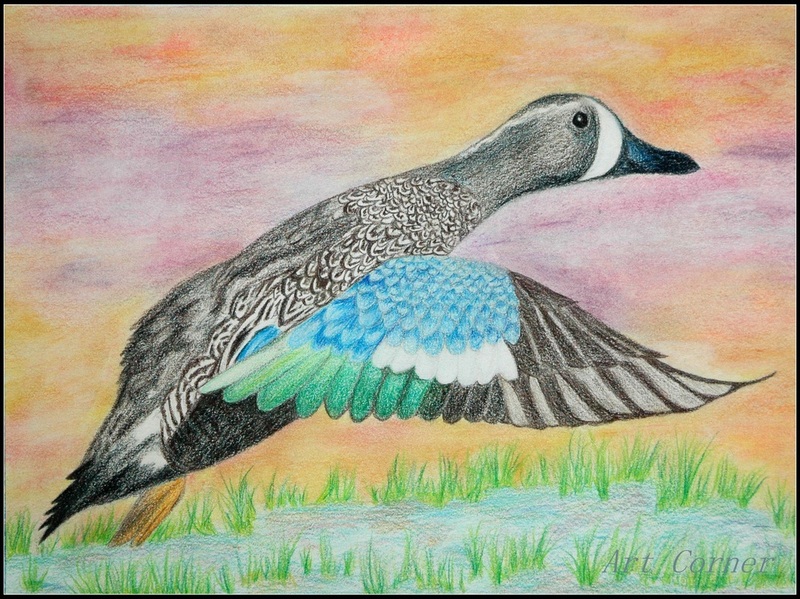 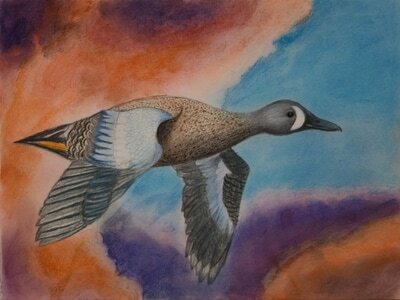 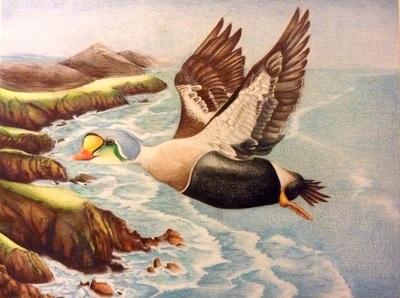 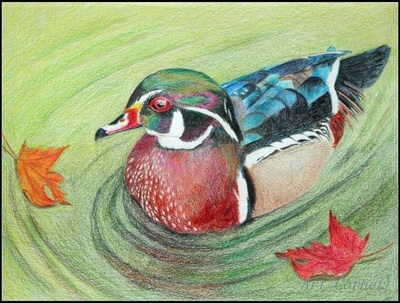 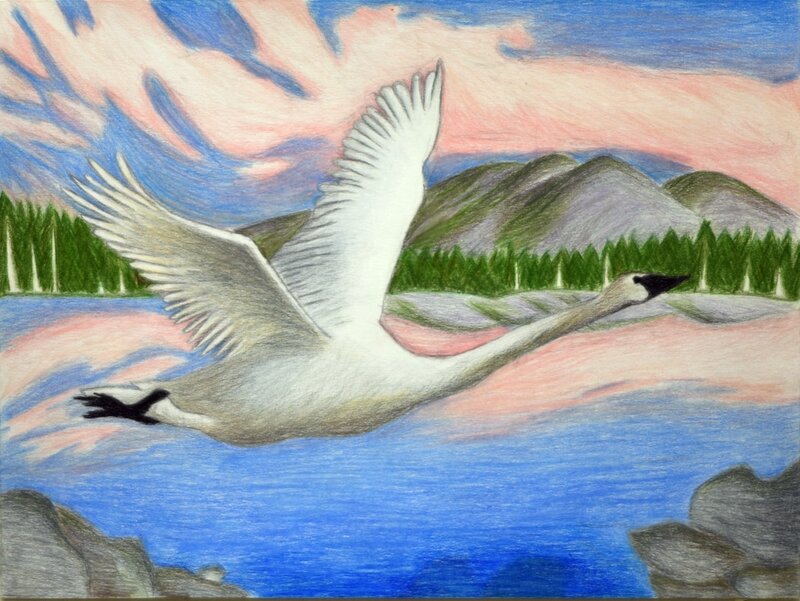 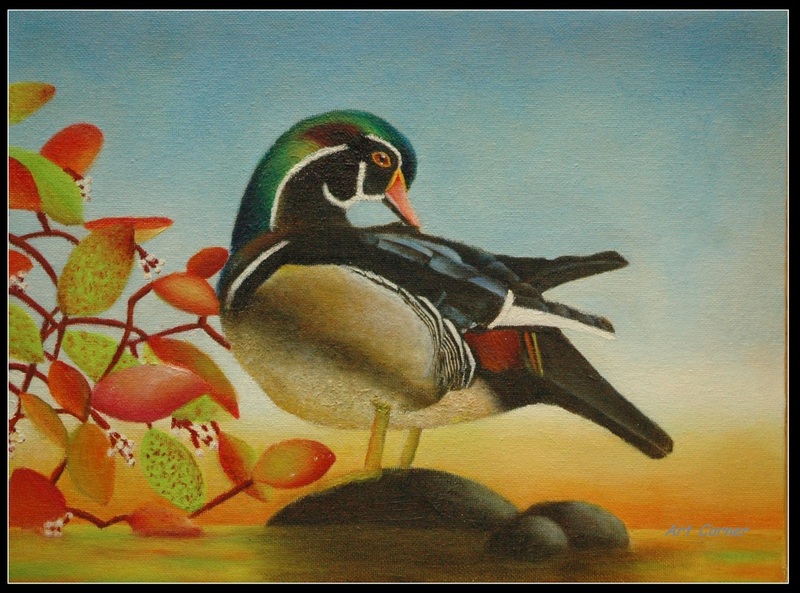 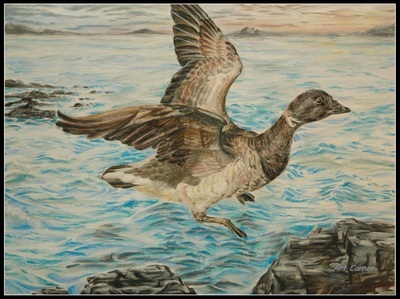 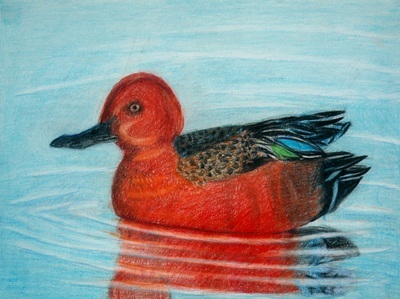 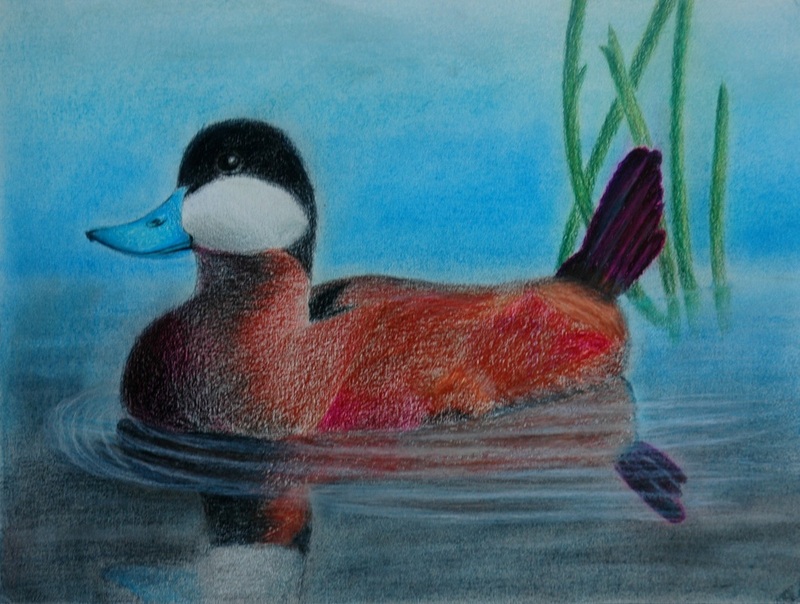 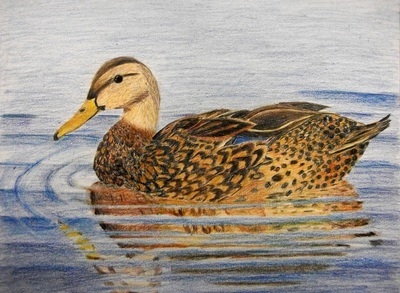 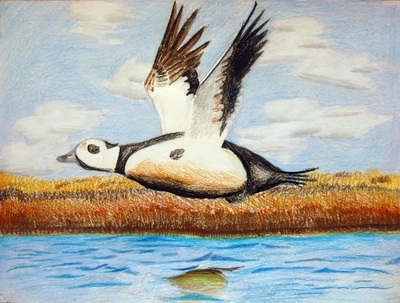 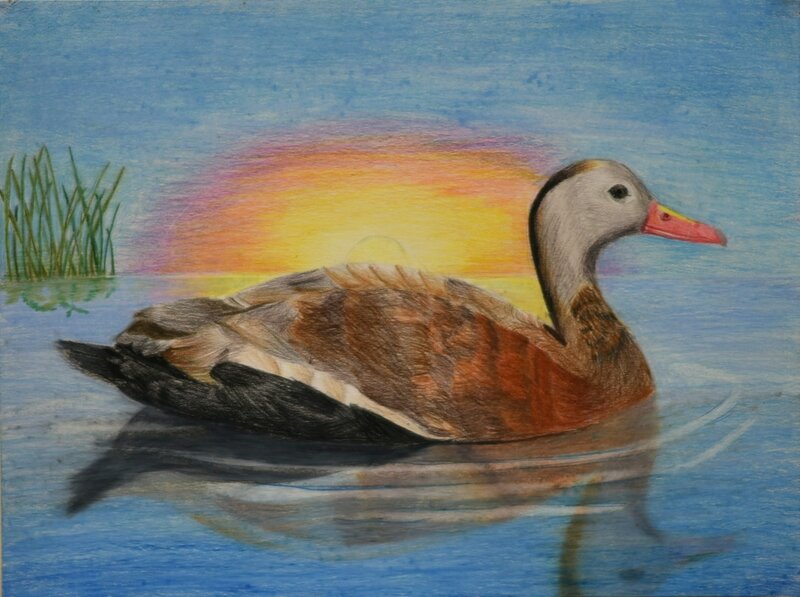 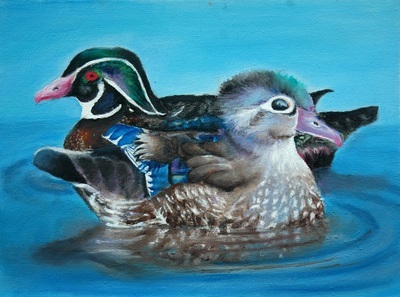 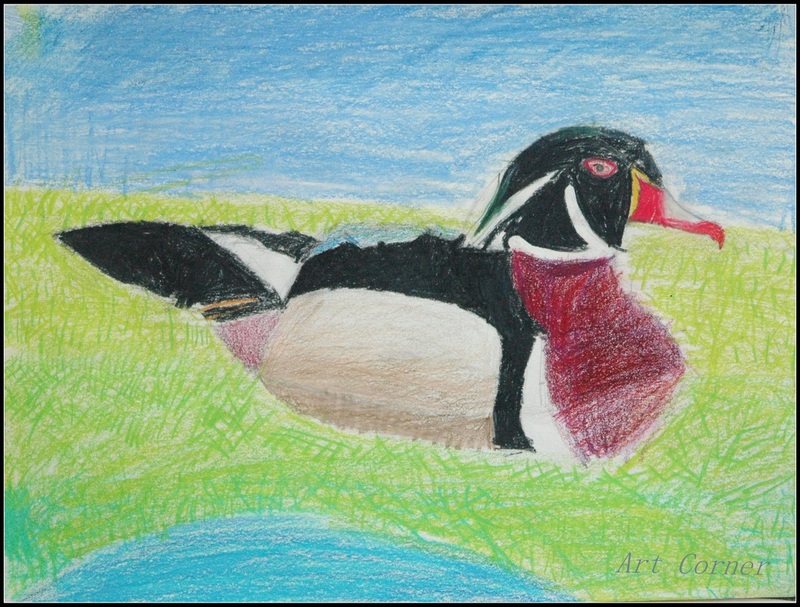 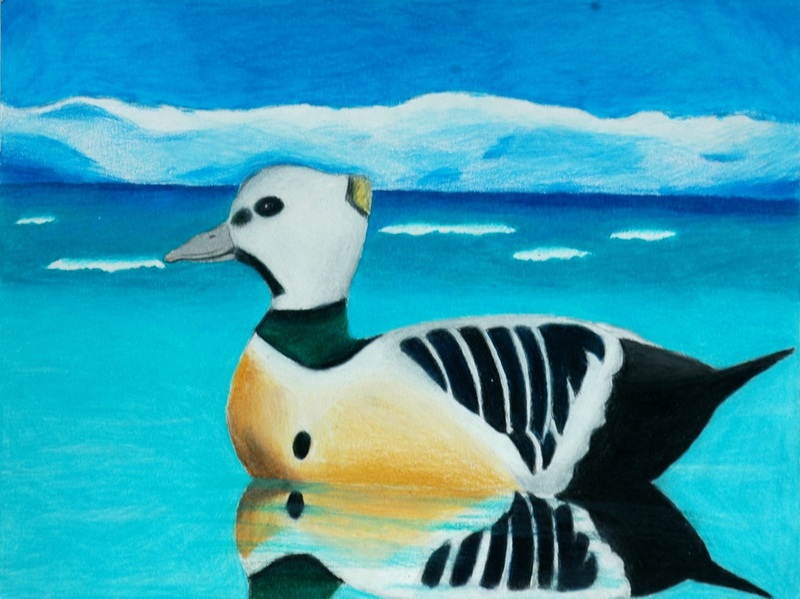 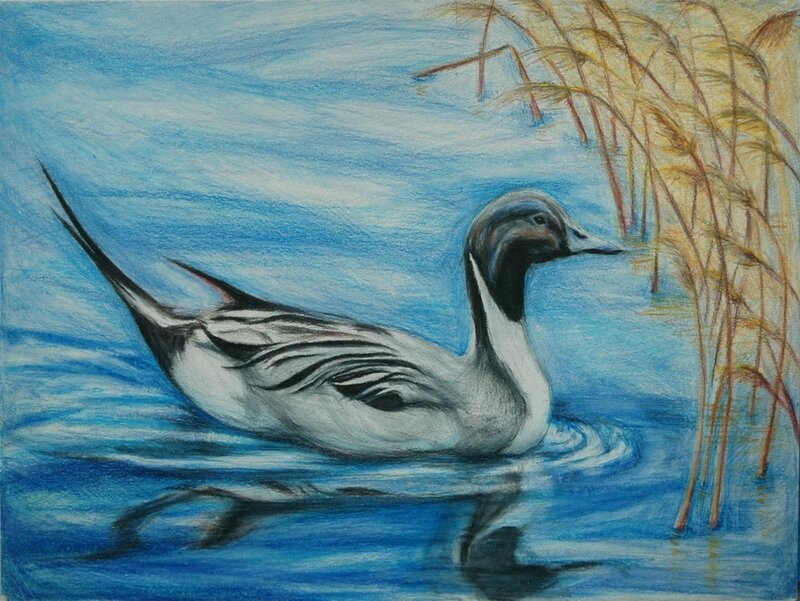 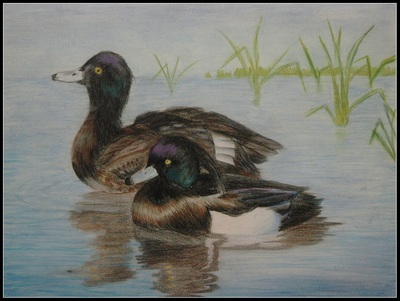 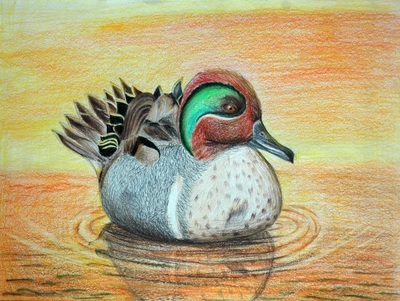 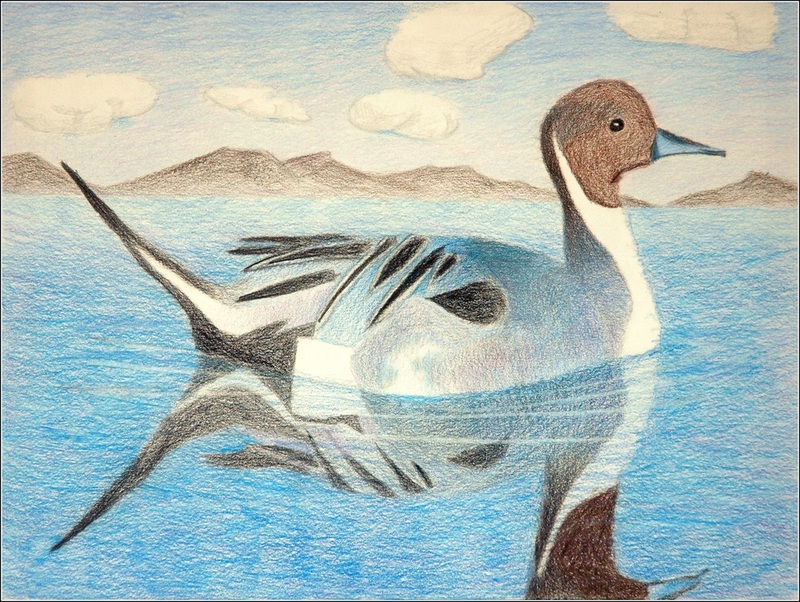 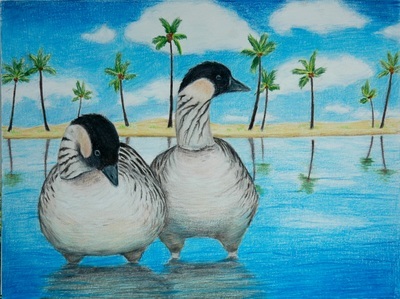 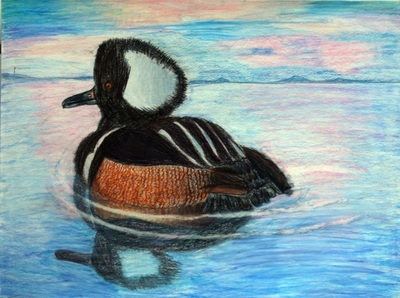 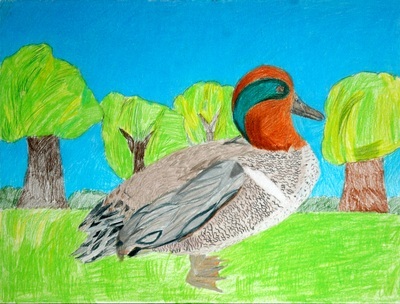 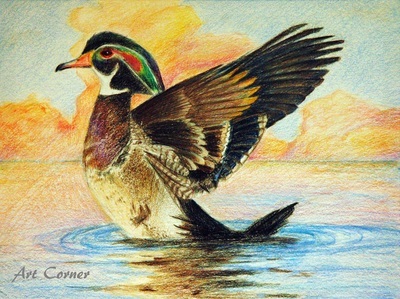 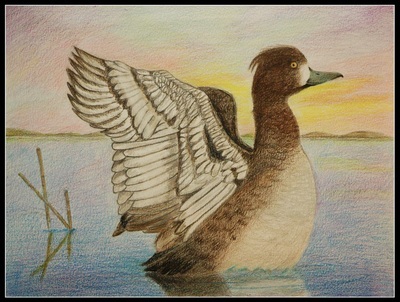 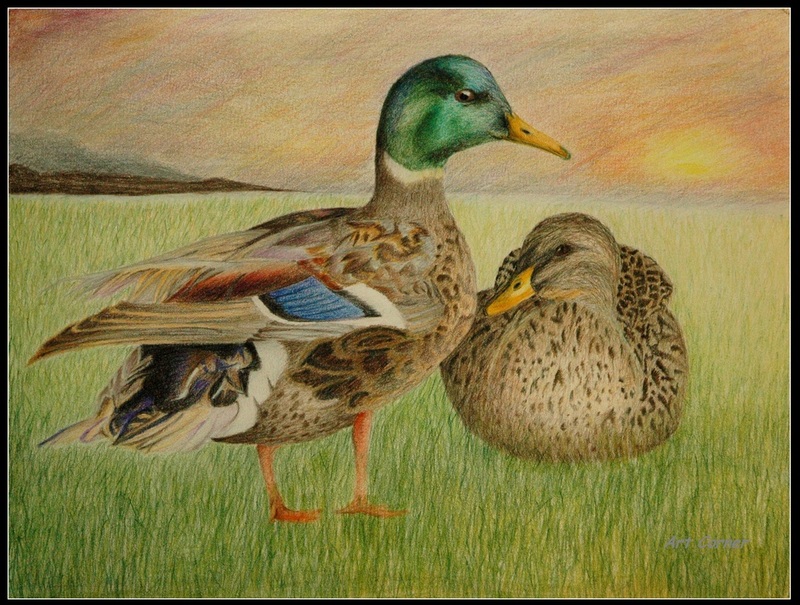 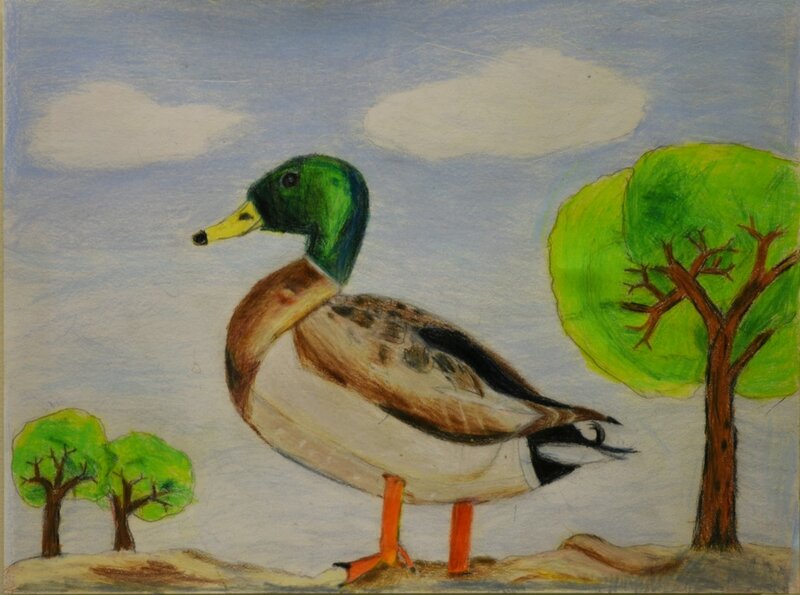 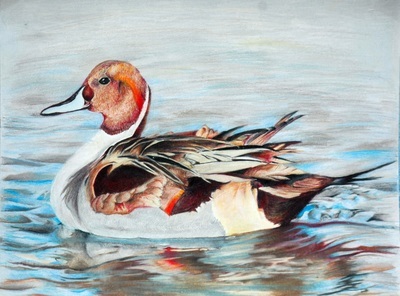 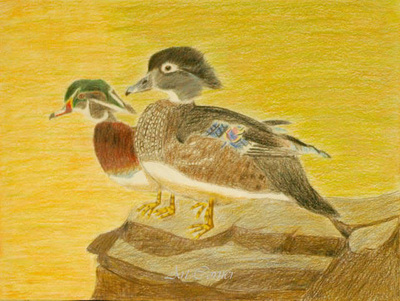 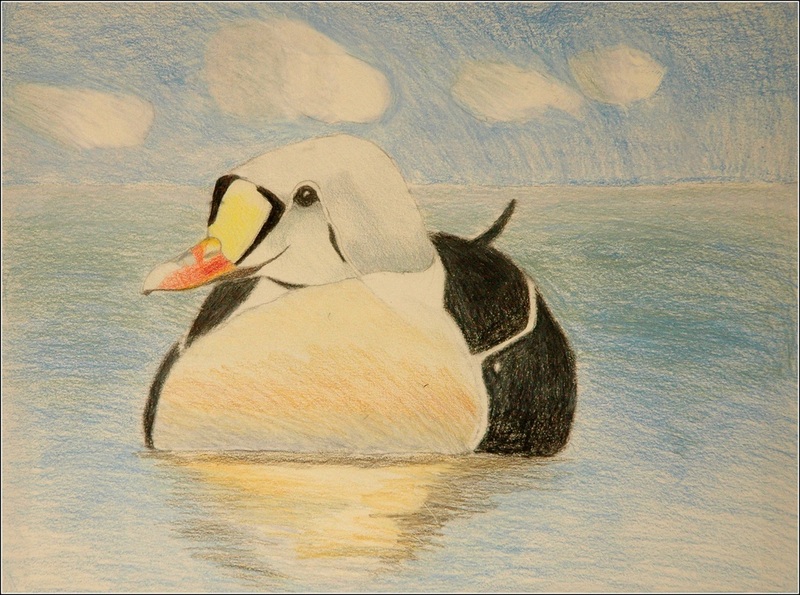 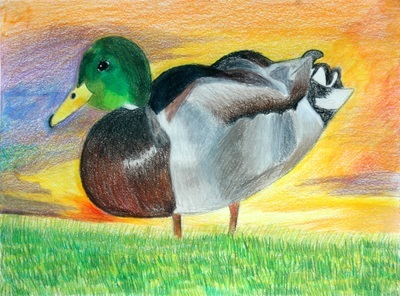 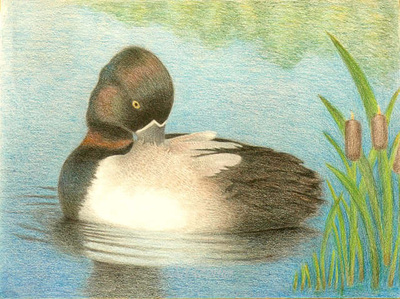 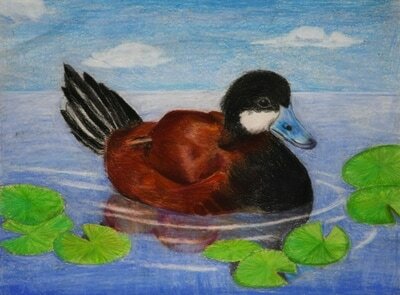 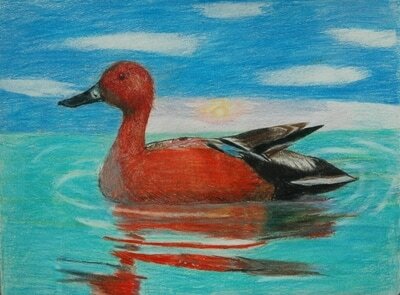 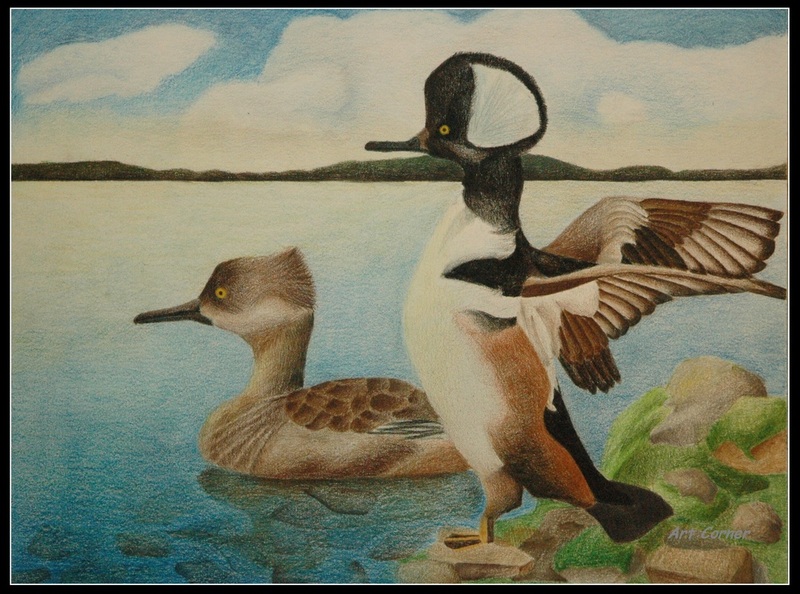 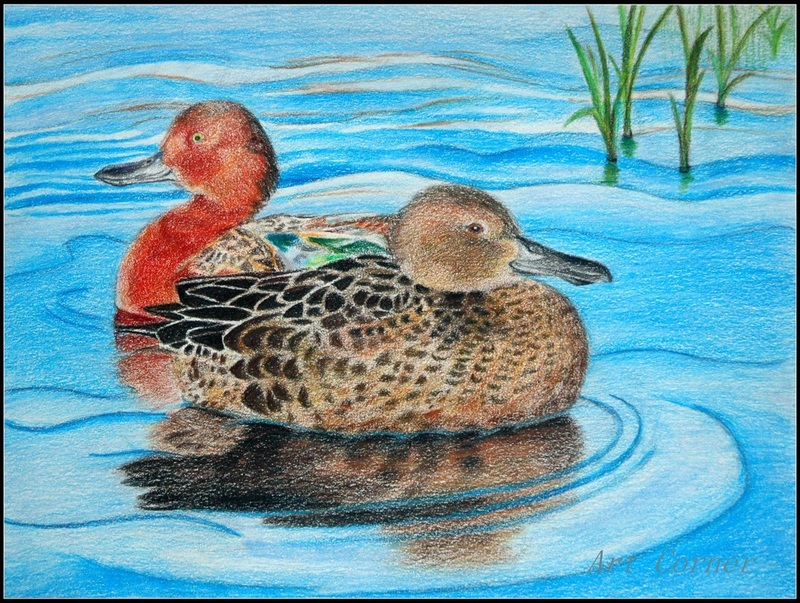 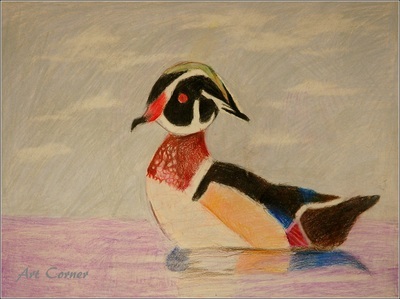 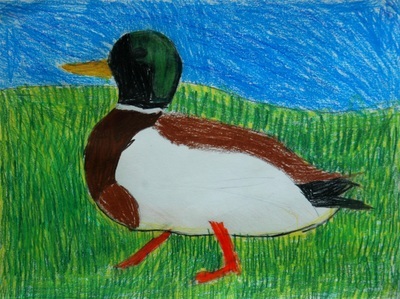 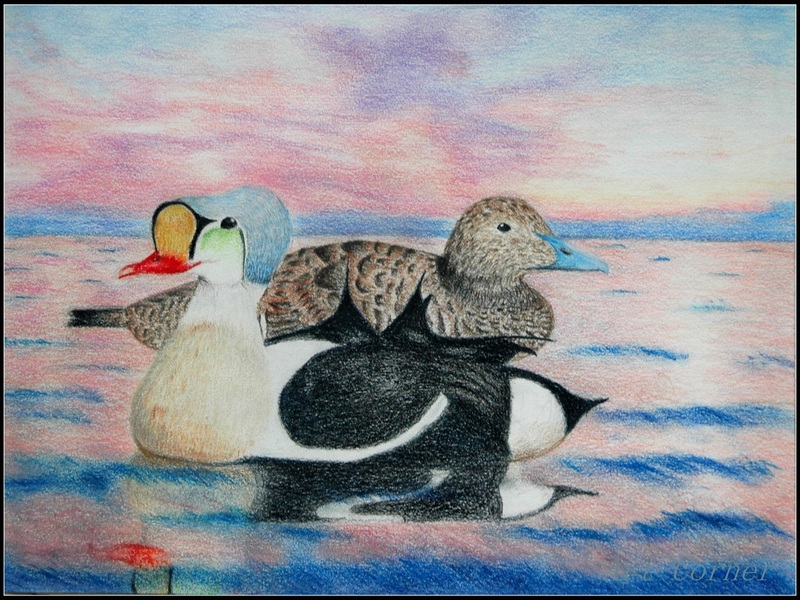 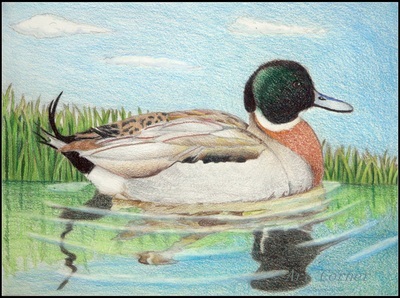 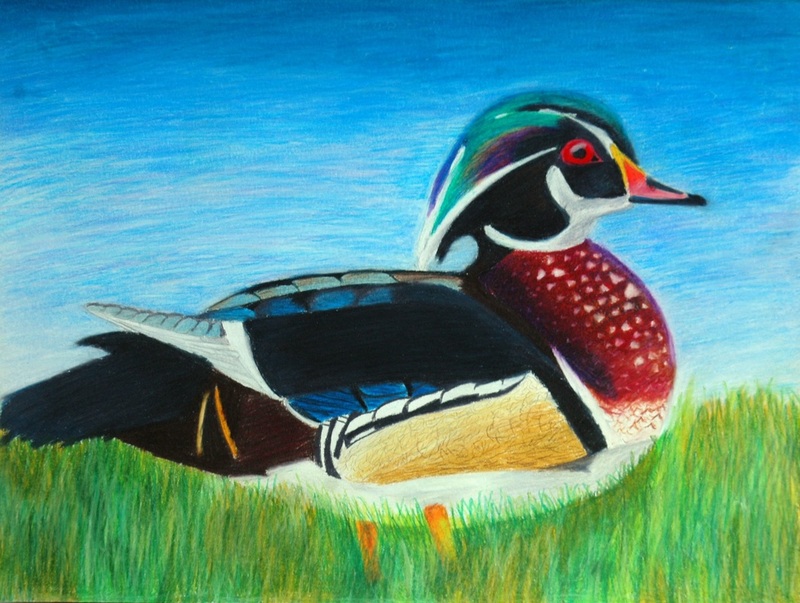 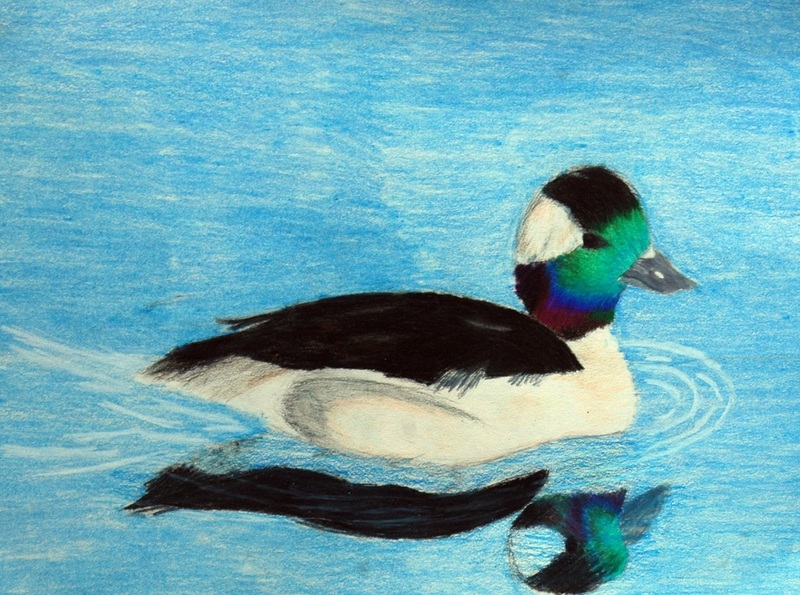 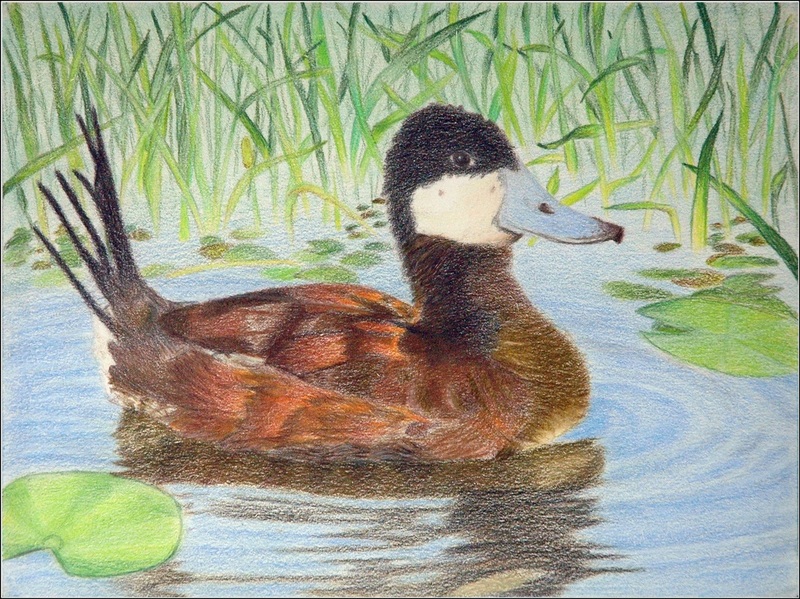 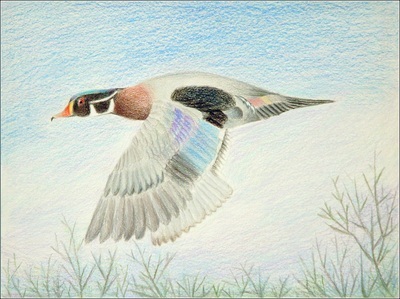 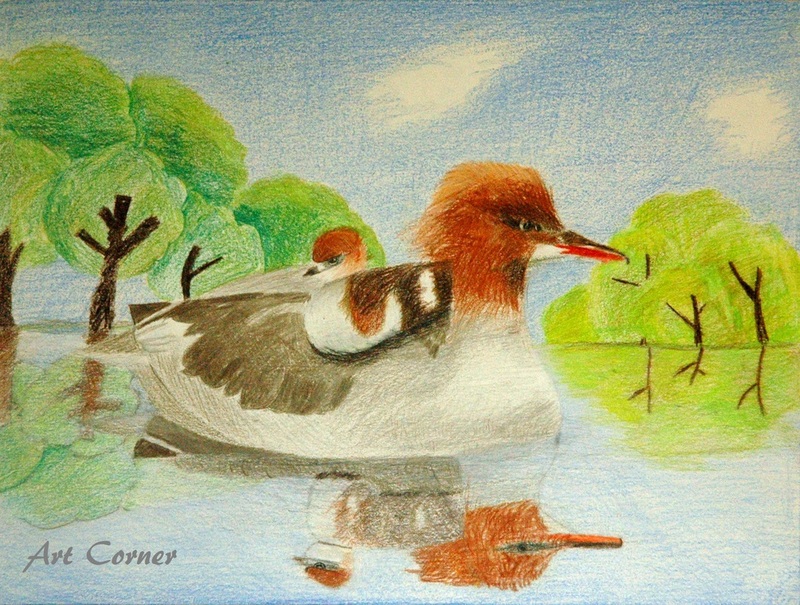 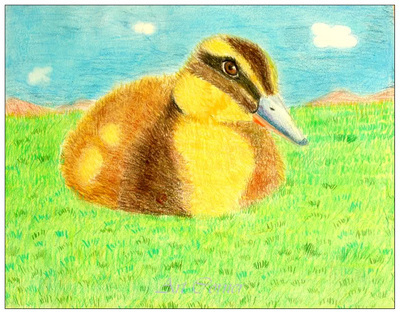 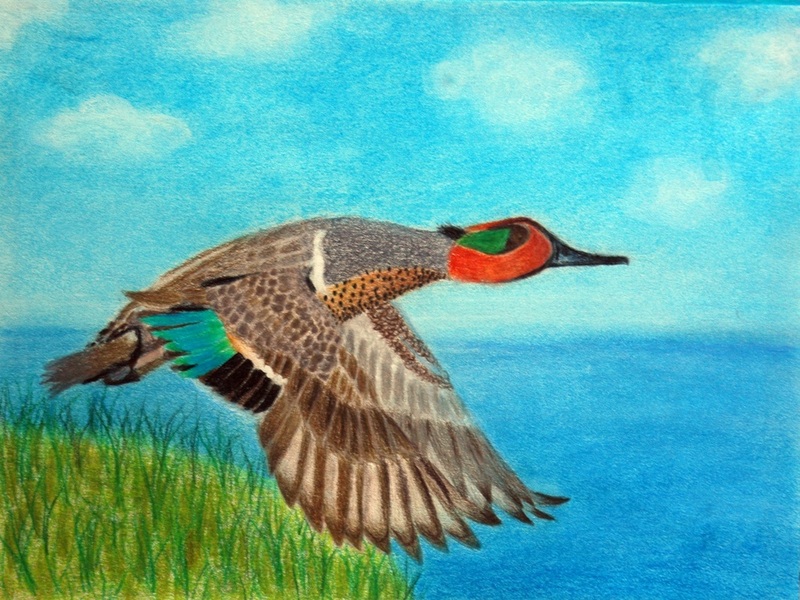 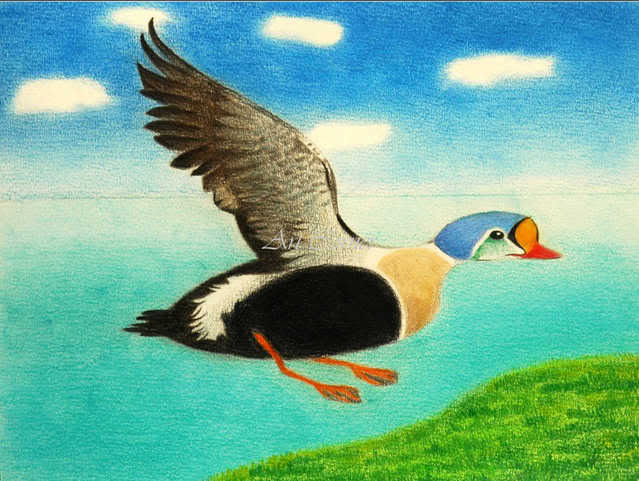 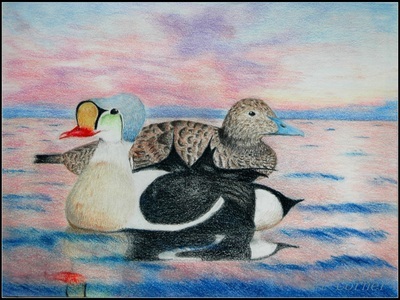 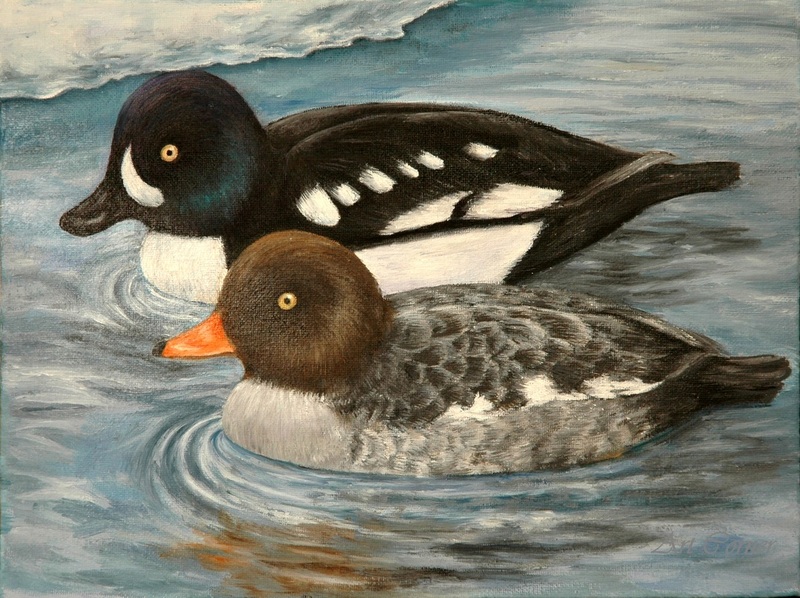 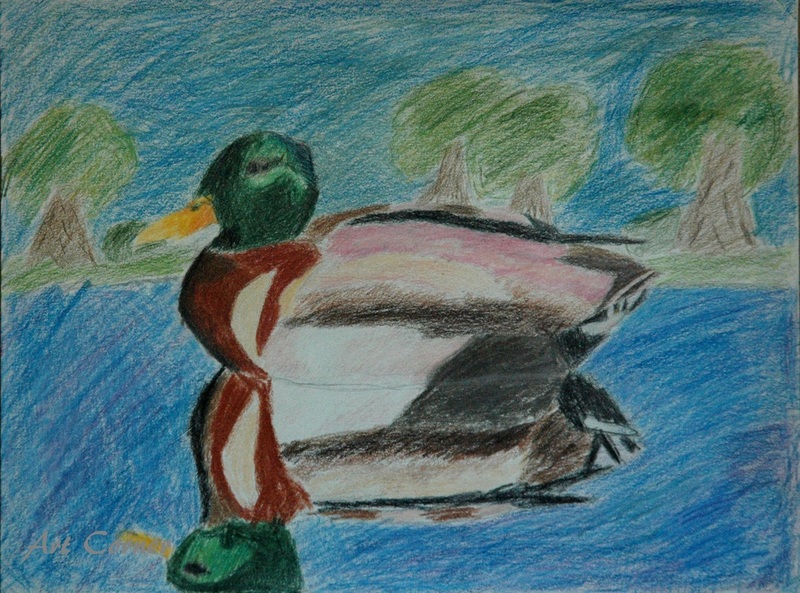 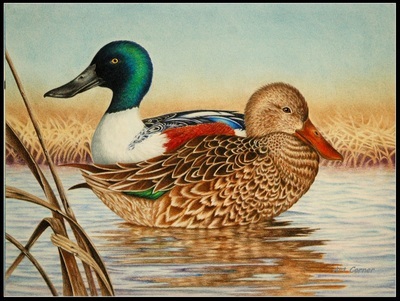 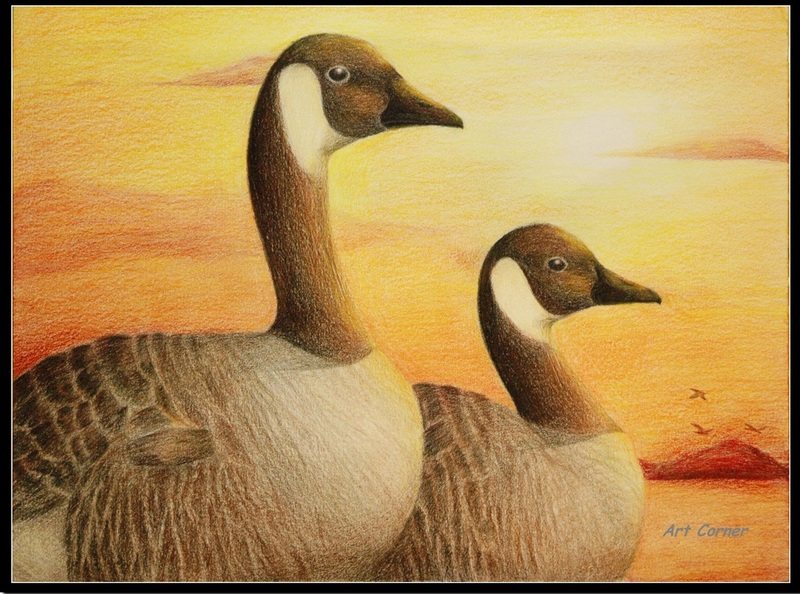 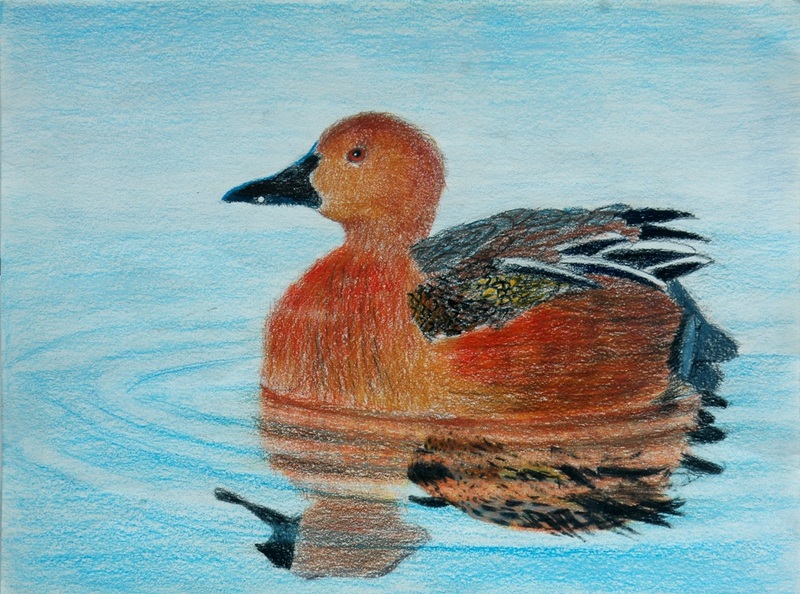 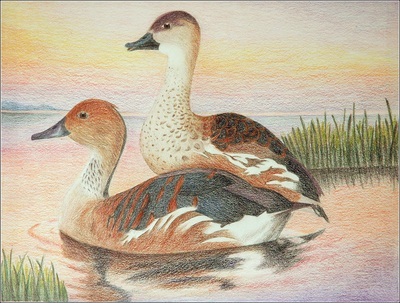 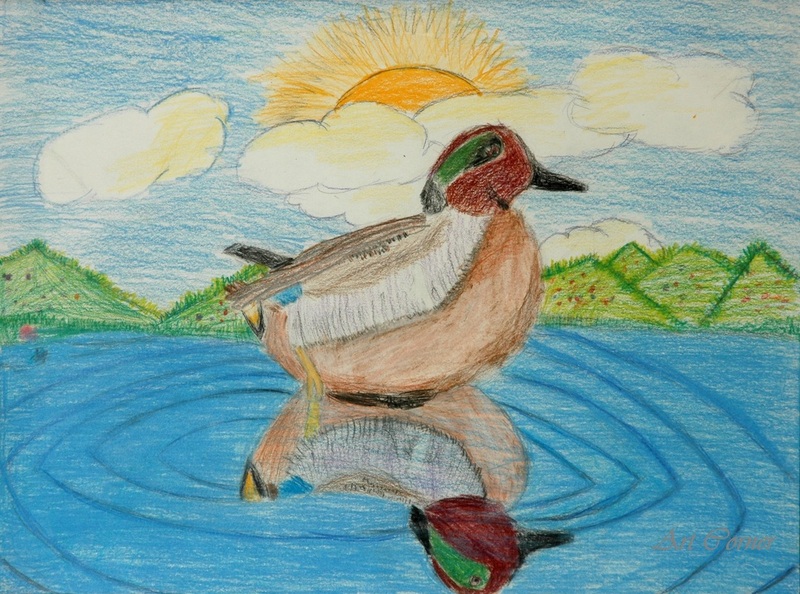 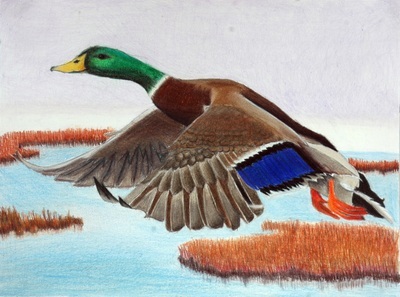 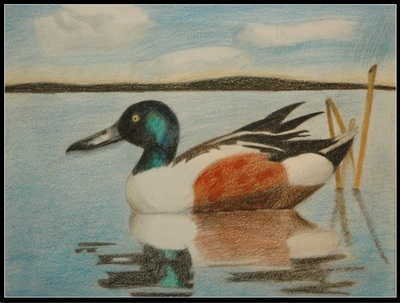 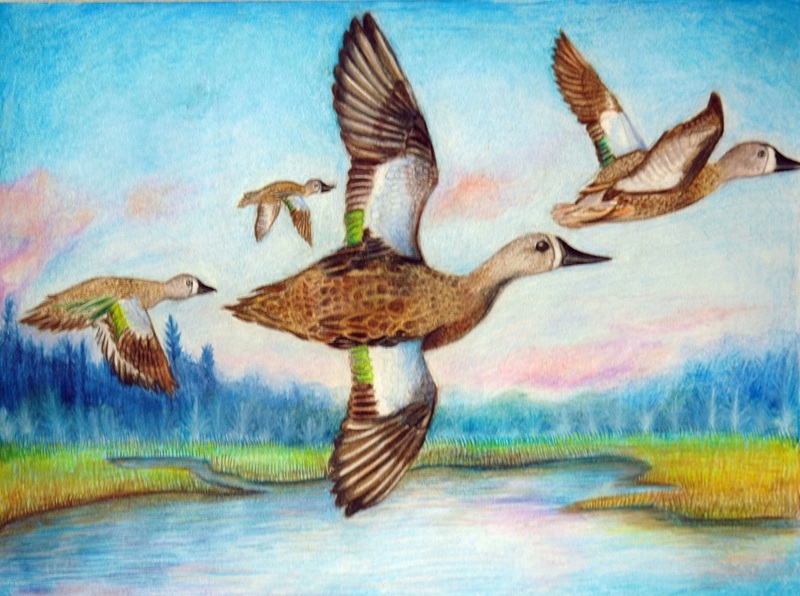 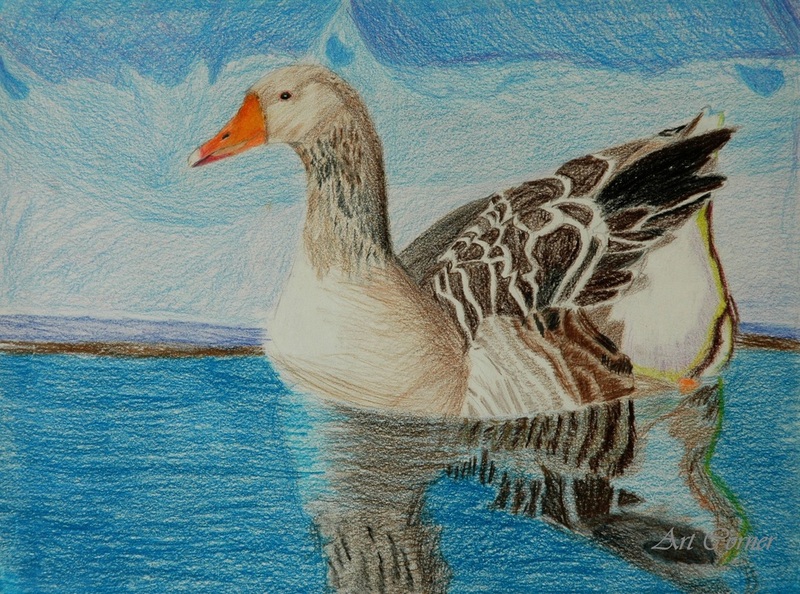 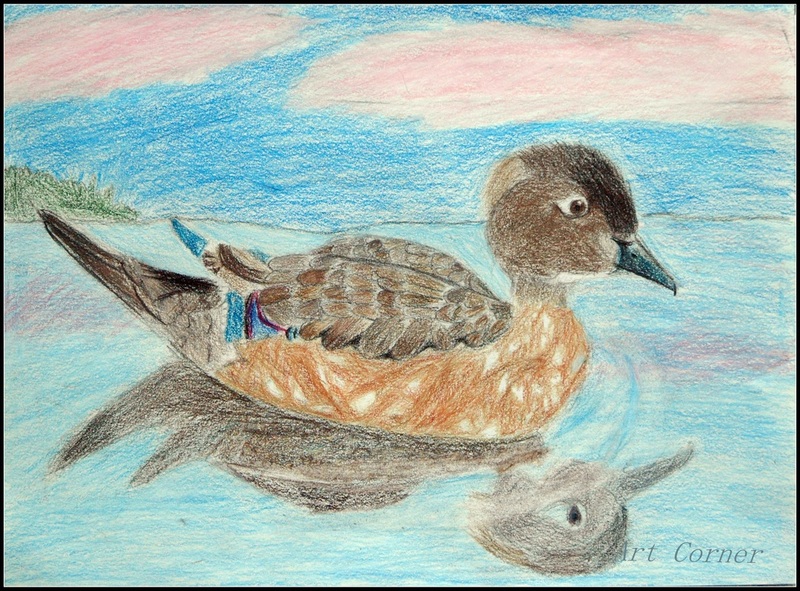 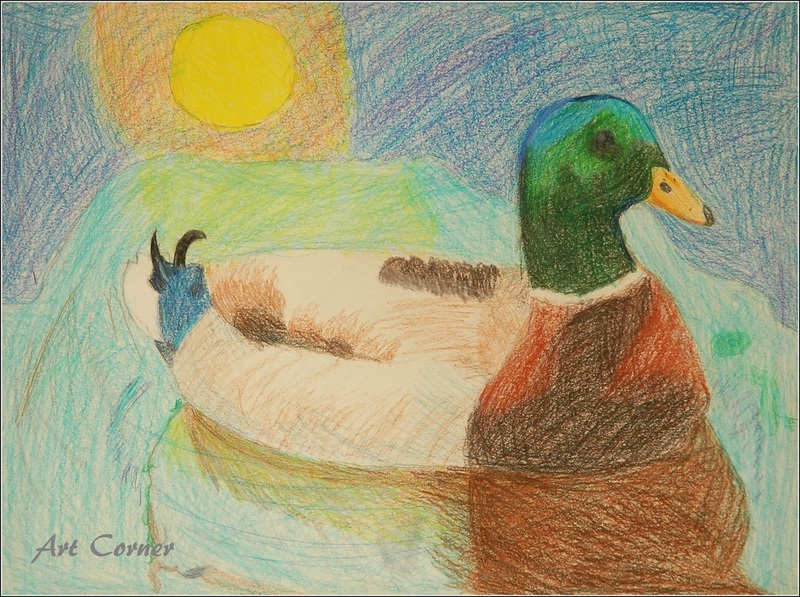 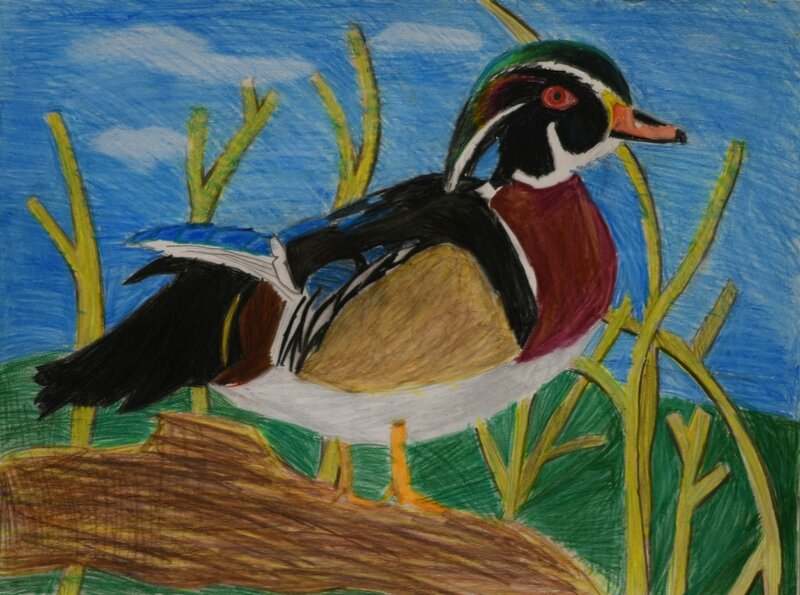 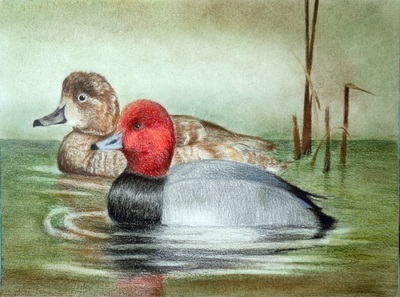 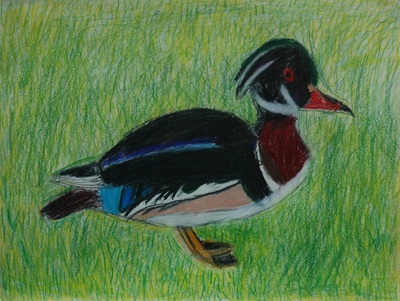 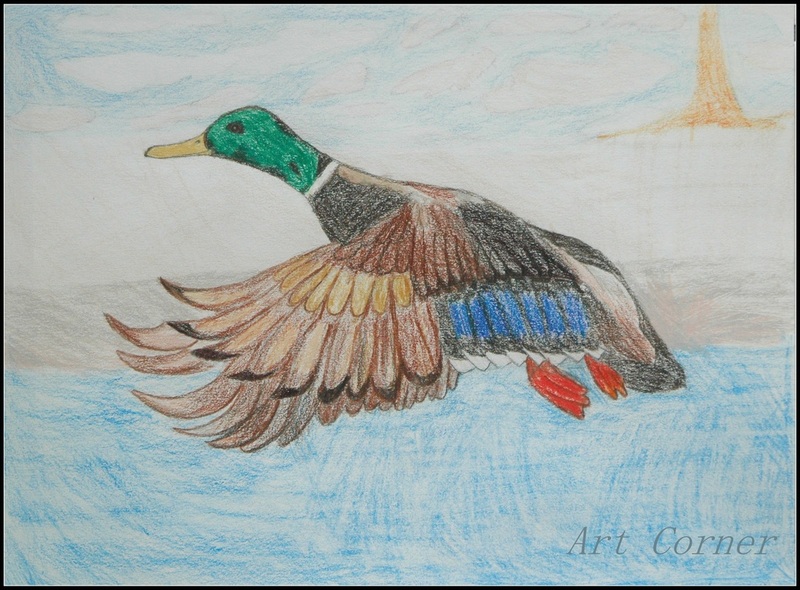 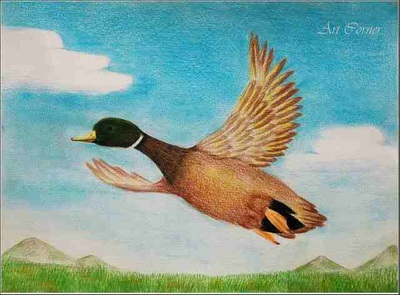 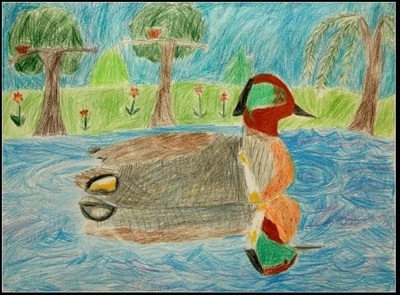 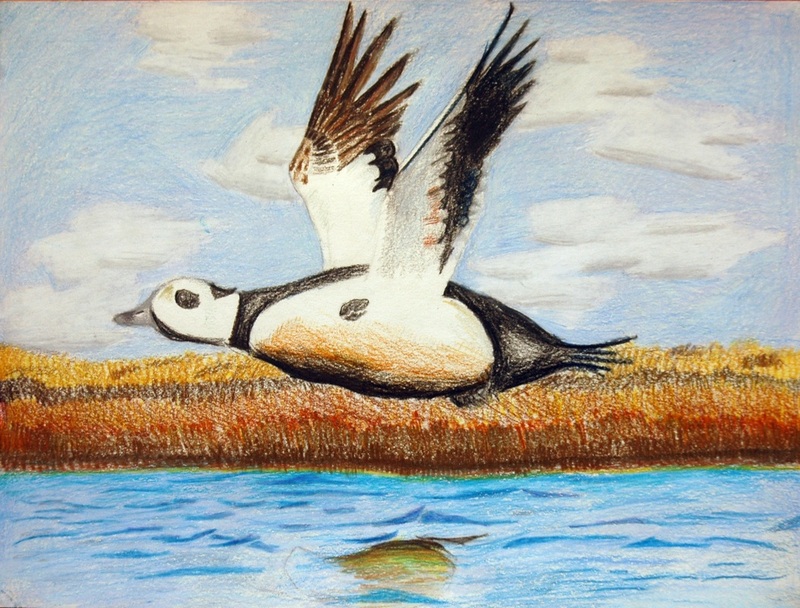 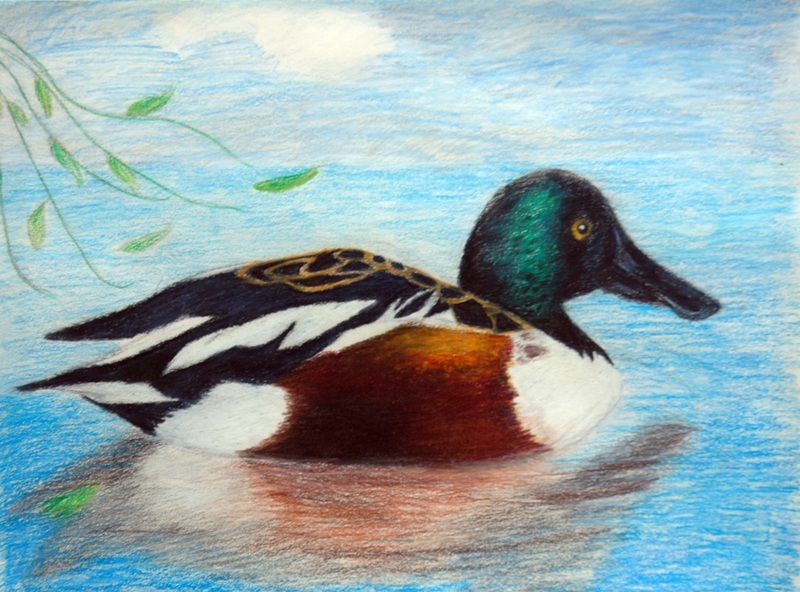 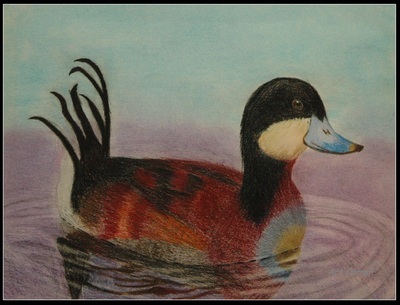 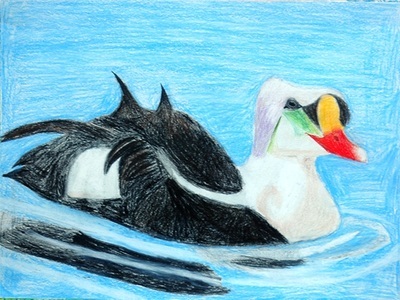 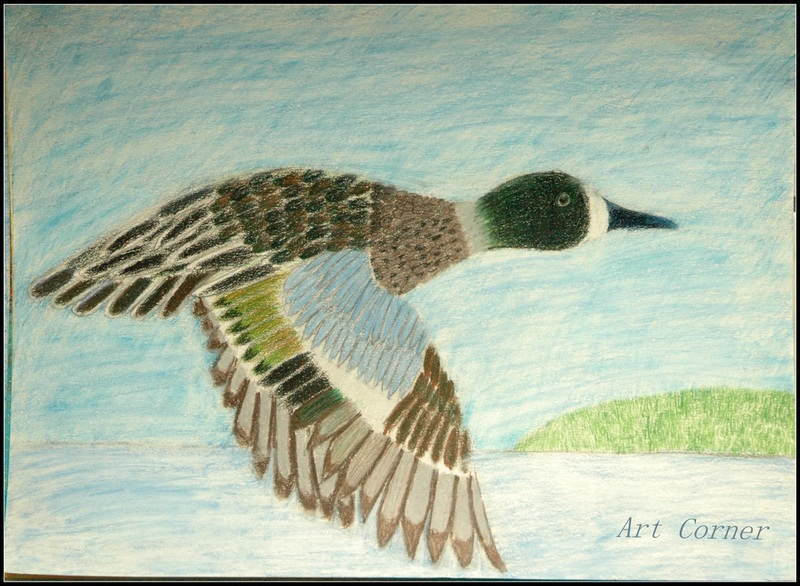 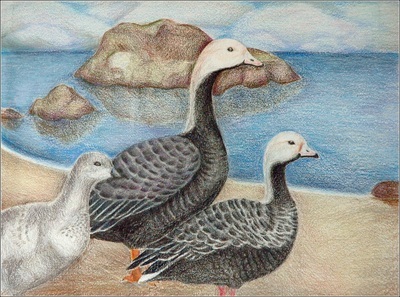 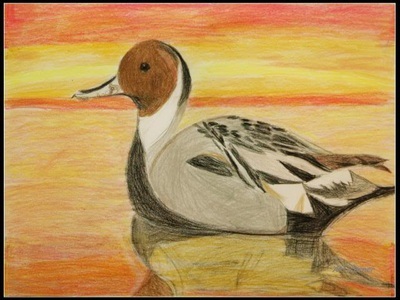 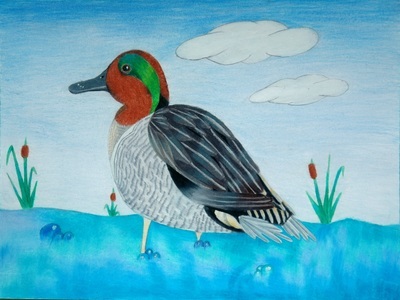 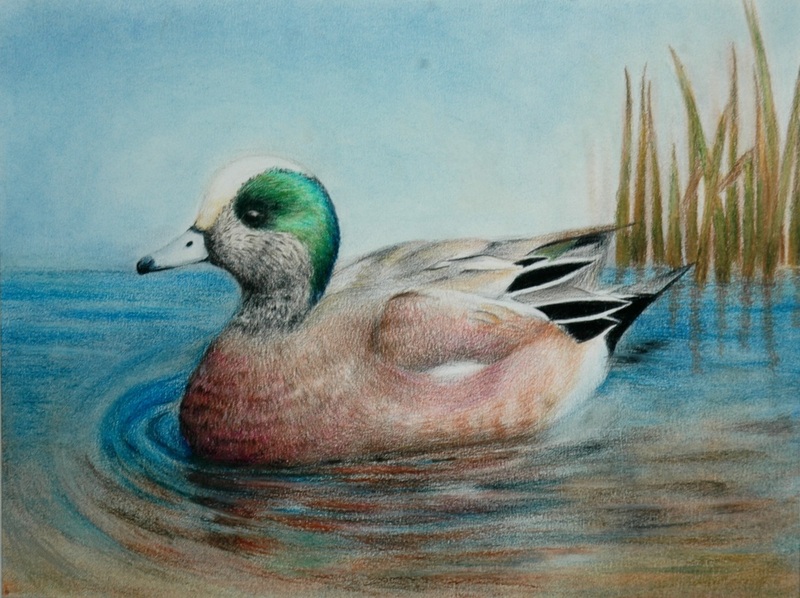 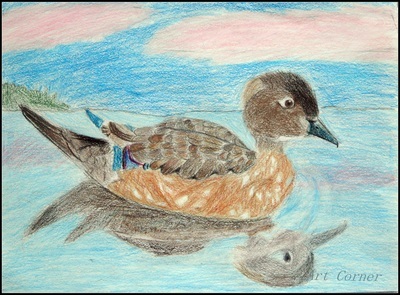 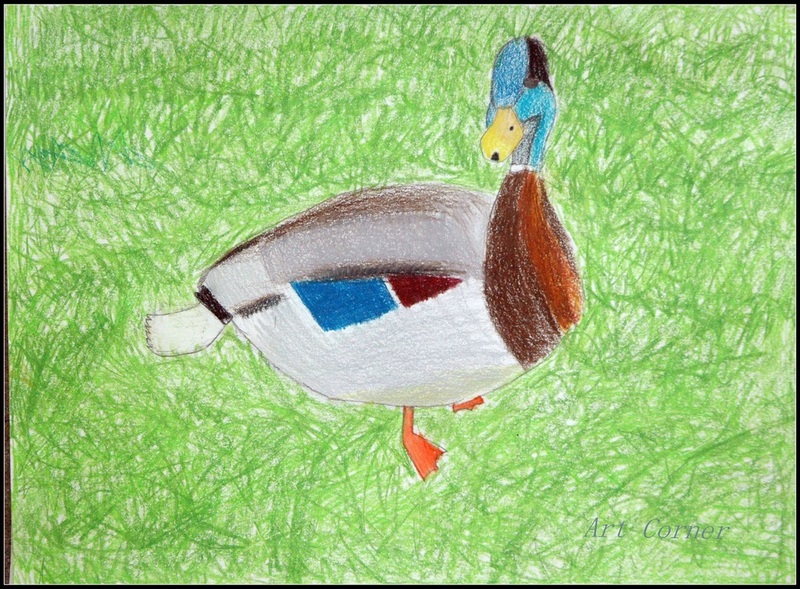 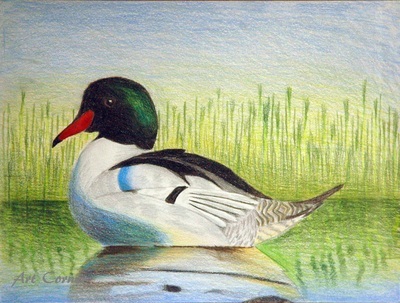 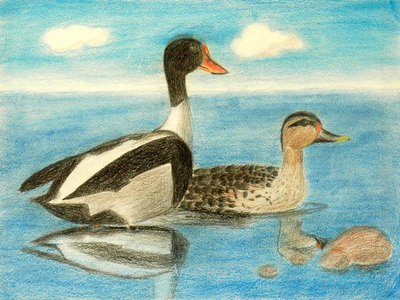 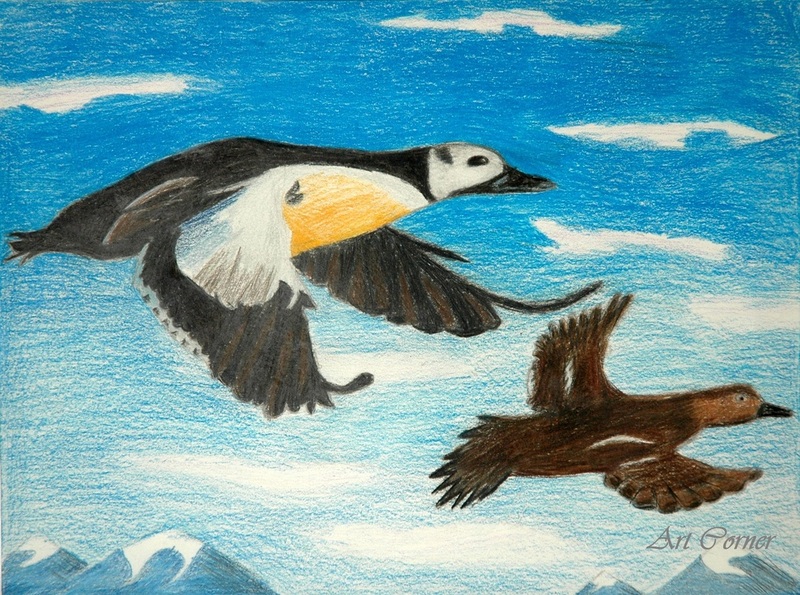 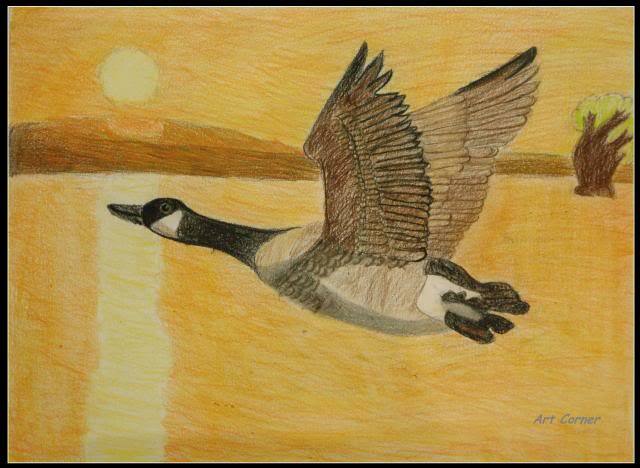 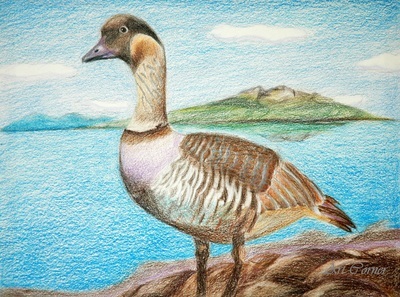 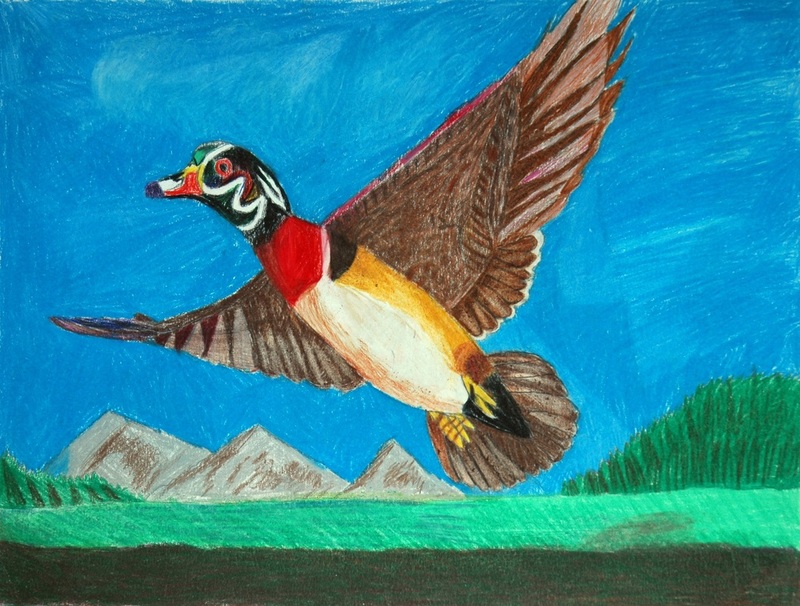 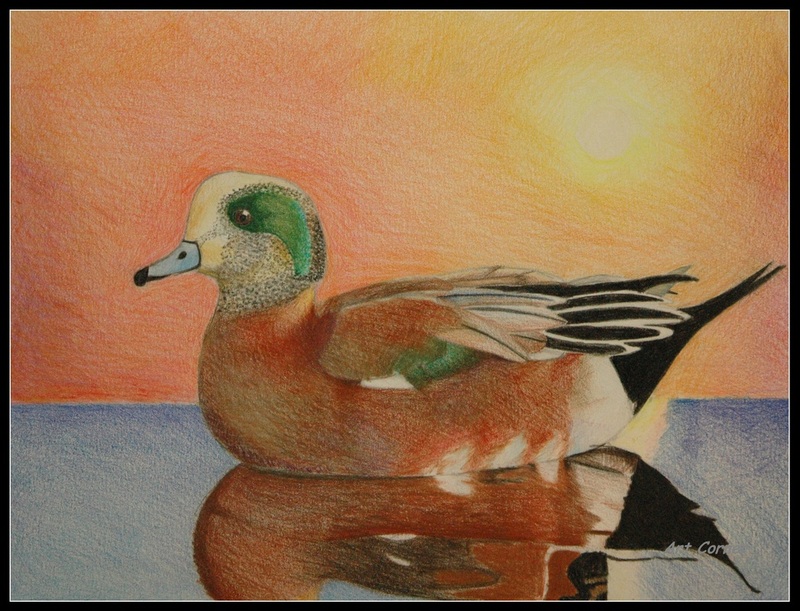 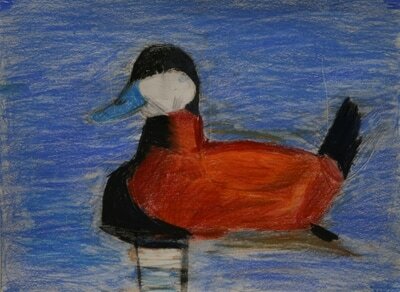 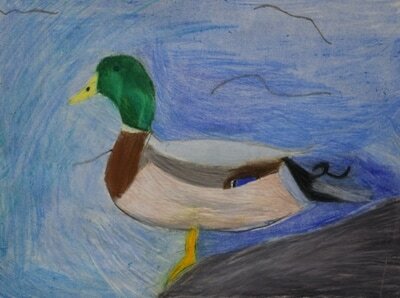 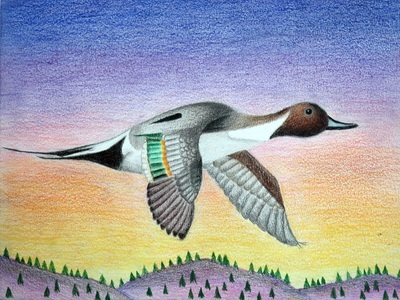 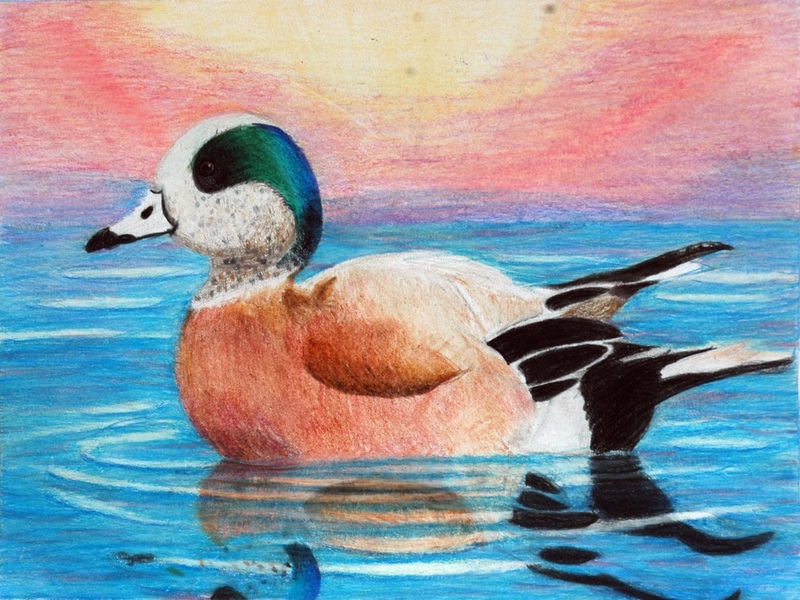 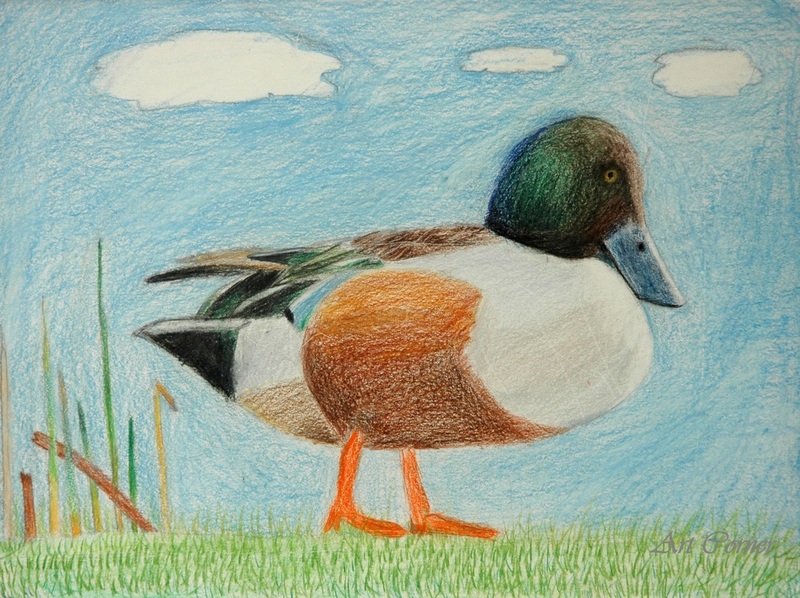 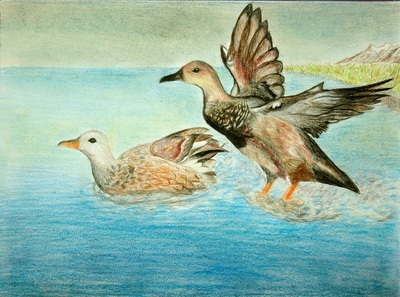 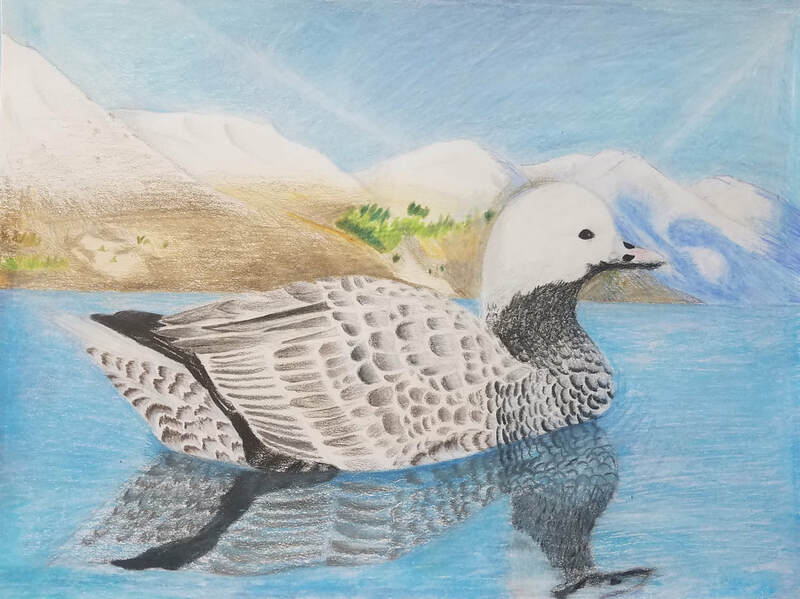 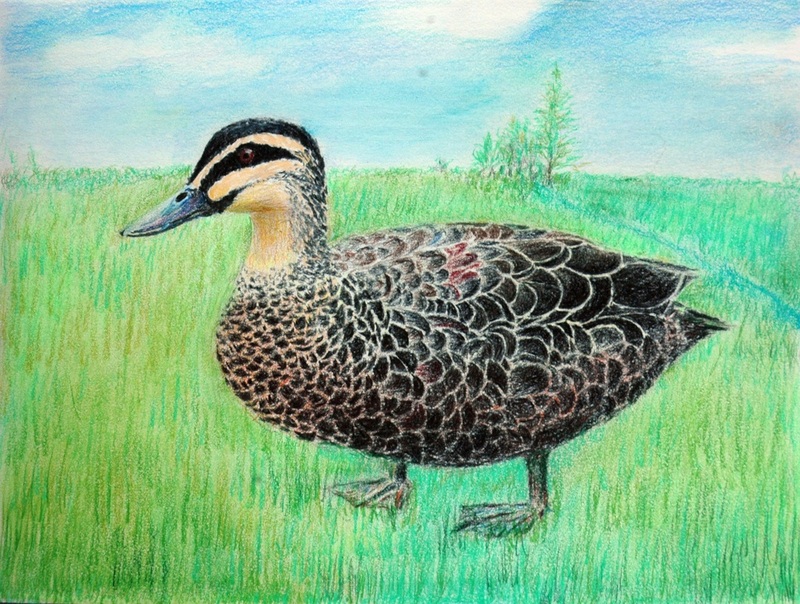 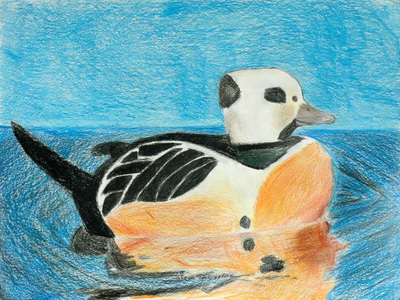 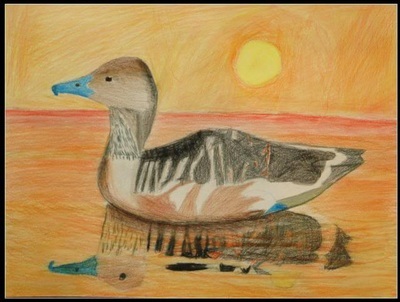 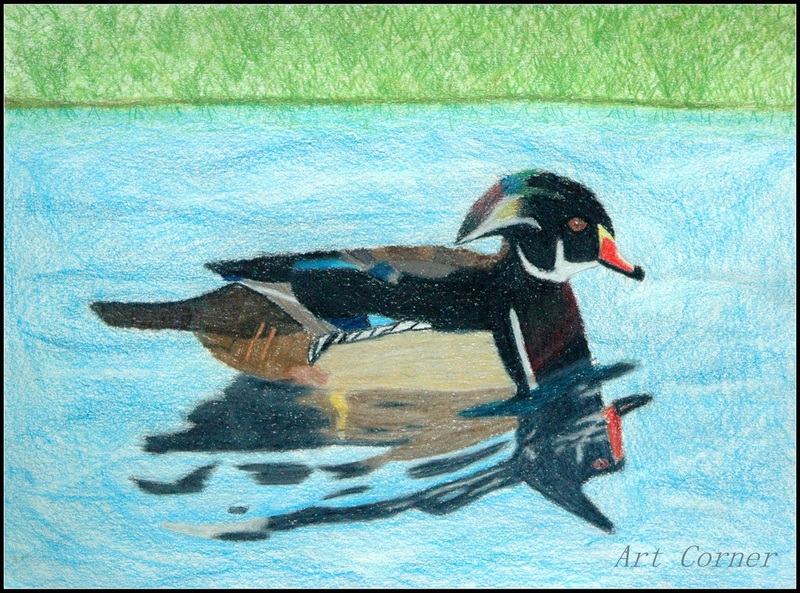 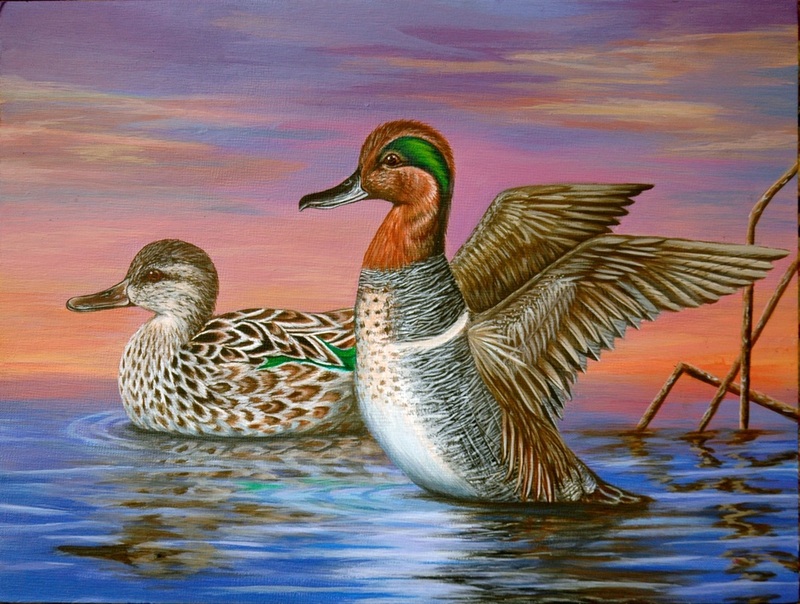 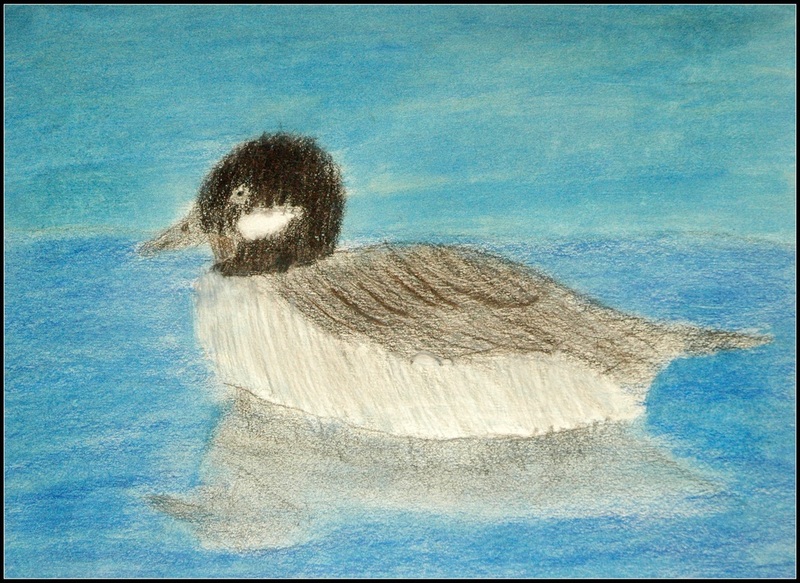 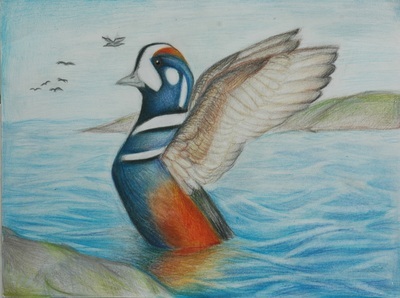 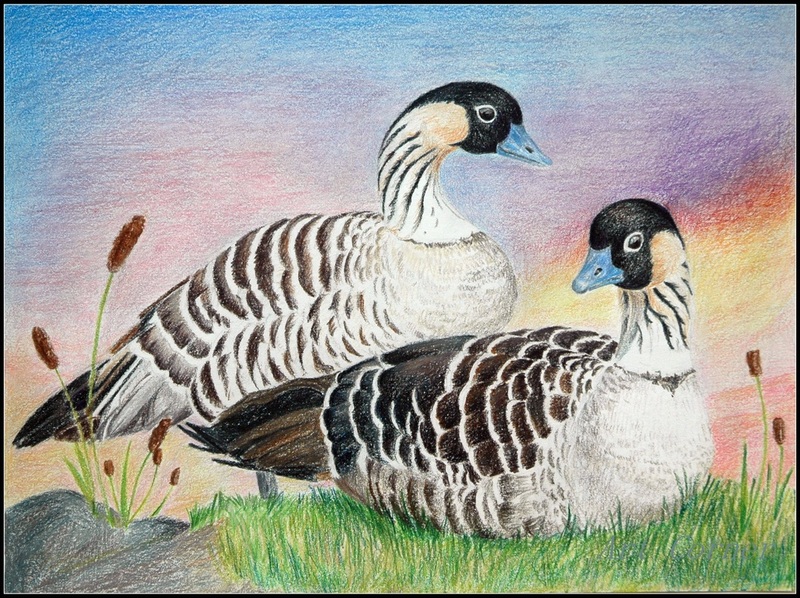 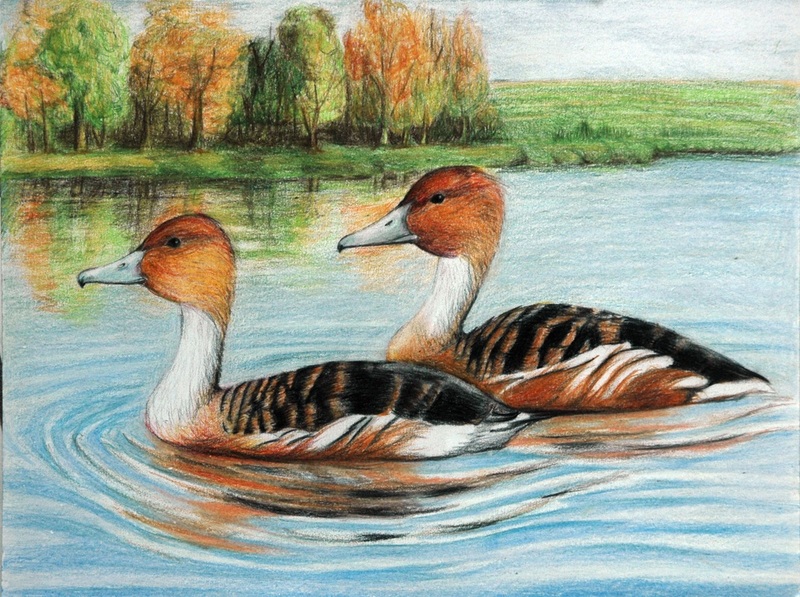 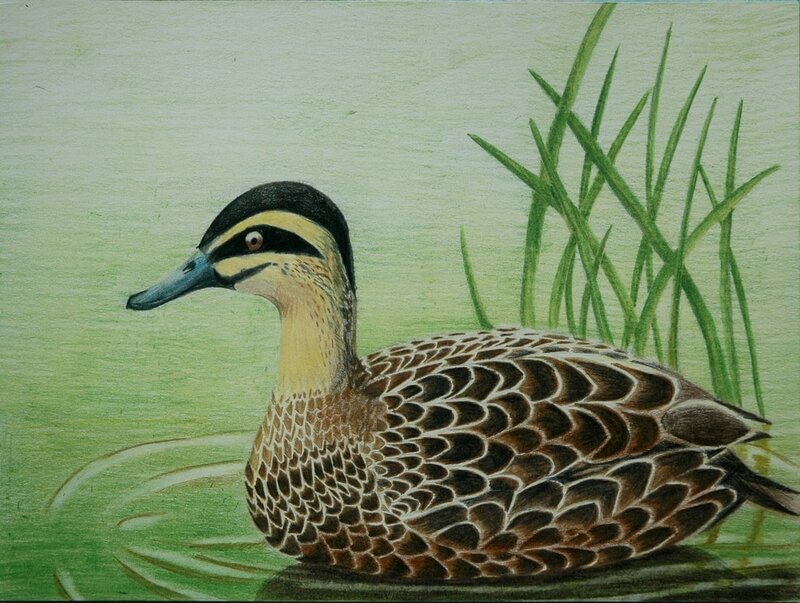 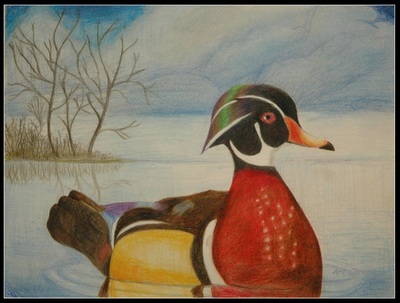 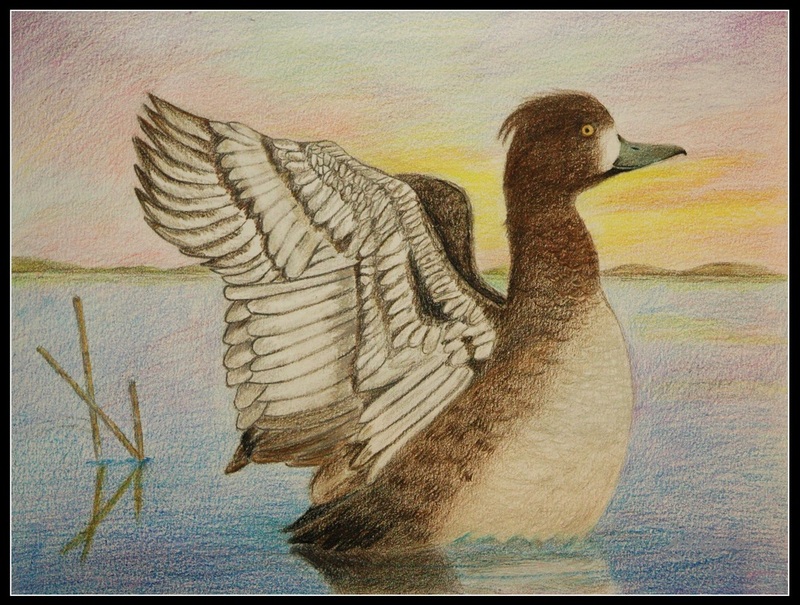 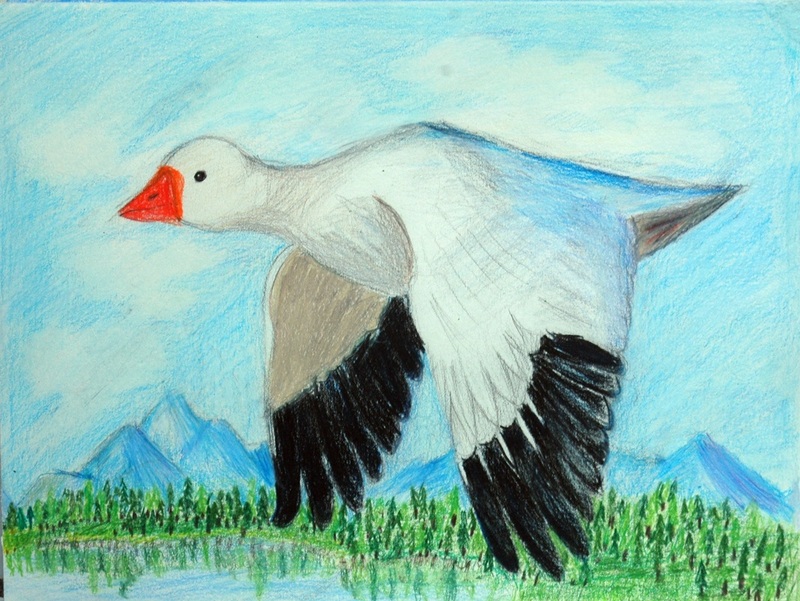 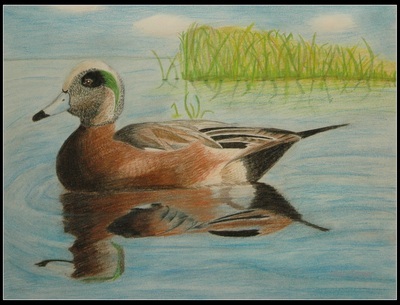 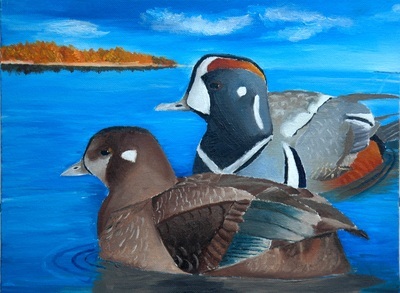 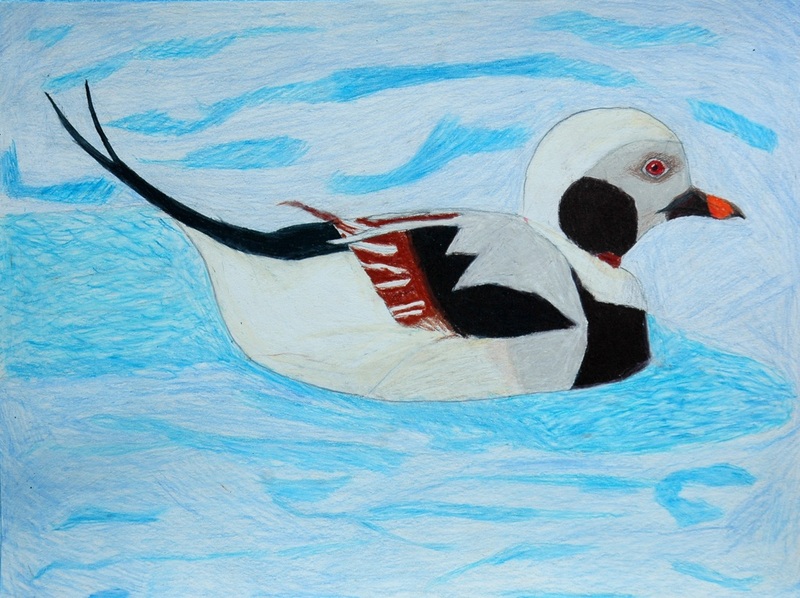 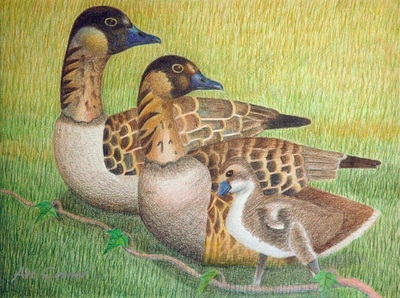 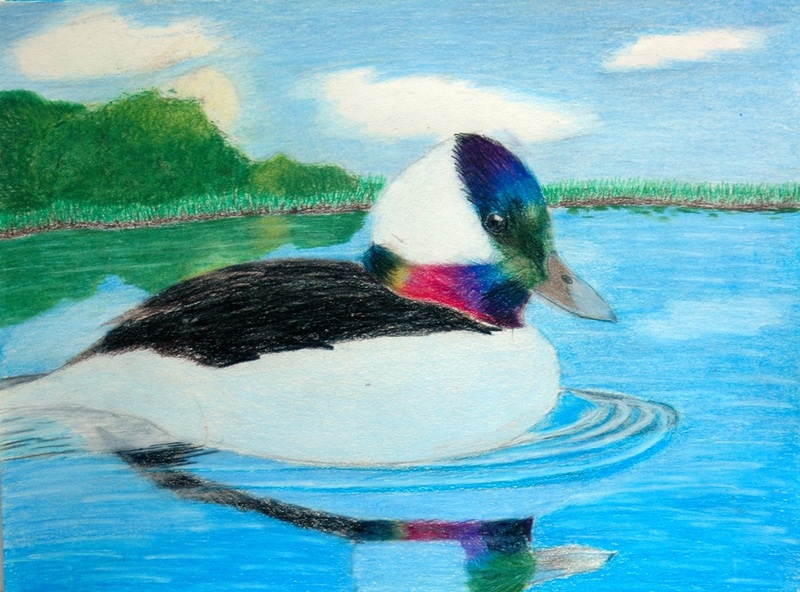 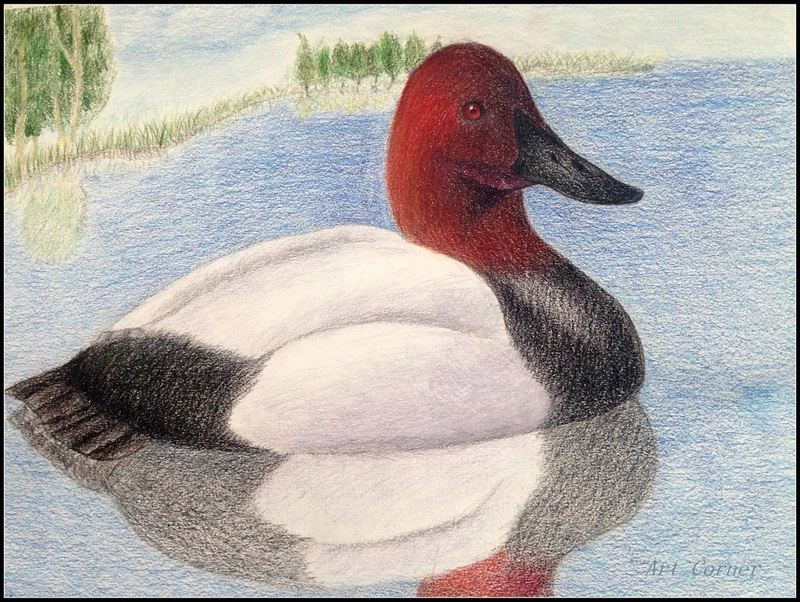 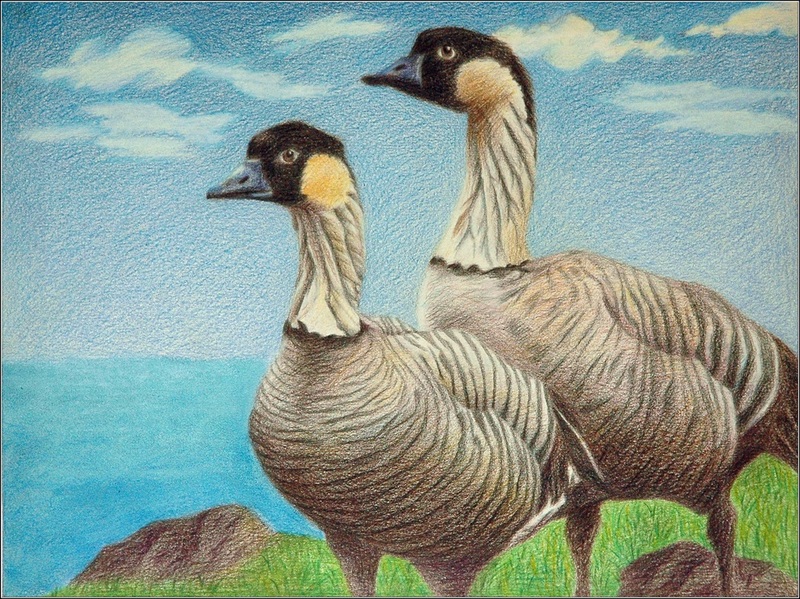 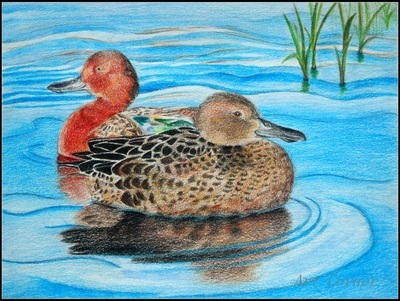 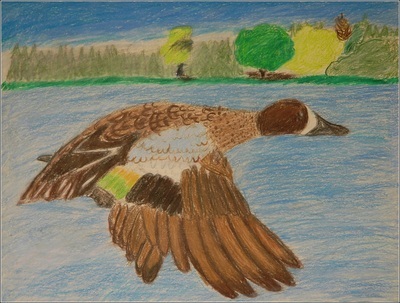 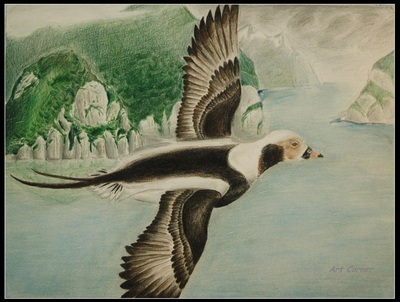 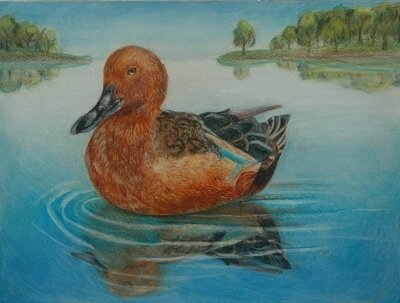 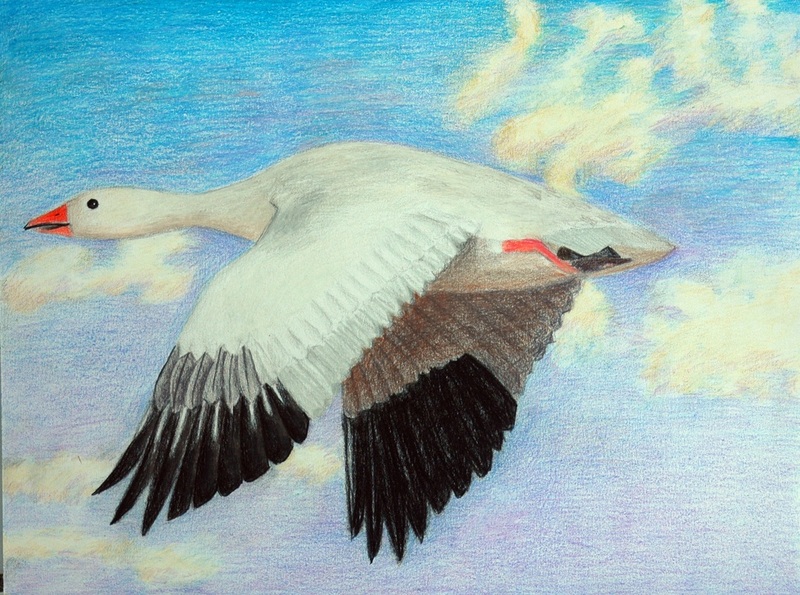 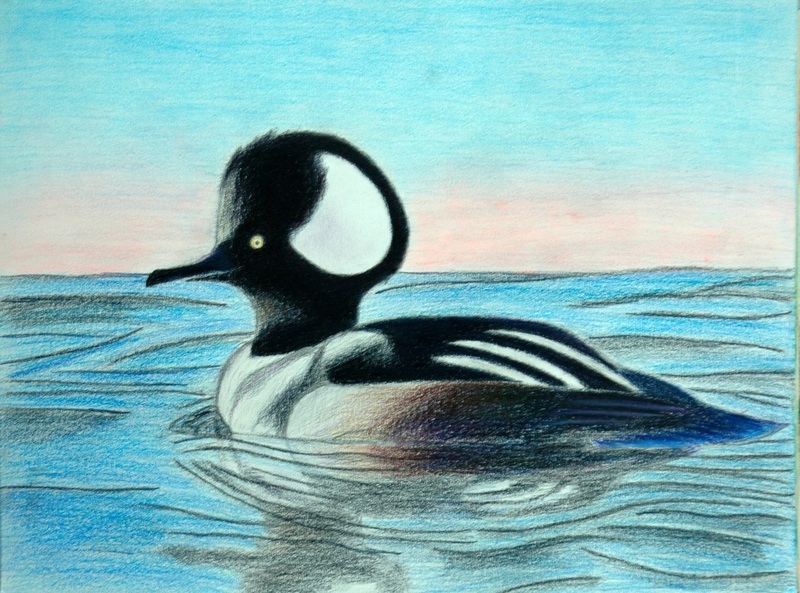 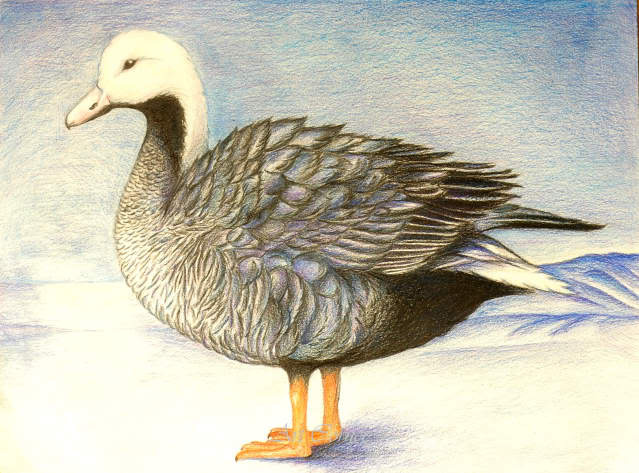 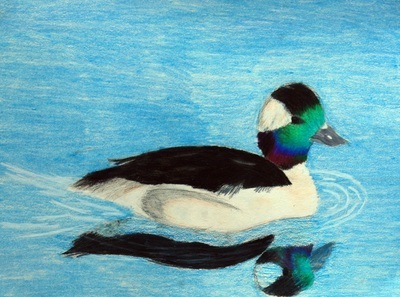 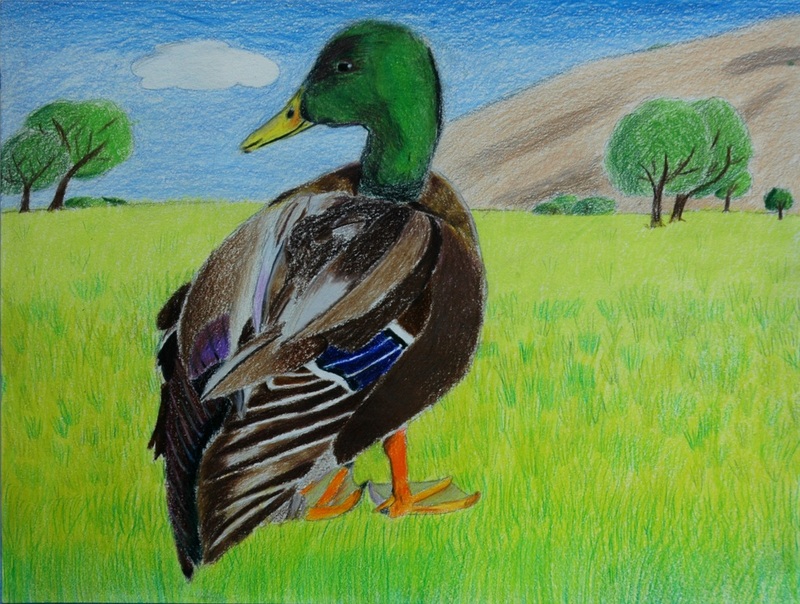 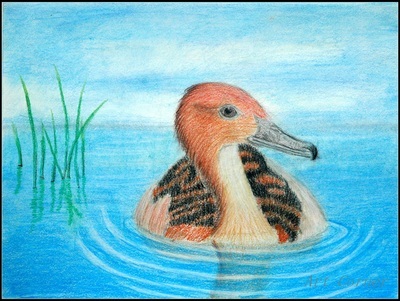 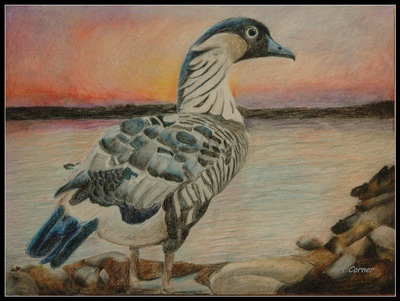 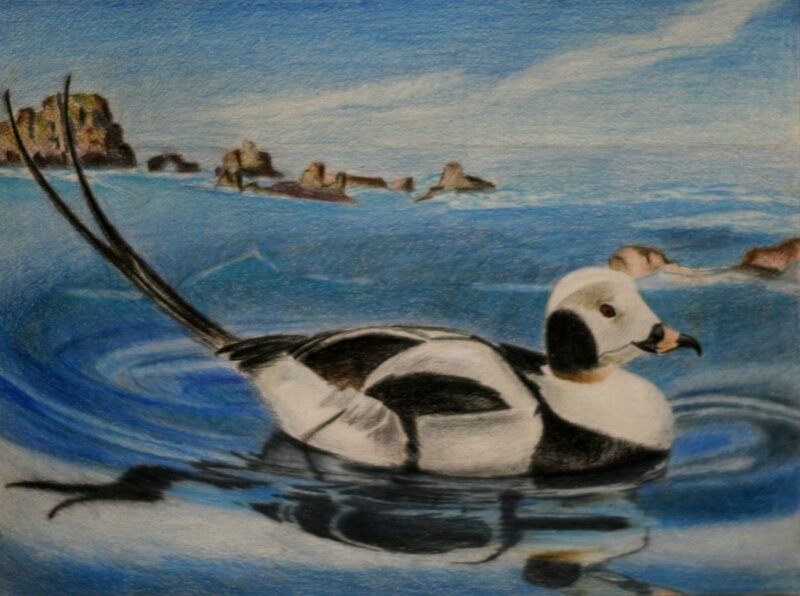 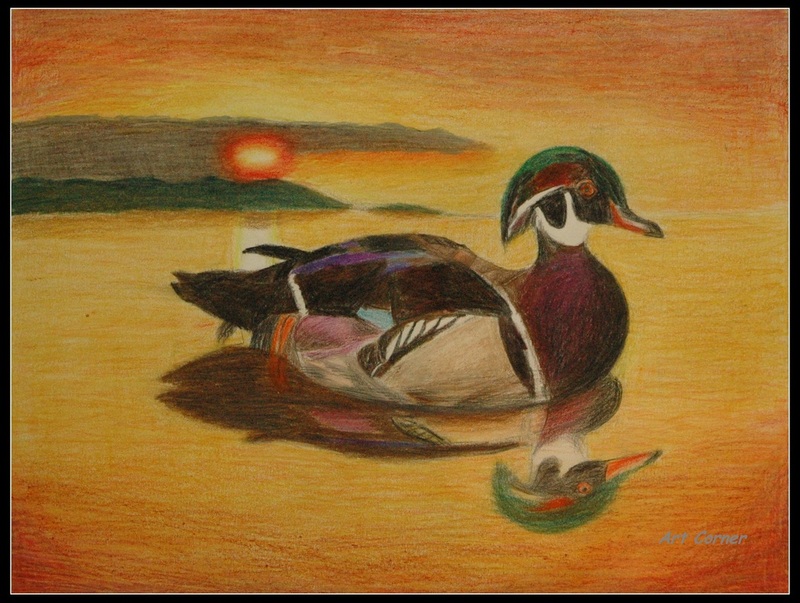 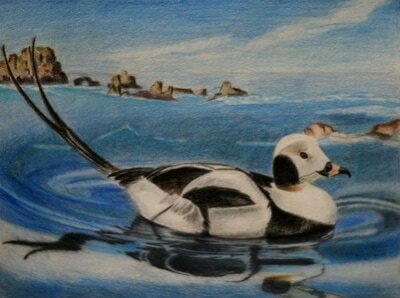 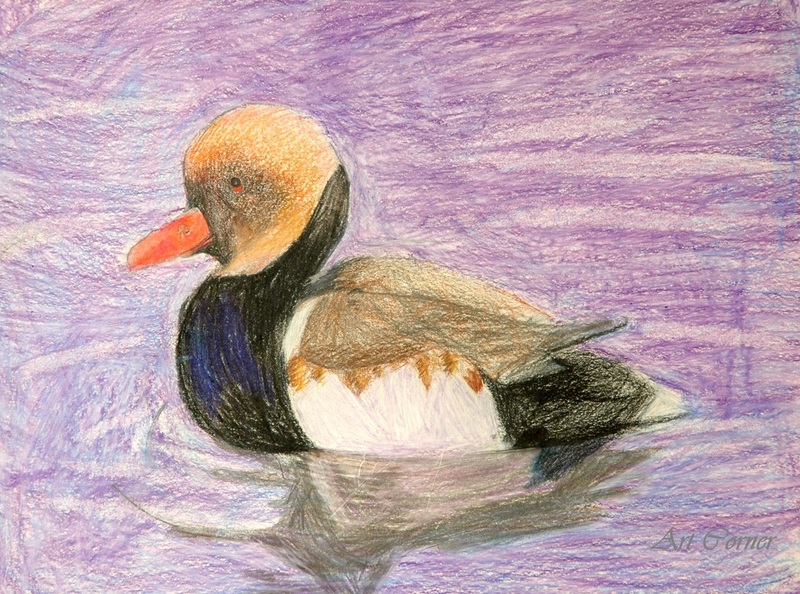 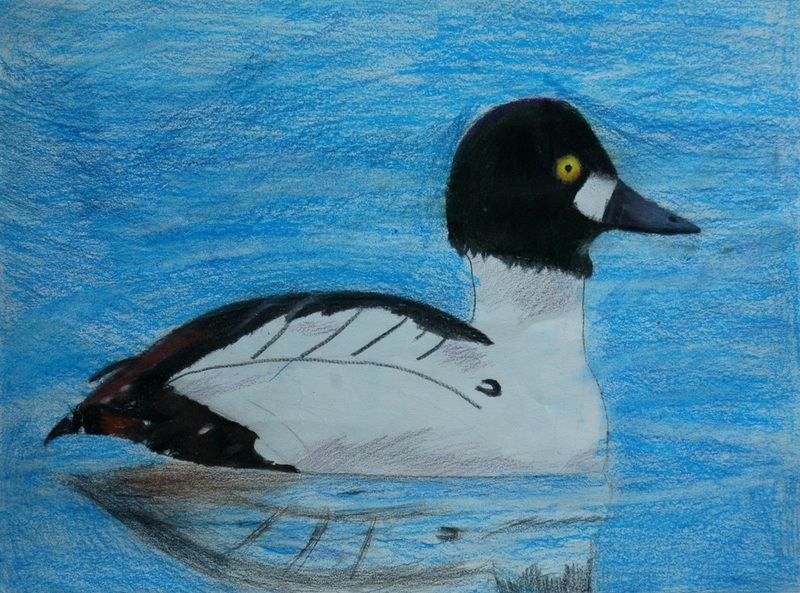 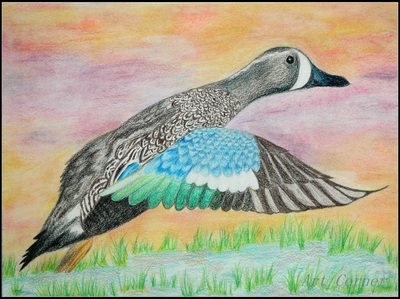 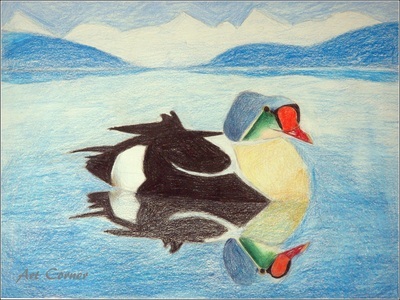 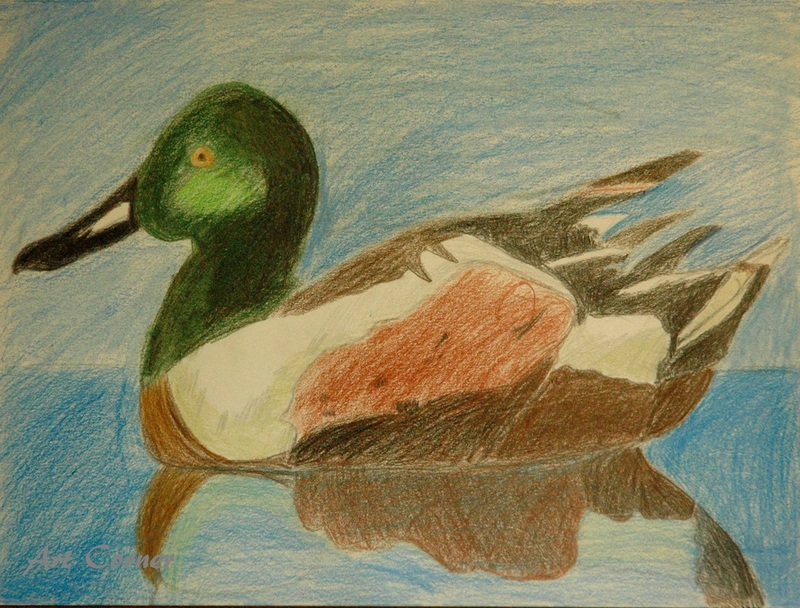 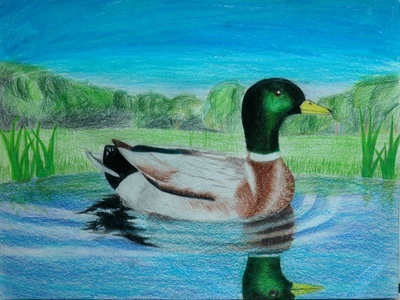 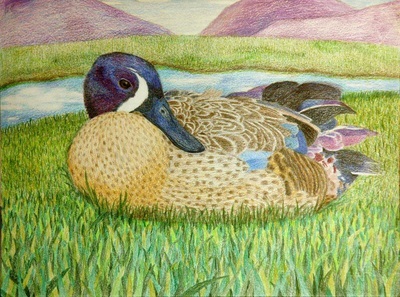 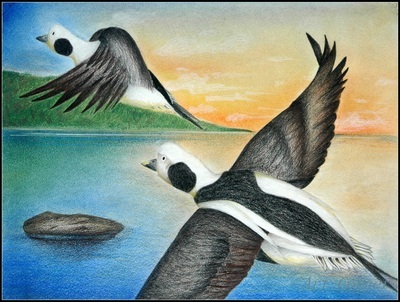 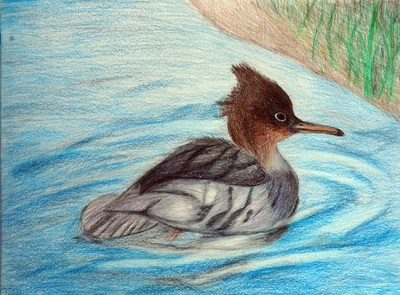 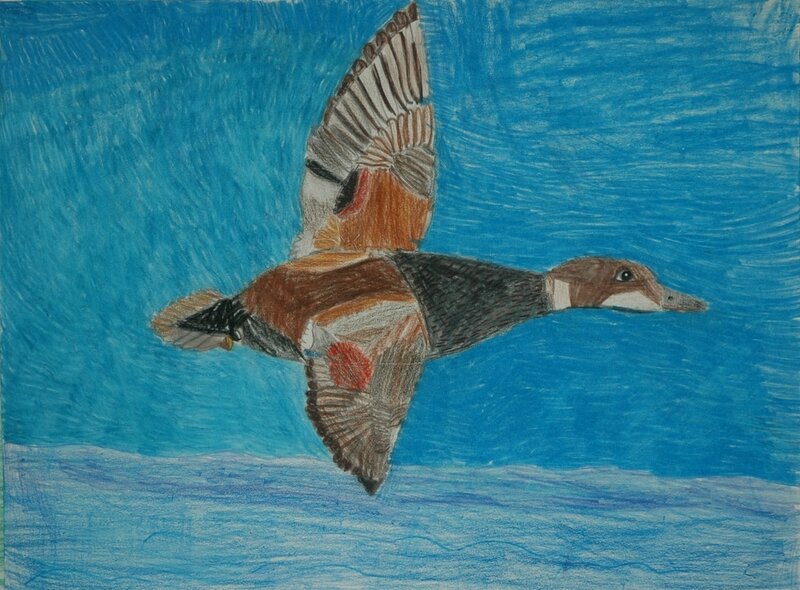 Each year many of our students participate in the National Junior Duck Stamp Competition hosted by the U.S. Fish and Wildlife Service. 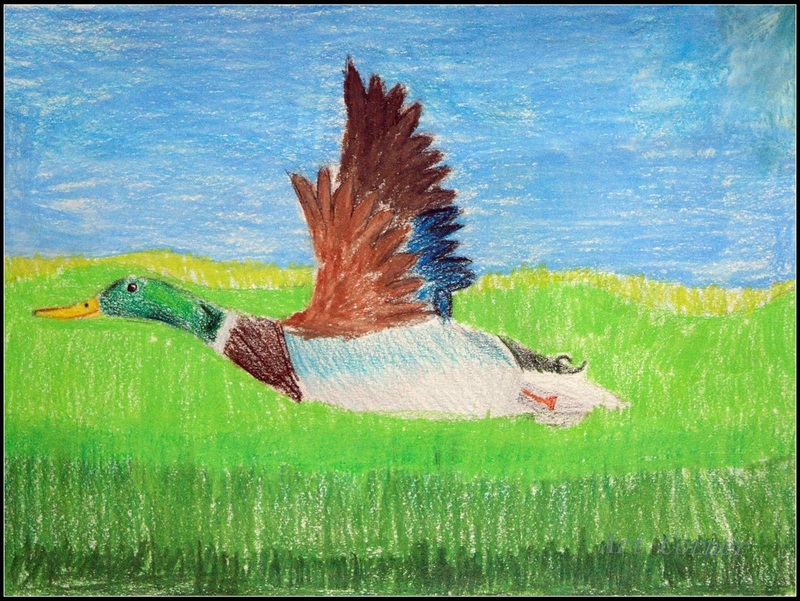 The competition is separated into four age groups: Grades K-3, Grades 4-6, Grades 7-9, and Grades 10-12. 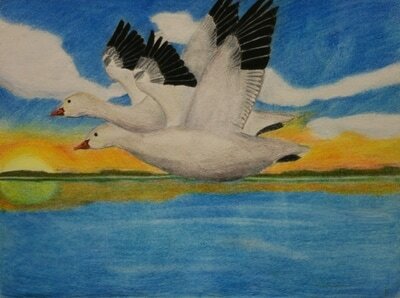 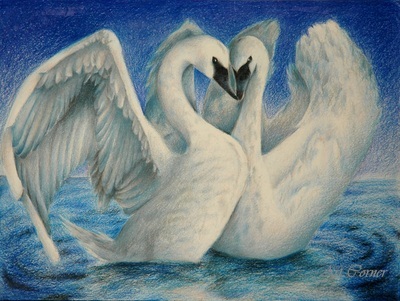 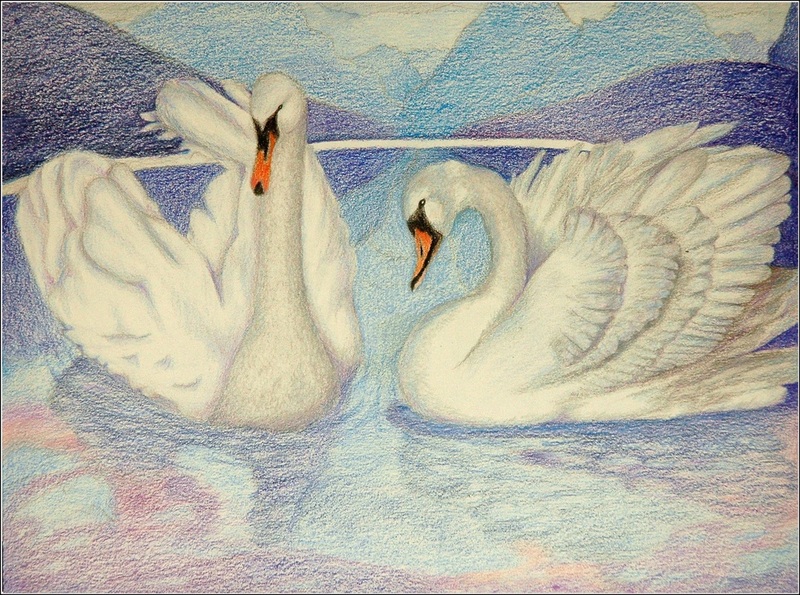 Students submit their entries every spring after working on them for 15-20 hours in color pencil or oil paint. 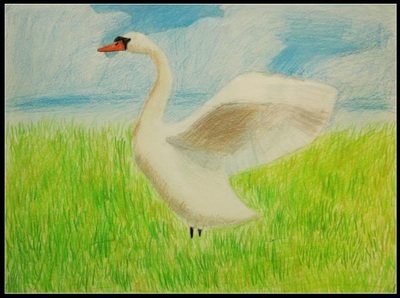 Our young artists often achieve first through third place awards, and many receive honorable mentions. 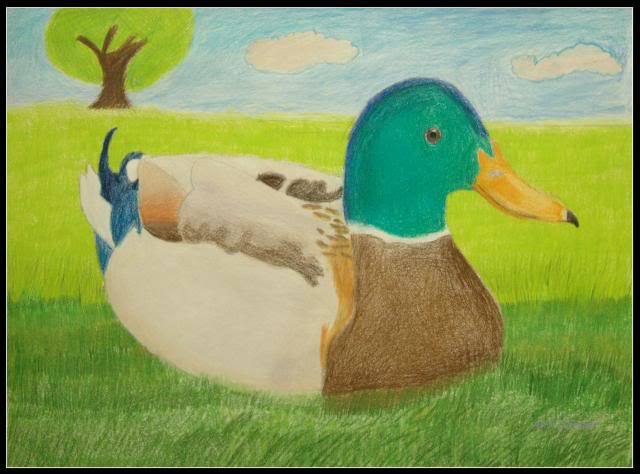 Congratulations to all our hard working students, we are proud of you!